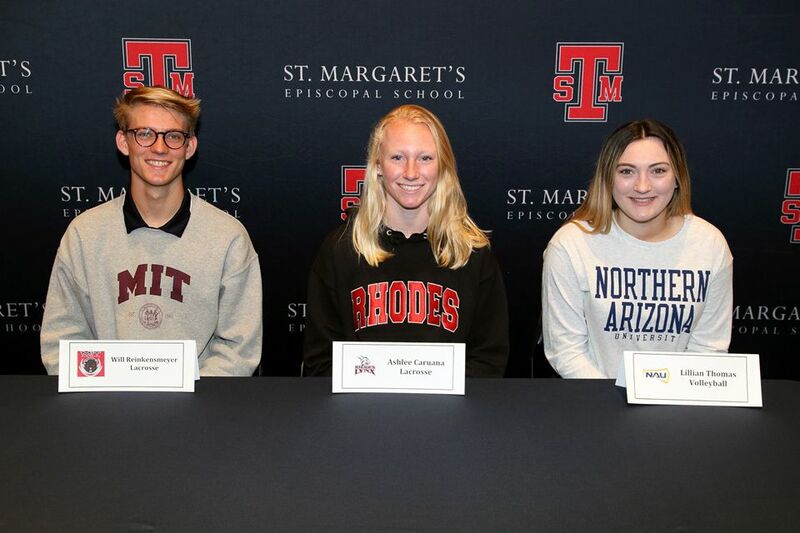 Three student-athletes from the class of 2019 committed to continue their academic careers and play intercollegiate athletics during the spring signing period, joining fellow seniors who committed during the fall and winter signing periods. 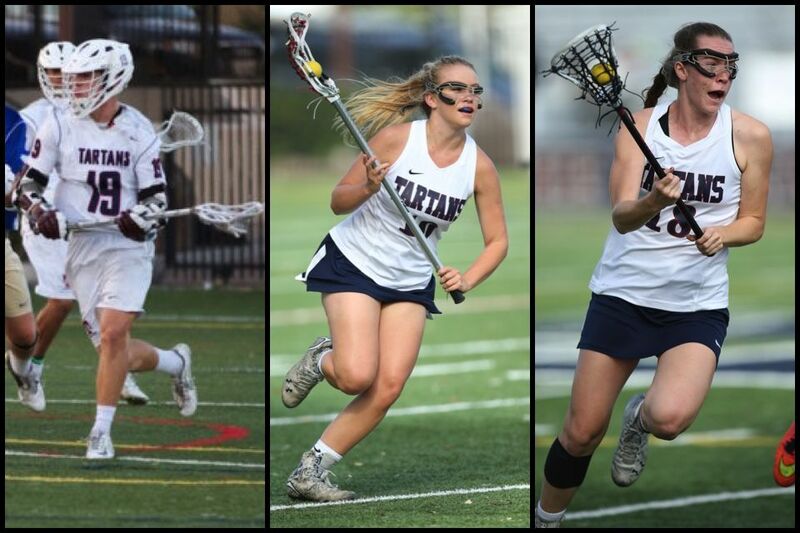 St. Margaret's baseball and girls lacrosse teams picked up important wins this week. 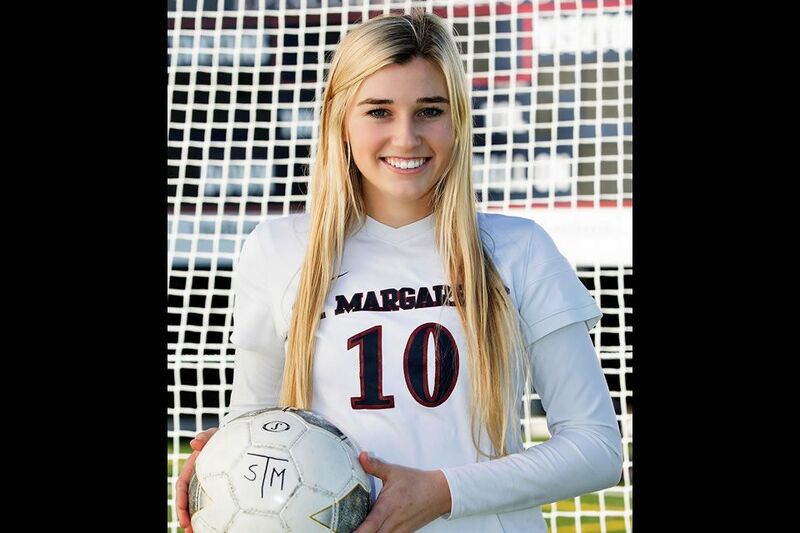 St. Margaret's had four athletes tabbed as All-Orange County on Wednesday. 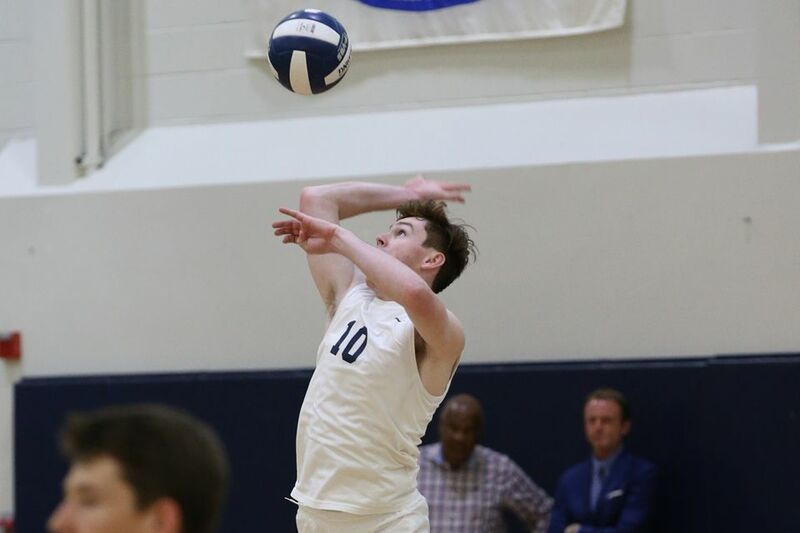 Jones caps a tremendous 2018-2019 season with a prestigious award. 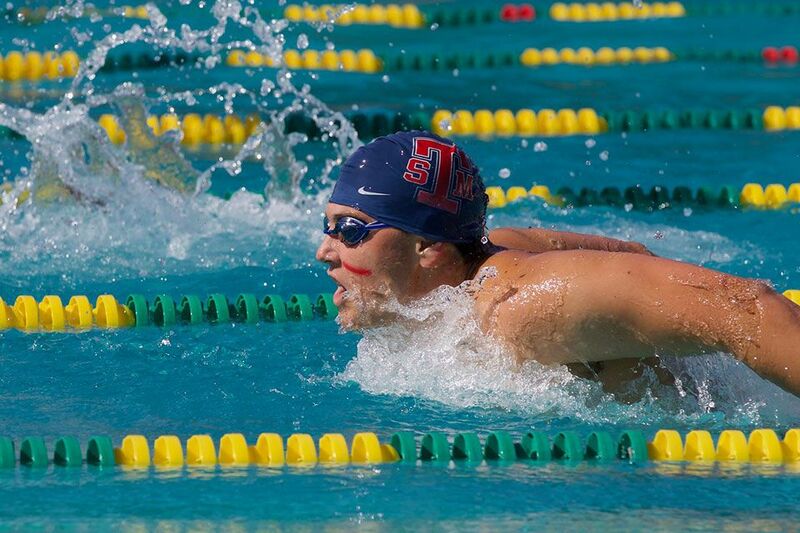 The Tartans defeated the Falcons 10-9 on the road on Thursday. 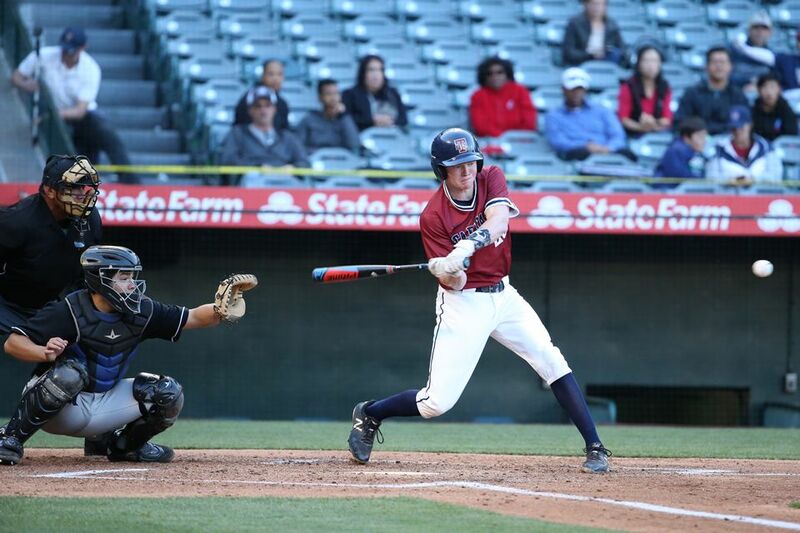 St. Margaret's defeated Saddleback Valley 5-2 in Anaheim on Wednesday evening. 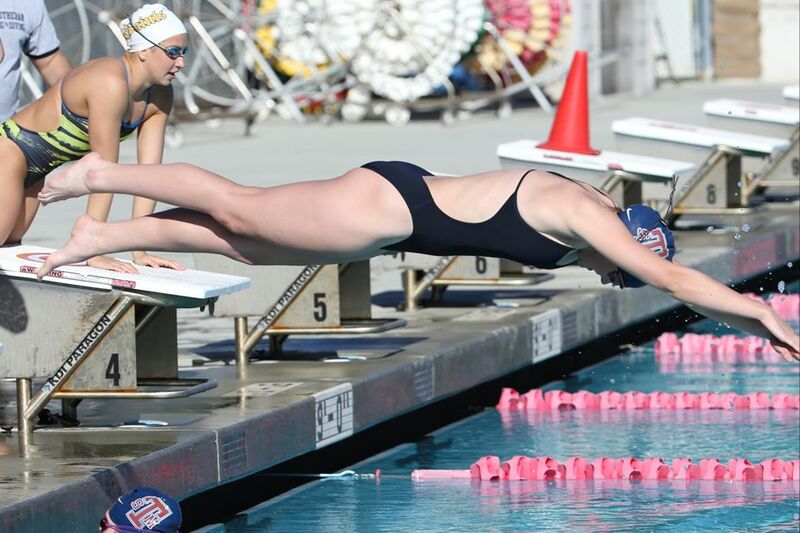 St. Margaret's received strong efforts in the pool against Webb on Tuesday. 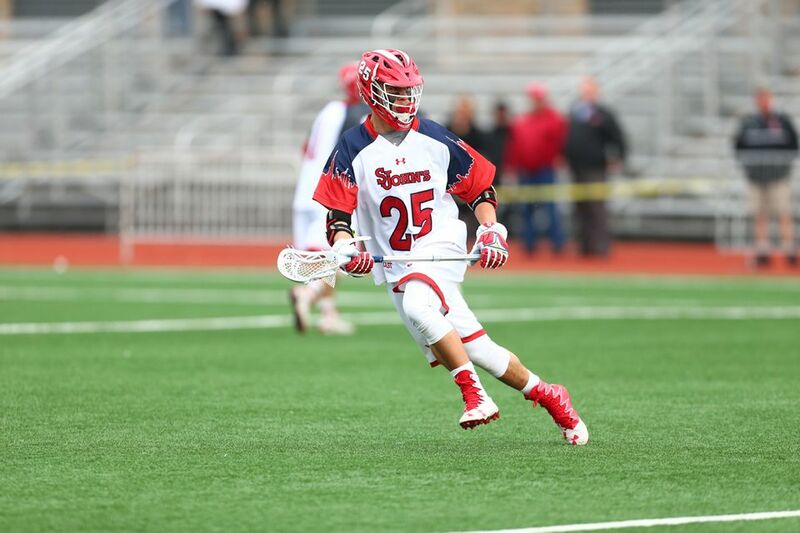 Suh, a lacrosse midfielder at St. John's University is one of 10 semifinalists for the prestigious award. 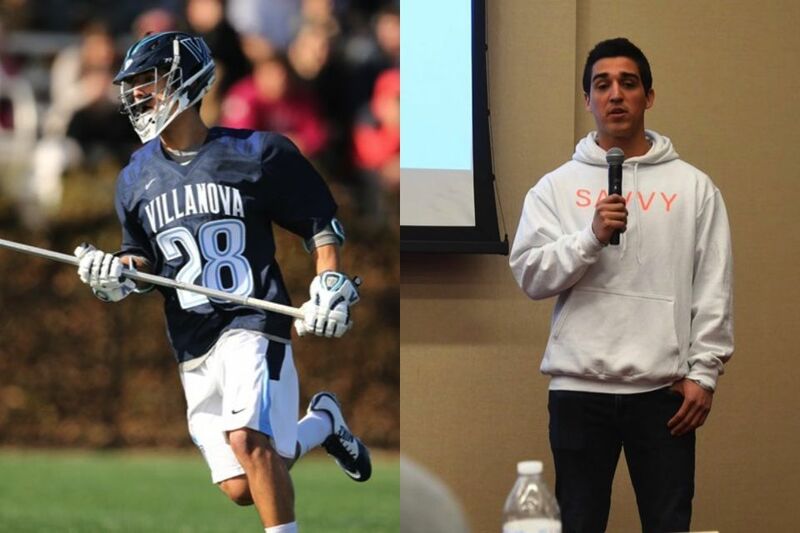 Delgado, a member of Villanova's mens lacrosse program, represented the university at the inaugural BIG EAST Startup Challenge. 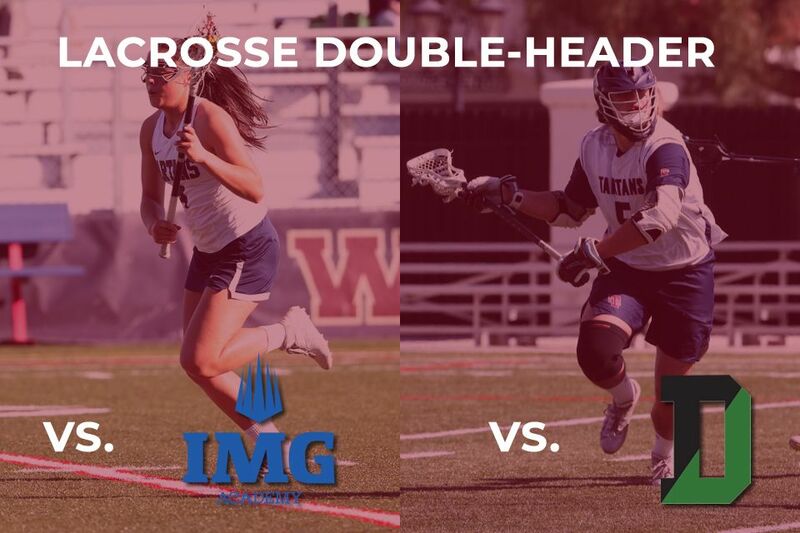 St. Margaret's dismantled the visiting Ascenders 15-10 on Tuesday. 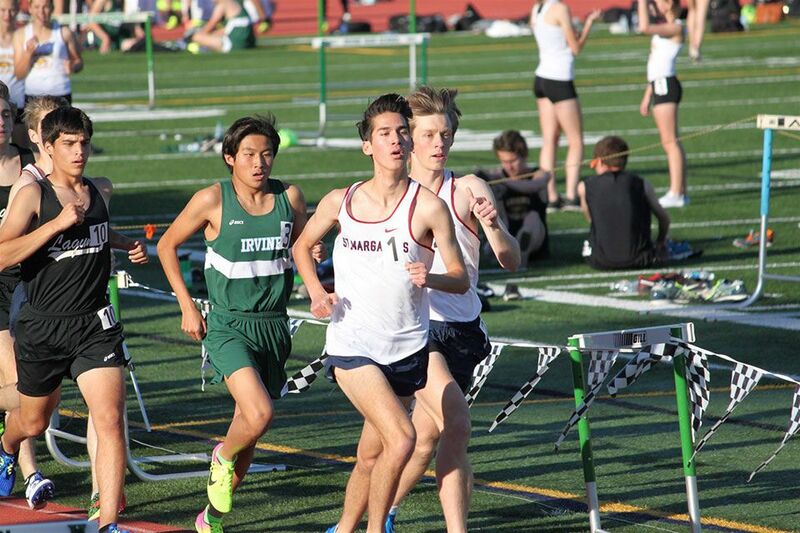 The Tartans dominated the competition, with both programs coming away with league wins. 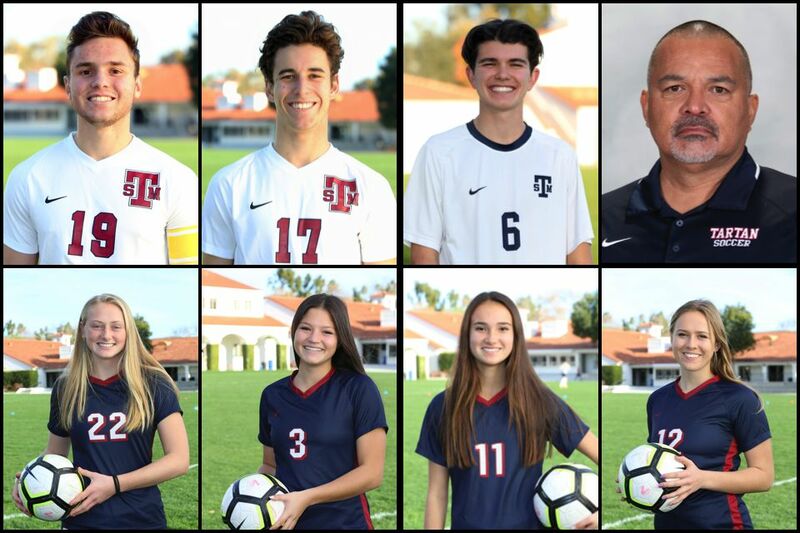 Seven Tartans were named All-CIF with coach Johnny Marmelstein earning Coach of the Year honors. 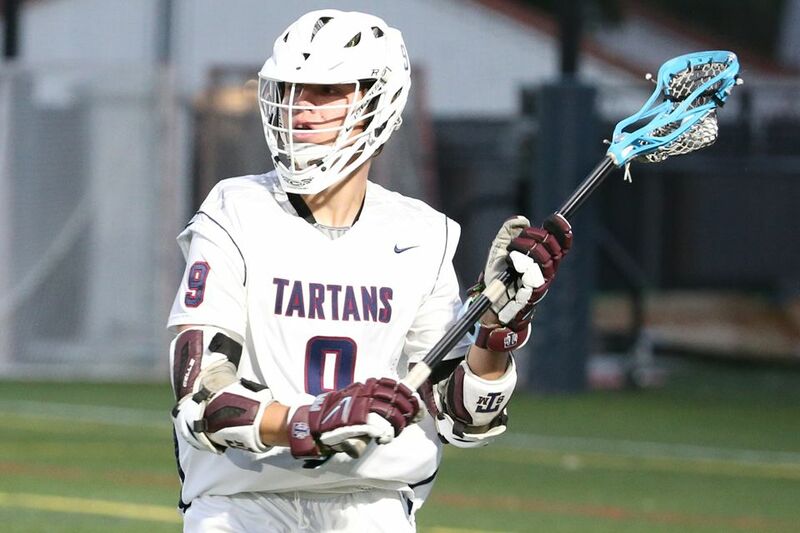 The Tartans will host two East coast opponents on Tuesday. 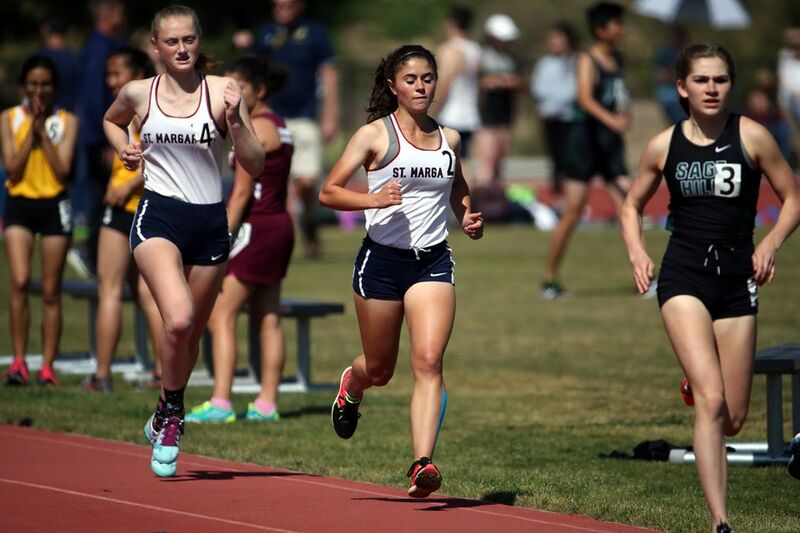 With two-thirds of the school year in the books, St. Margaret's athletic programs have had a successful run so far. 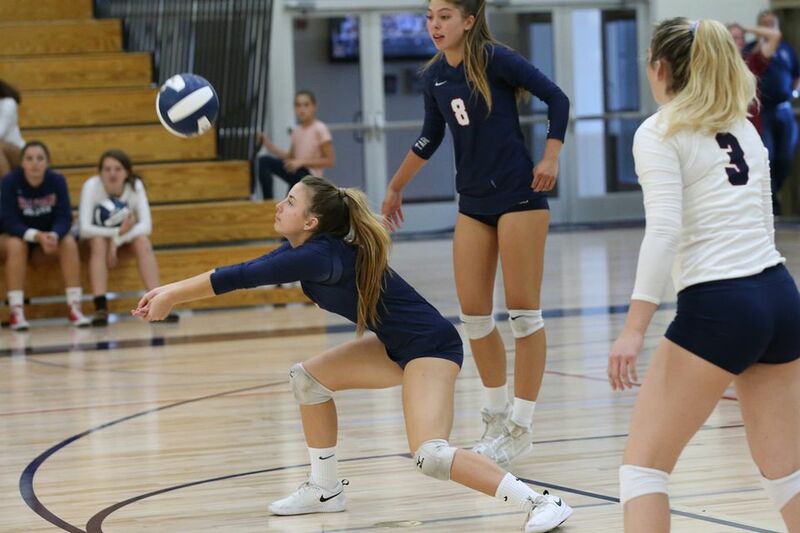 The Tartans picked up two early-season league wins on Tuesday. 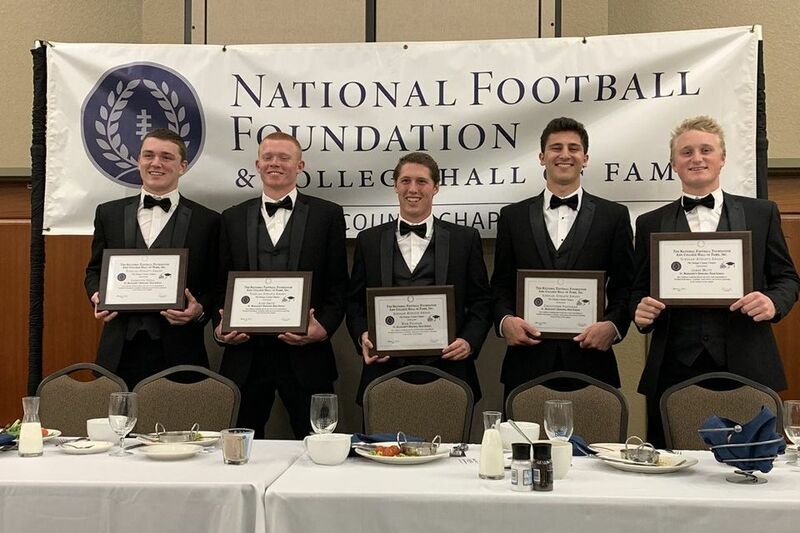 Seniors Nick Falshaw, James Mott, Langston Sholl, Alex Smith and Chris Vartanian were recognized at The National Football Foundation's Orange County chapter annual Scholar-Athletes Awards Dinner on Monday night. 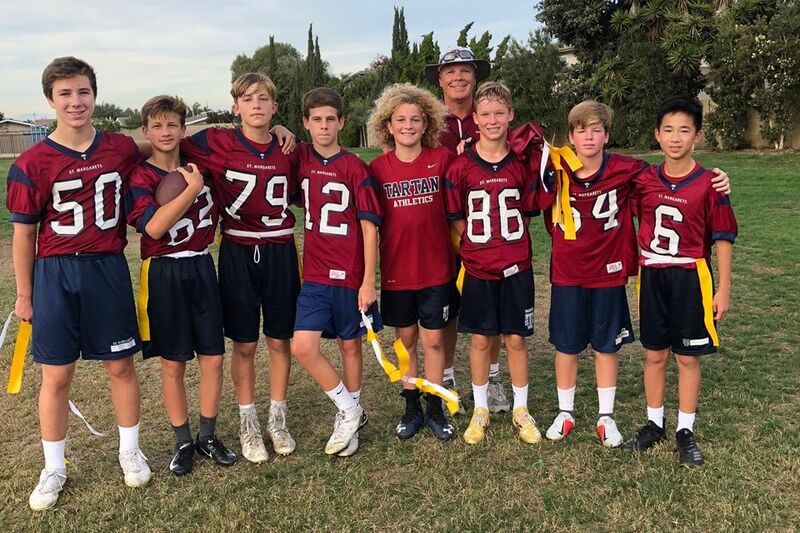 Tristen Egdorf, Robbie Graham and Christopher Vartanian participated alongside coach Peter Carey in last Saturday's game. 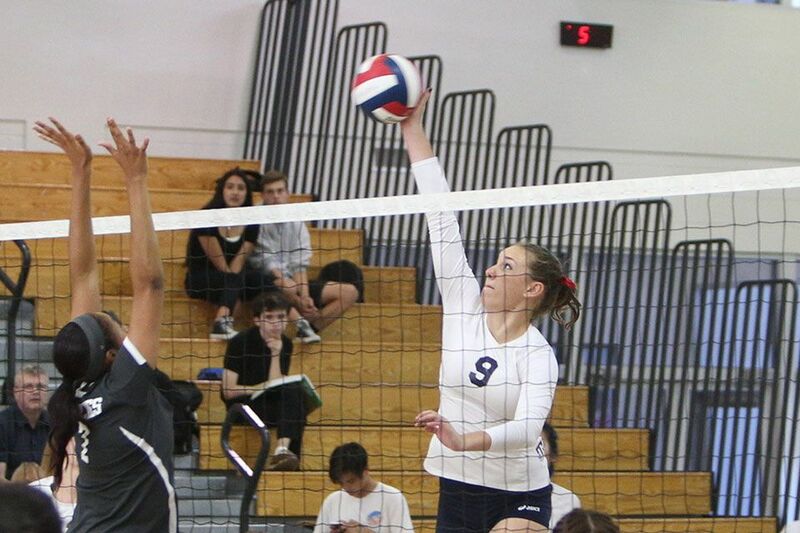 The Tartans topped the Tillers 3-2 for an early-season triumph on Thursday evening. 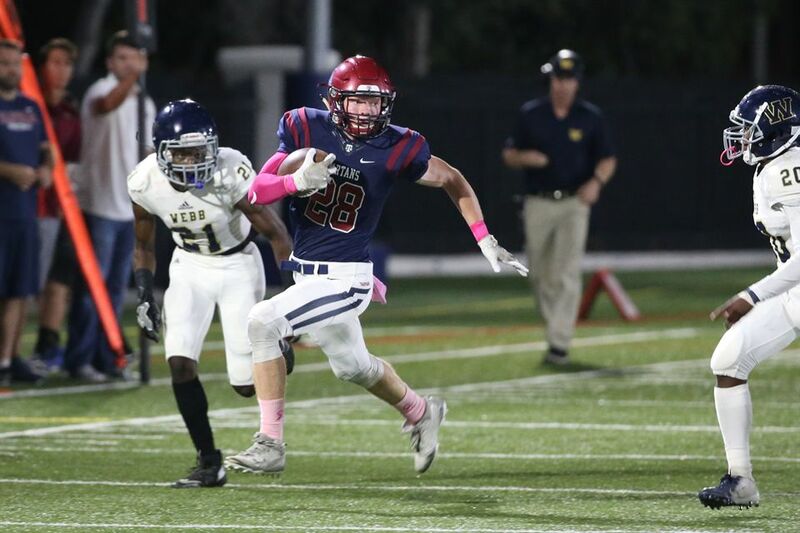 St. Margaret's opened the 2019 campaign at the top of the rankings this week. 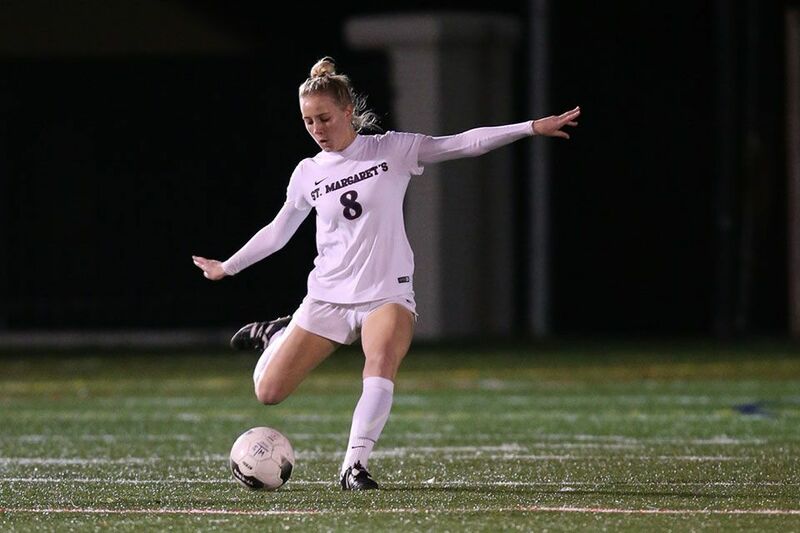 The Tartans battled back to defeat La Salle 2-1 on Saturday afternoon. 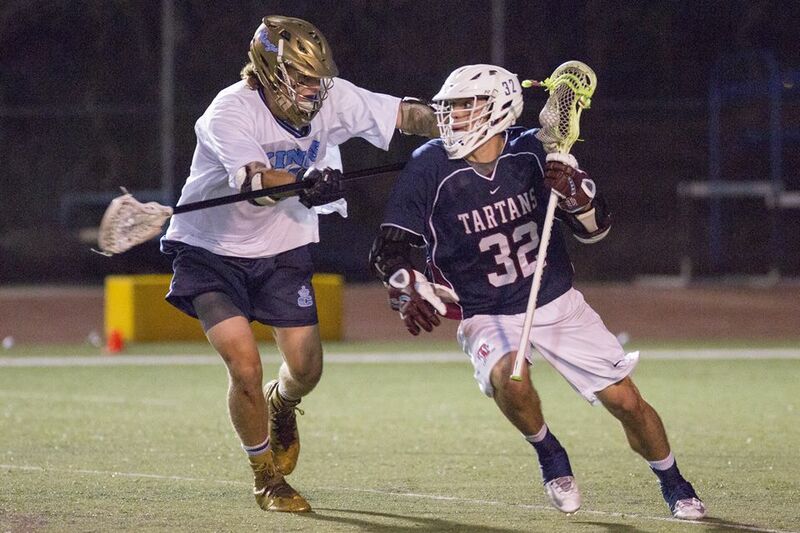 The Tartans defeated Ramona High on Tartan Field on Thursday. 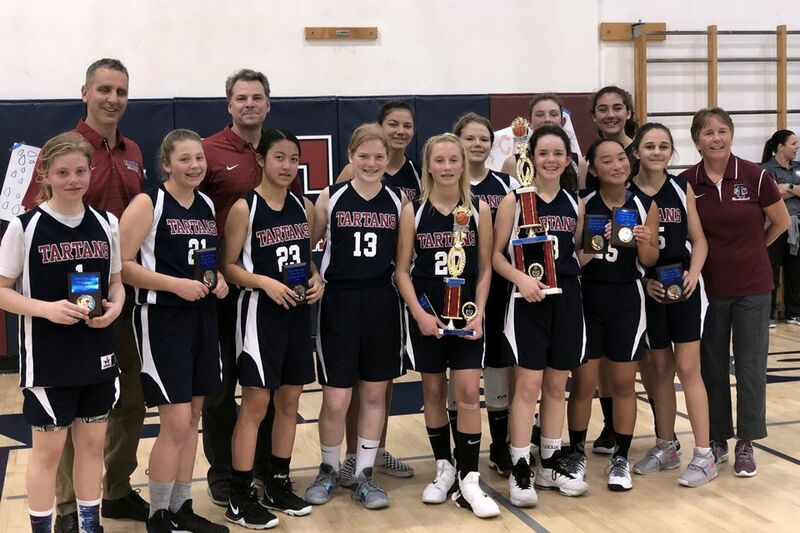 The Middle School girls basketball team advanced to the Parochial Athletic League championship game. 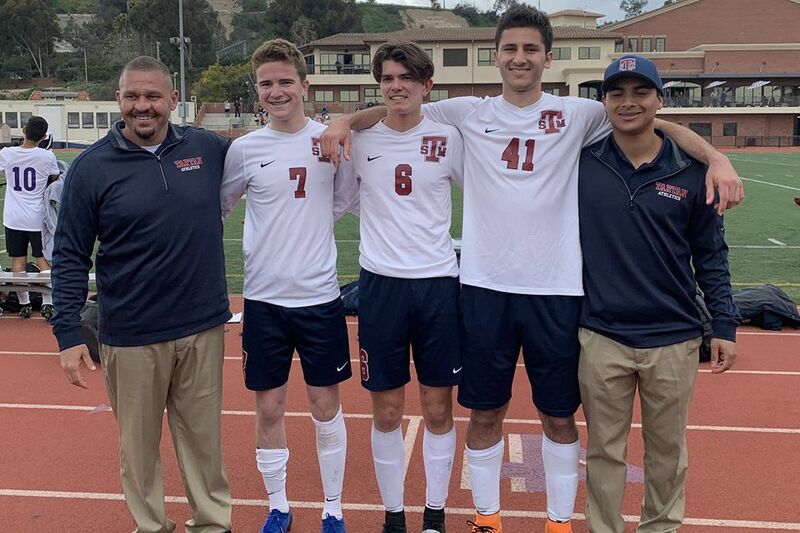 The Tartans defeated Roosevelt High in the first round of the SoCal Regional Playoffs. 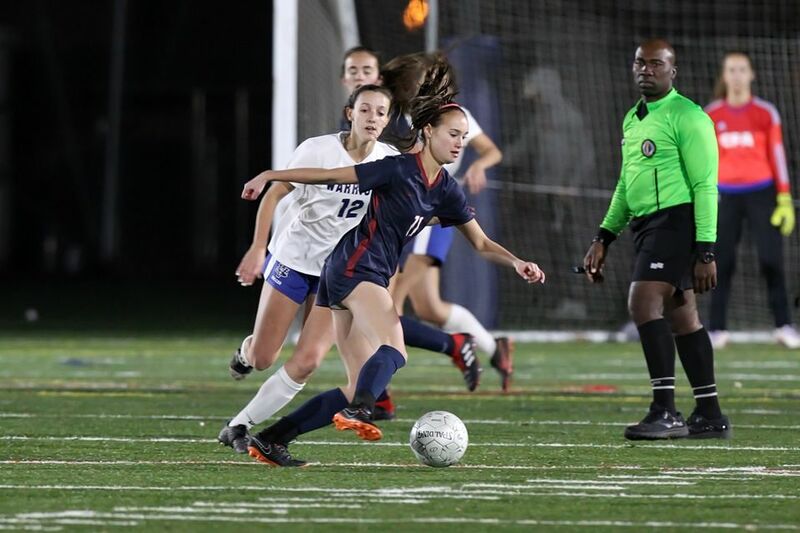 Both St. Margaret's soccer programs have been invited to participate in the extended postseason. 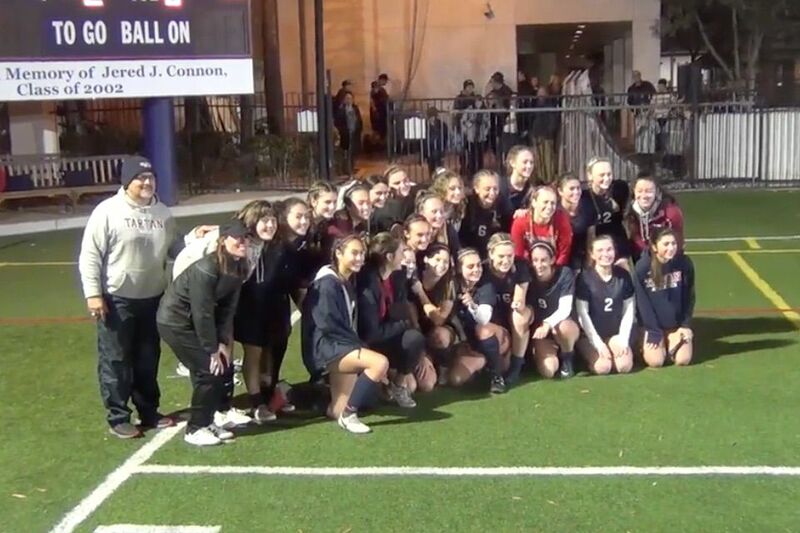 St. Margaret's Soccer Programs are Finals Bound! 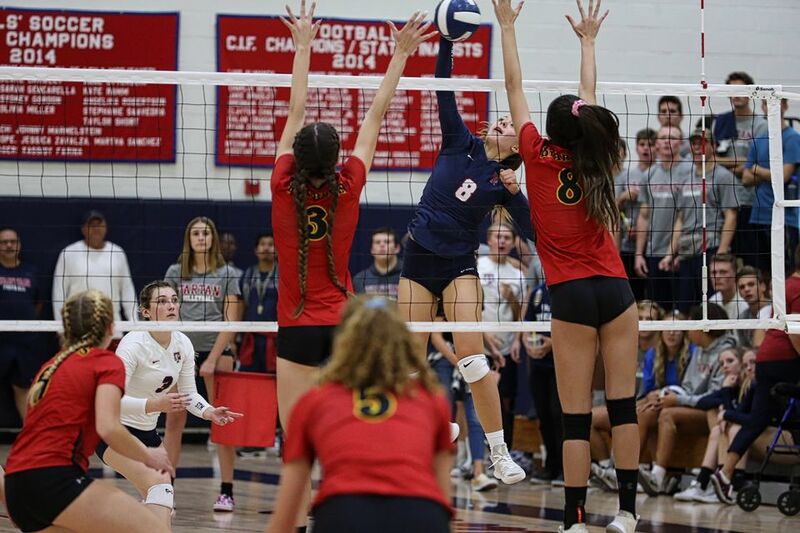 The Tartans outmatched their semi-finals opponents and are headed to the CIF-SS Finals. 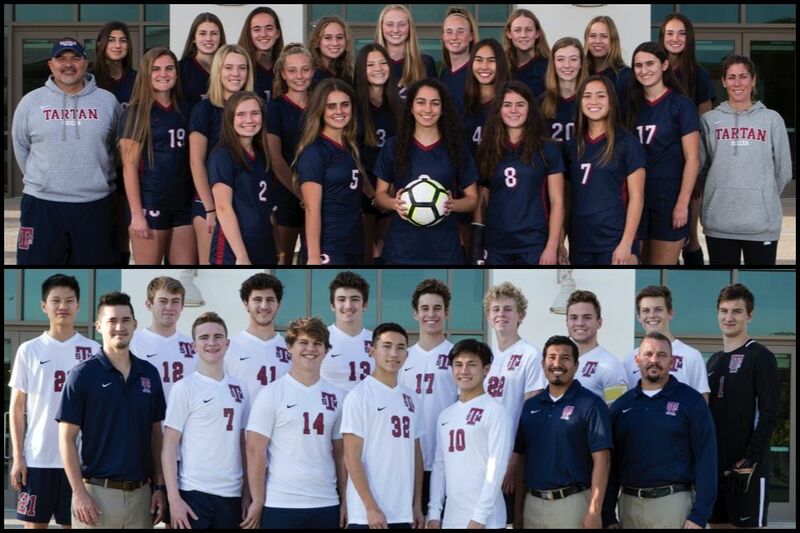 Both boys and girls soccer teams look to advance to the CIF-SS Finals by winning on Saturday. 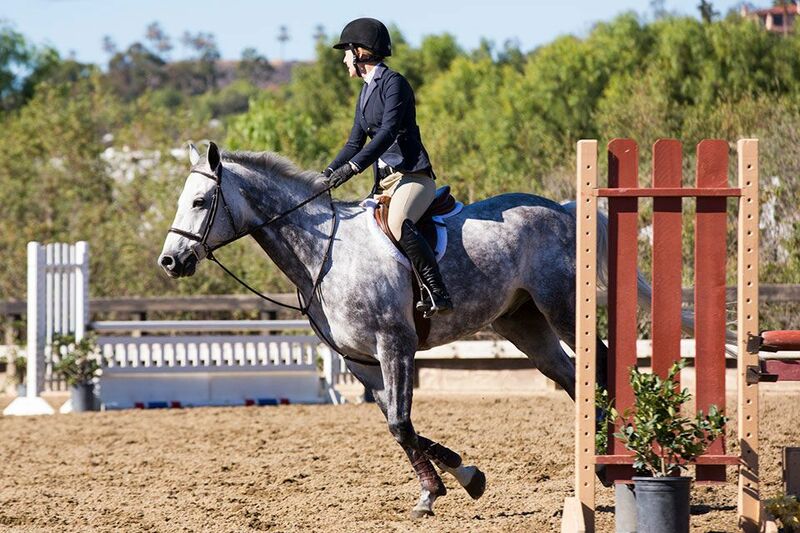 St. Margaret's equestrian program had a strong showing during a weather-shortened season. 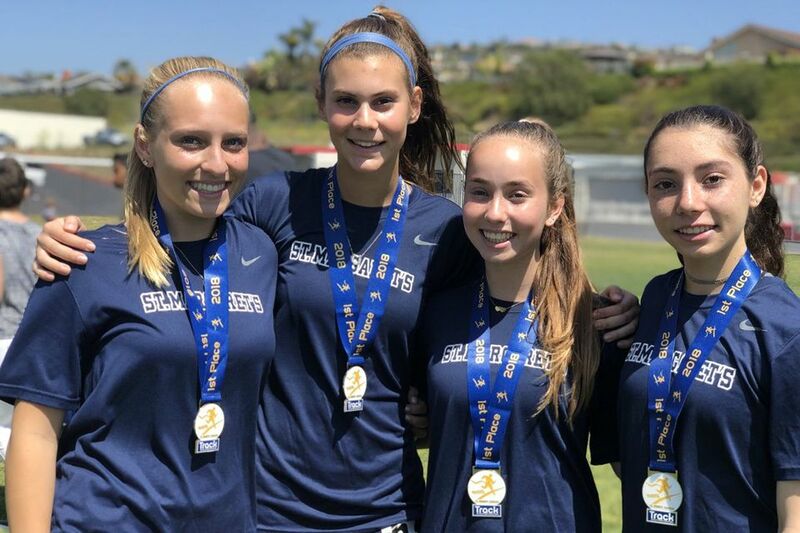 The girls soccer program advanced in the CIF-SS Playoffs, marking head coach Marmelstein's milestone win. 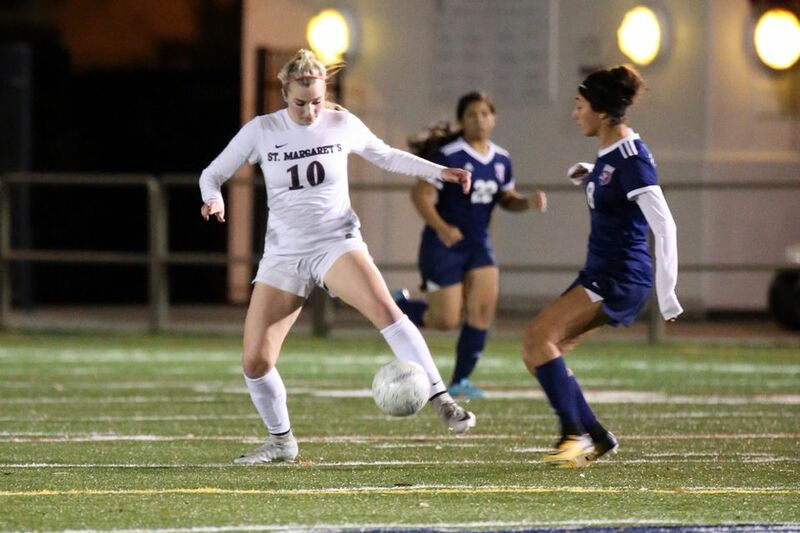 Both Tartan soccer programs overcame tough opponents to stay alive in the CIF-SS Playoffs. 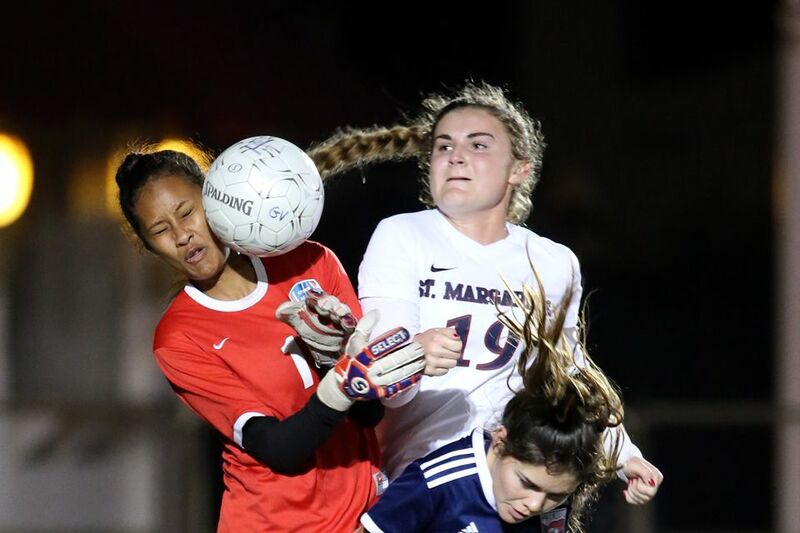 St. Margaret's boys and girls soccer programs move on after first-round victories. 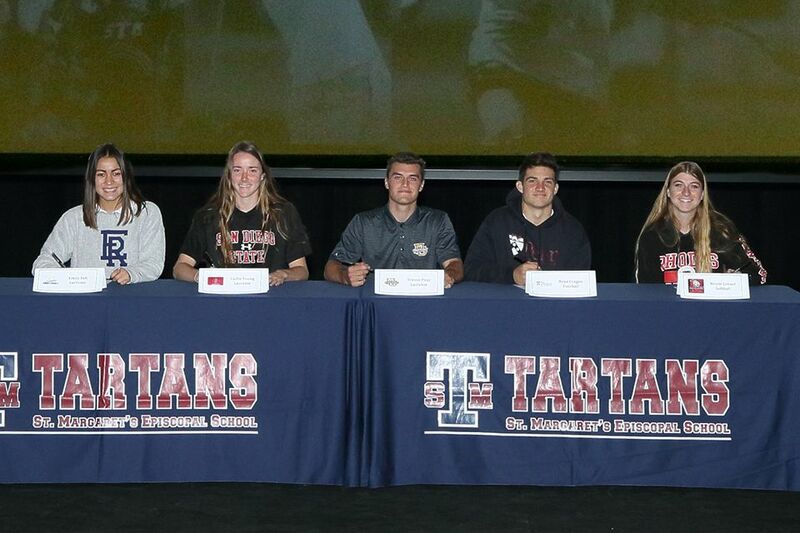 Eight student-athletes from the class of 2019 committed to continue their academic careers and play intercollegiate athletics during the winter signing period. 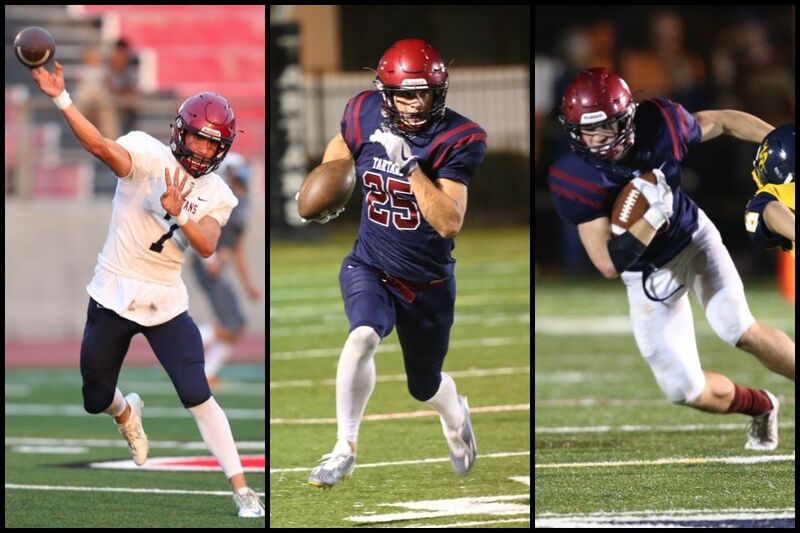 The Tartans have completed their regular season schedules and look forward to the postseason beginning next week. 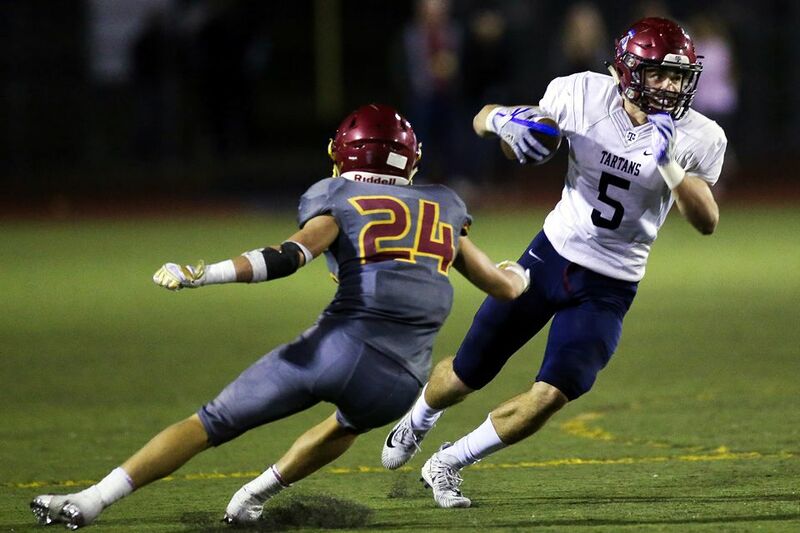 Todd joins 59 athletes selected by Cal-Hi Sports in the 40th iteration of the All-State award. 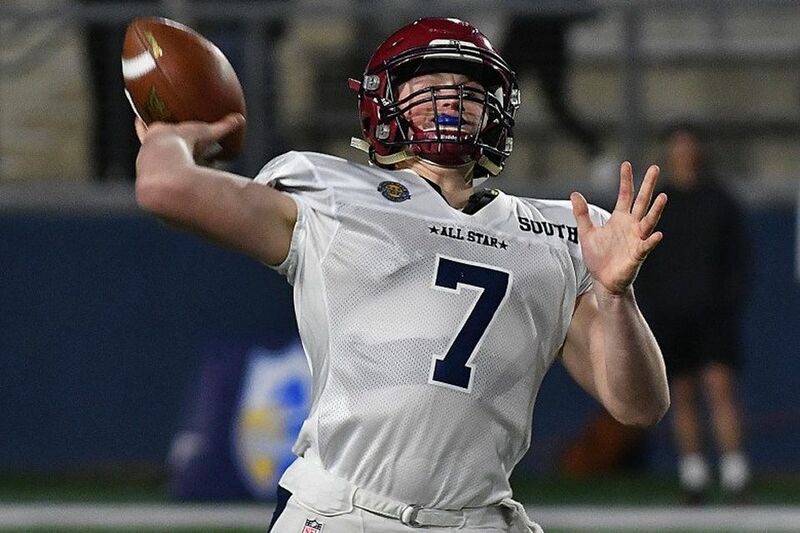 Mott had 151 yards and two touchdown passes in the South's 16-7 victory over the North. The Division IV No. 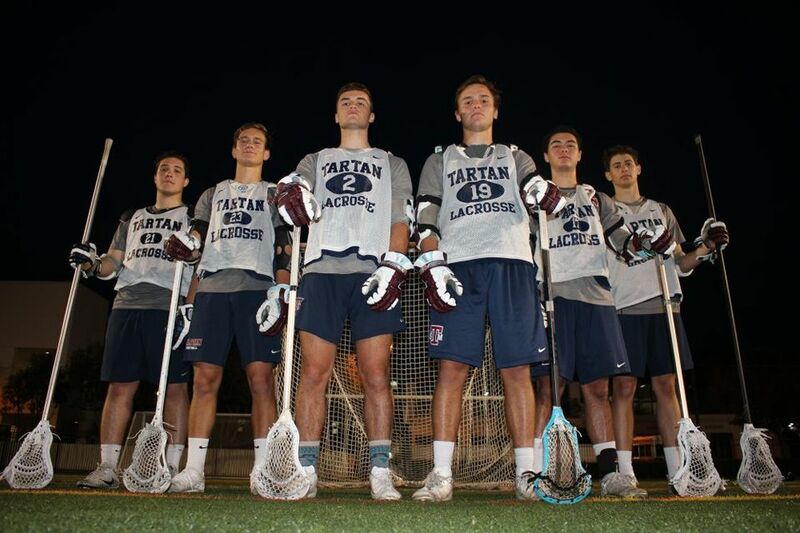 1-ranked Tartans are ready for a deep playoff run. 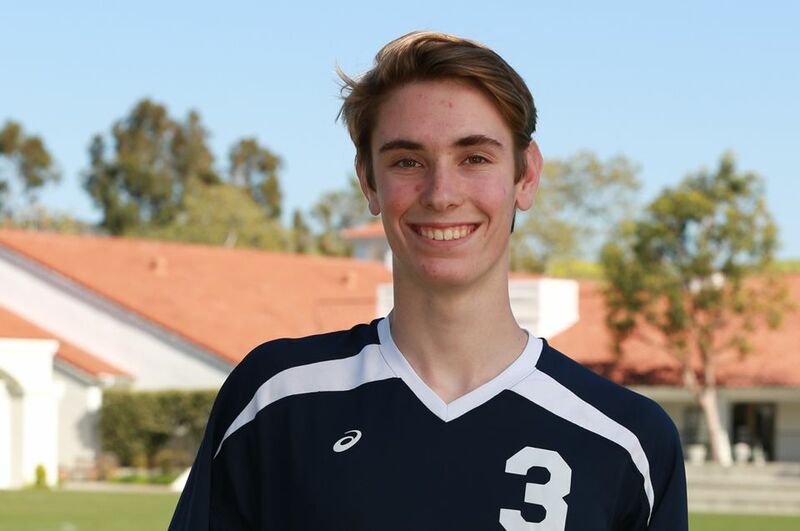 Mott has been selected to represent St. Margaret's at the annual Orange County North vs. South All-Star Game while Todd earned Division VI All-CIF recognition. 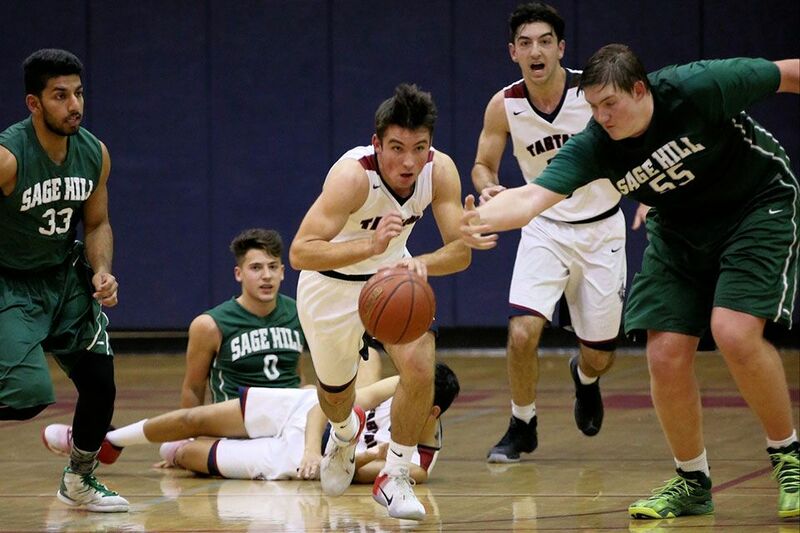 St. Margaret's soccer programs and boys basketball team came out on top over league rivals Sage Hill on Tuesday. 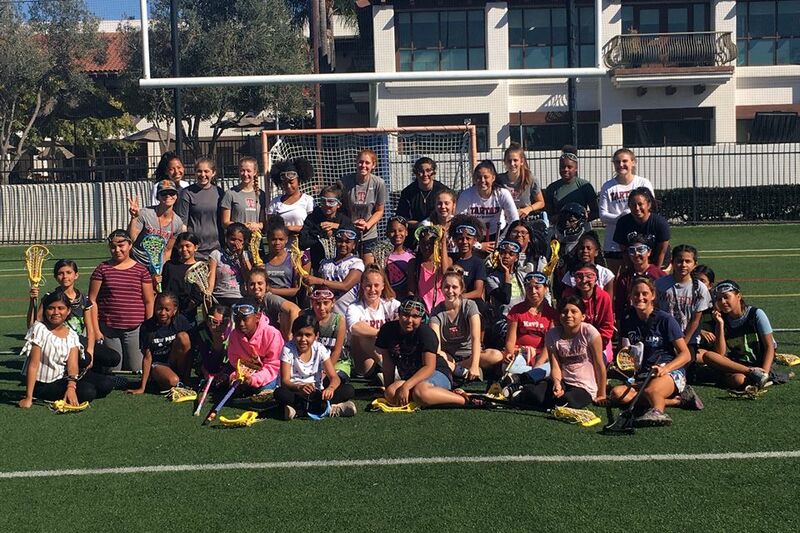 St. Margaret’s girls lacrosse team hosted 28 student-athletes from the Los Angeles chapter of Harlem Lacrosse to campus for a skills-building clinic that forged friendships through the sport. 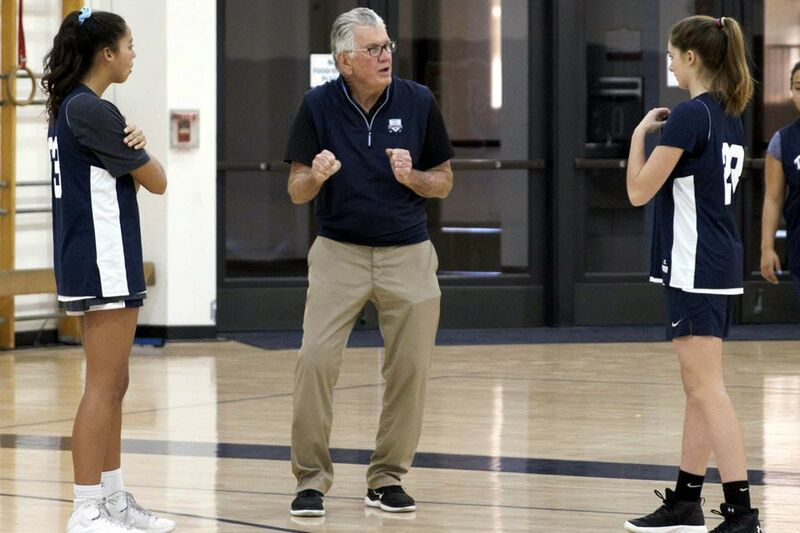 St. Margaret's girls basketball team recently had the opportunity to learn from former professional and college coach Paul Westhead. 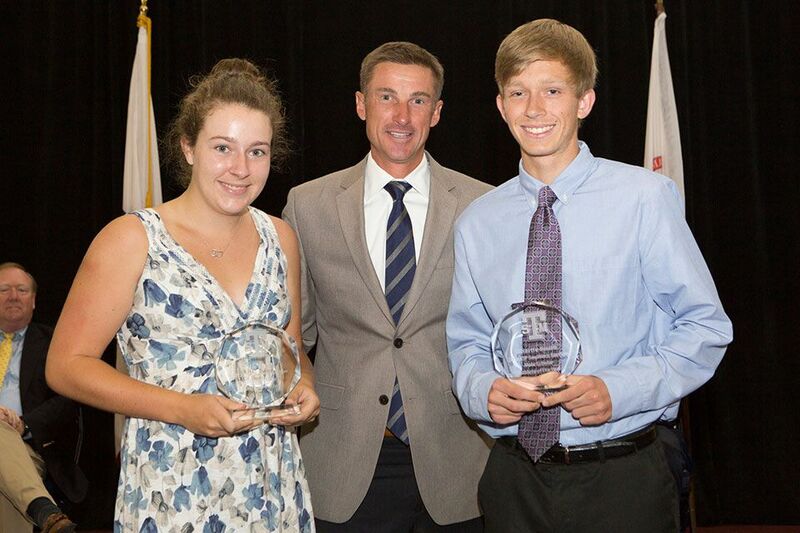 Jackson Adelman and Andi Carnell have been named All-County in cross country while head coach Patrick Bendzick is tabbed as Girls Coach of the Year. 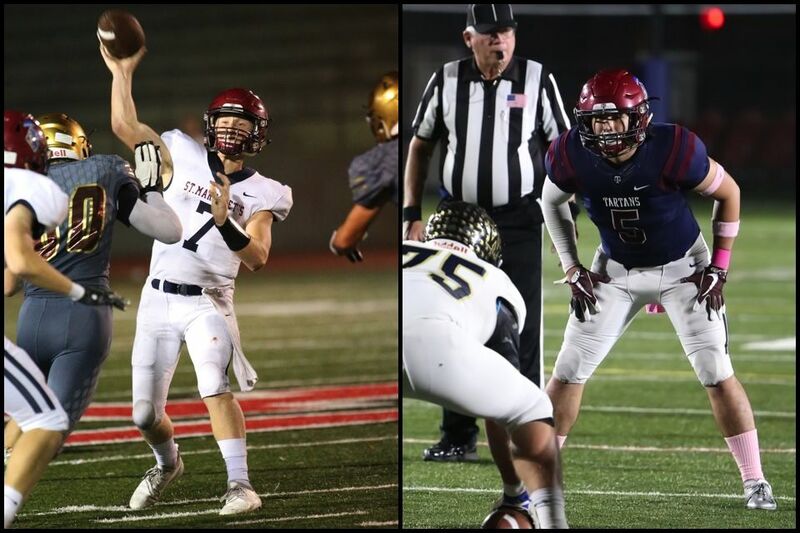 The St. Margaret's duo was recognized by OCvarsity.com for their performances on the gridiron this past fall. Both programs entered their league seasons with wins last week. 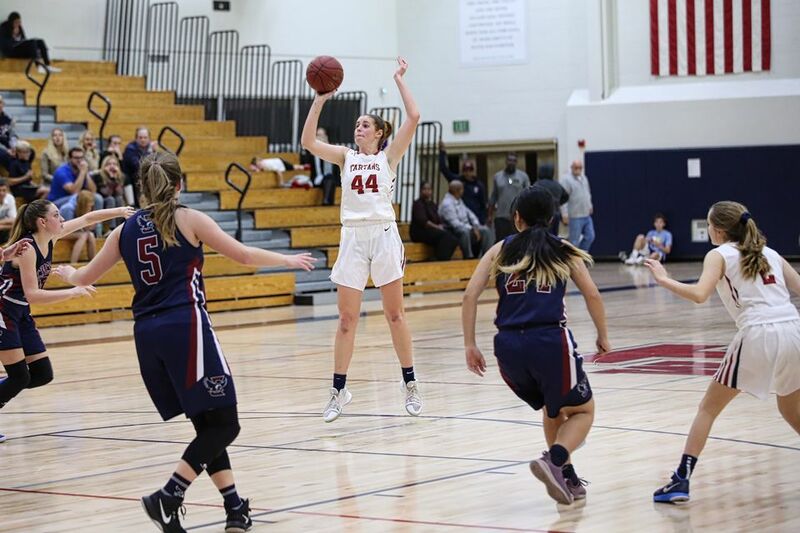 The Tartans have been tenacious on the hardwood through the early season. 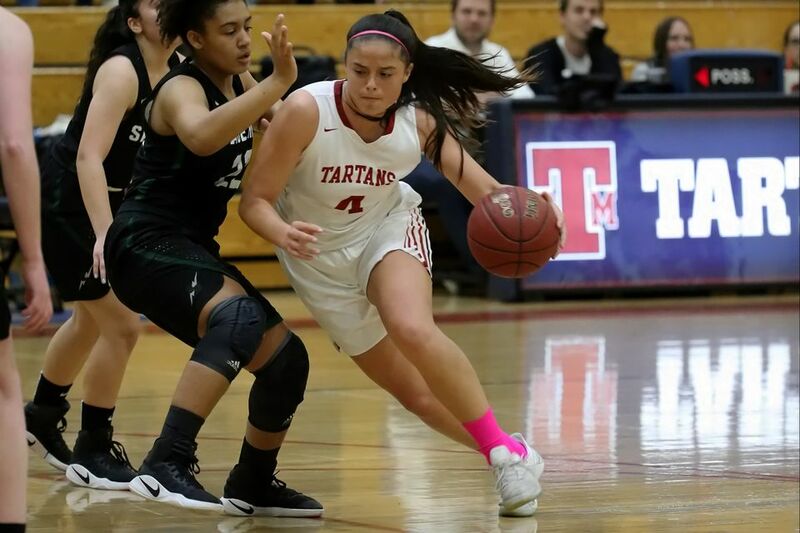 The Tartan girls basketball team takes an 8-1 record into the weekend. 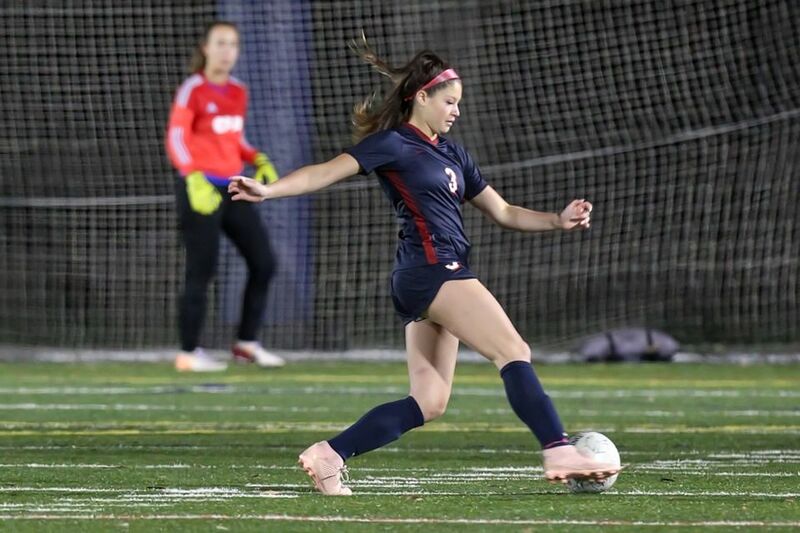 St. Margaret's soccer programs started the 2018-2019 campaign on the right foot this week. 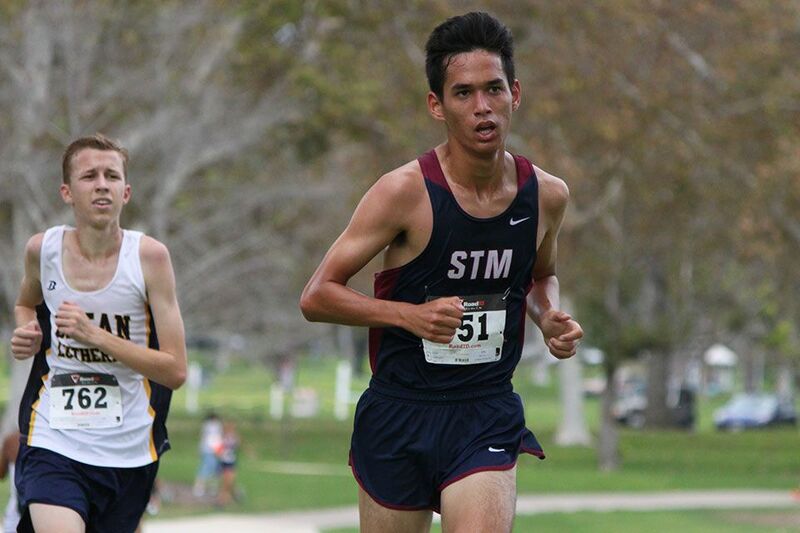 St. Margaret's gutted out a tight race to capture its fourth championship in boys cross country. 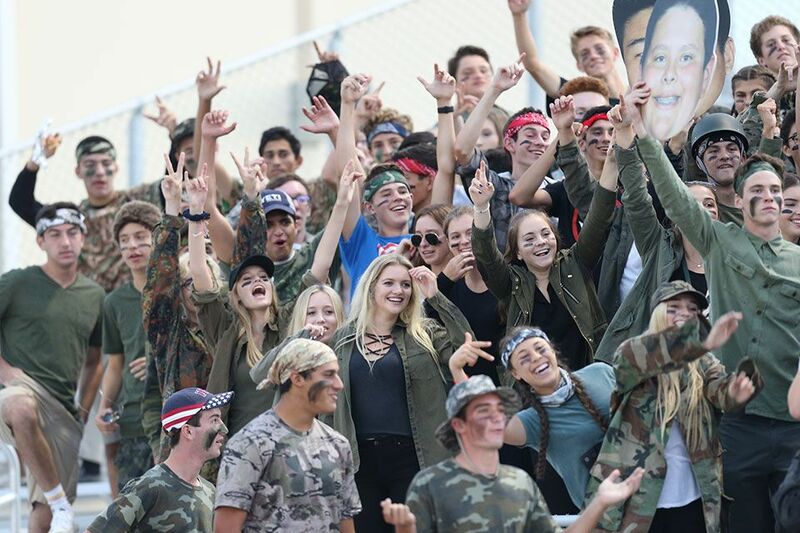 The Tartans were undefeated on the road to the championship. 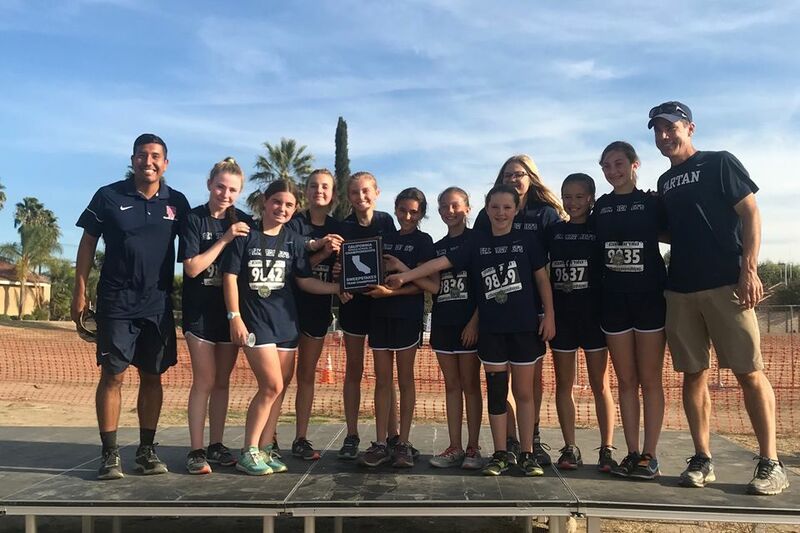 Both Tartan Cross Country teams were crowned Div. V champs on Saturday. 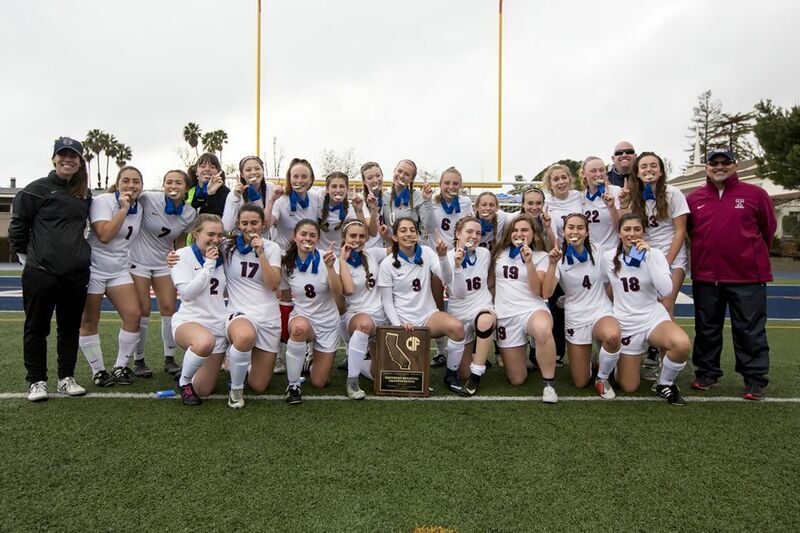 The Tartans captured the state title on Thursday afternoon. 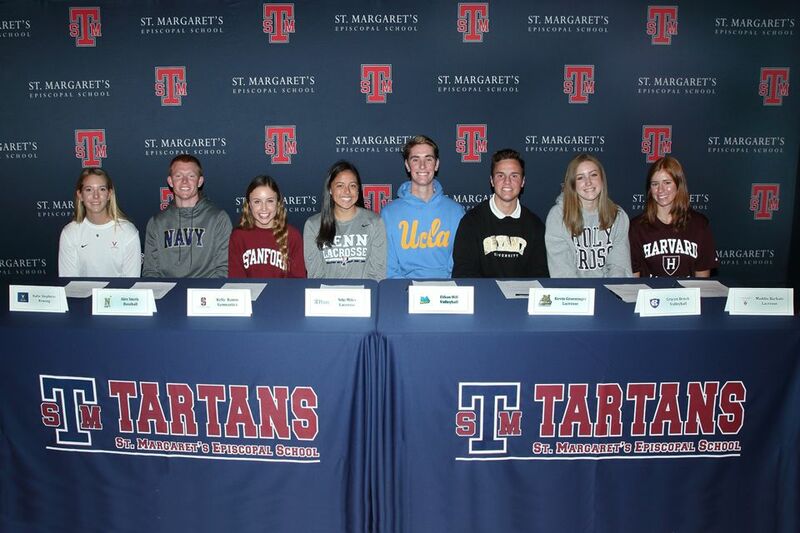 Eight student-athletes from the Class of 2019 have committed to play Division-I intercollegiate athletics next year. 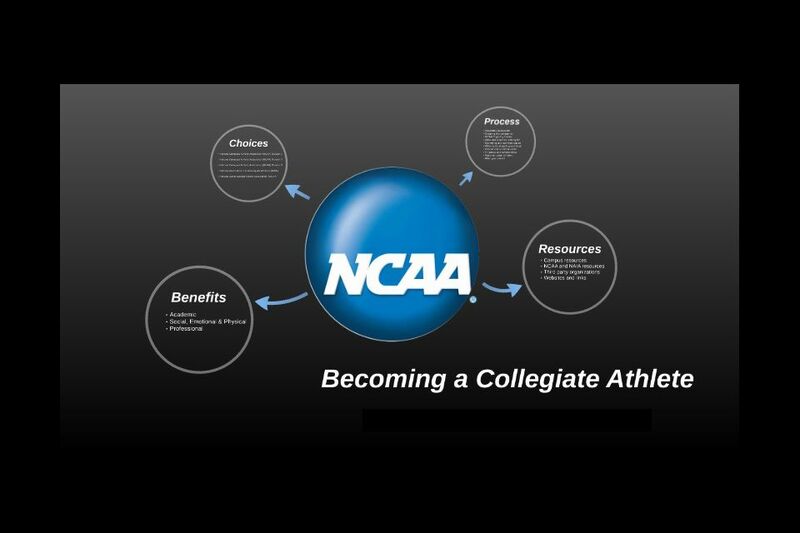 The workshop provided motivated scholar-athletes and their families helpful guidance on the competitive and complex process of becoming a collegiate athlete. Parents and players came together to compete and close out the fall season. 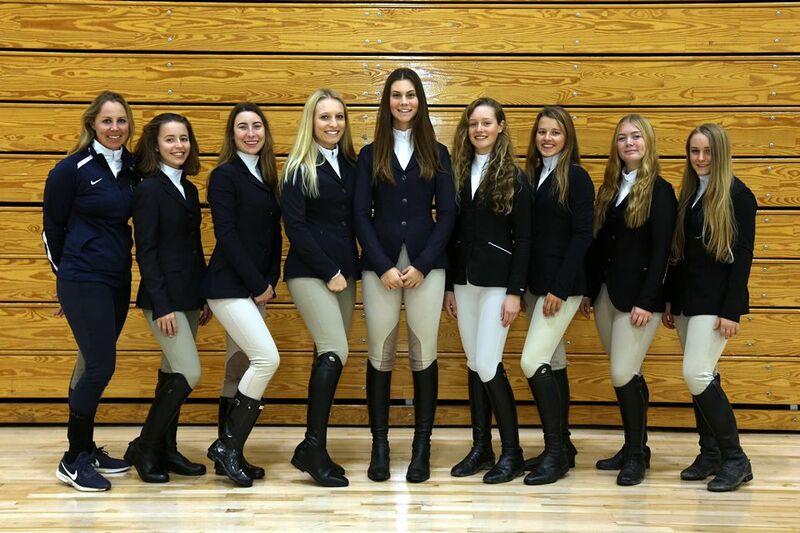 St. Margaret's riders performed well in the second Interscholastic Equestrian League weekend of the season. 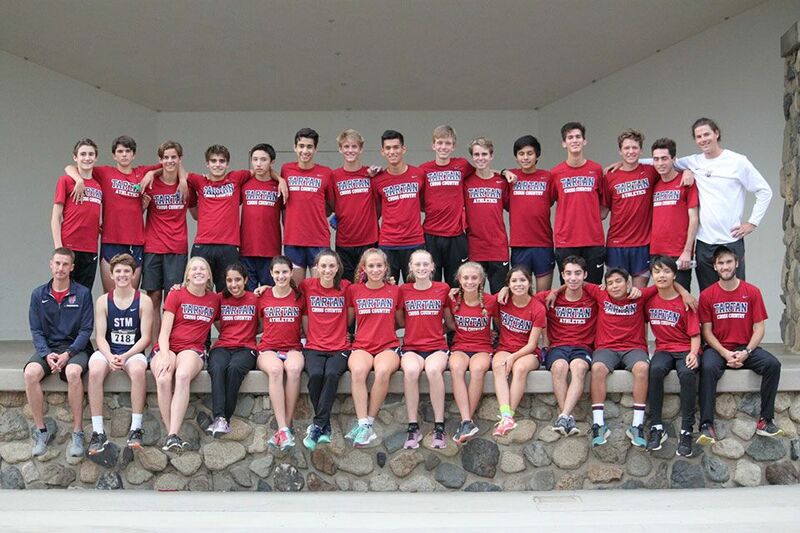 Perfect scores led the Tartan cross country teams to the Academy League Championship. 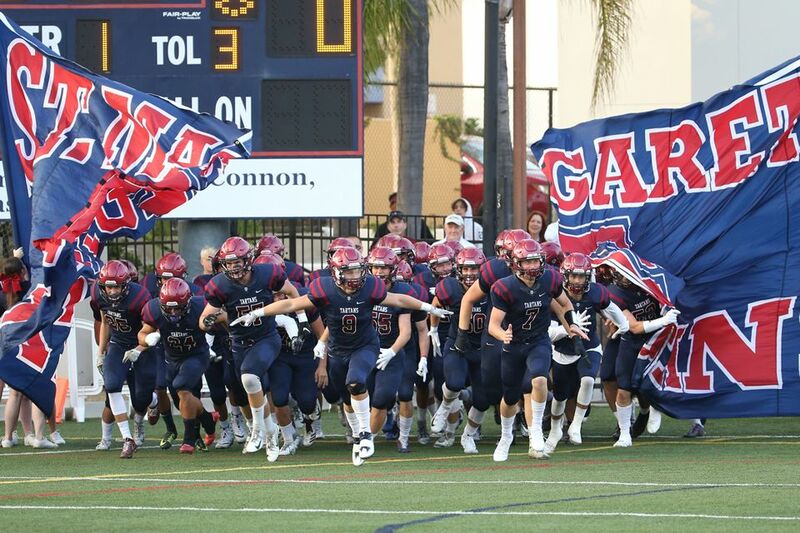 St. Margaret's downed Huntington Beach 28-17 on Friday. 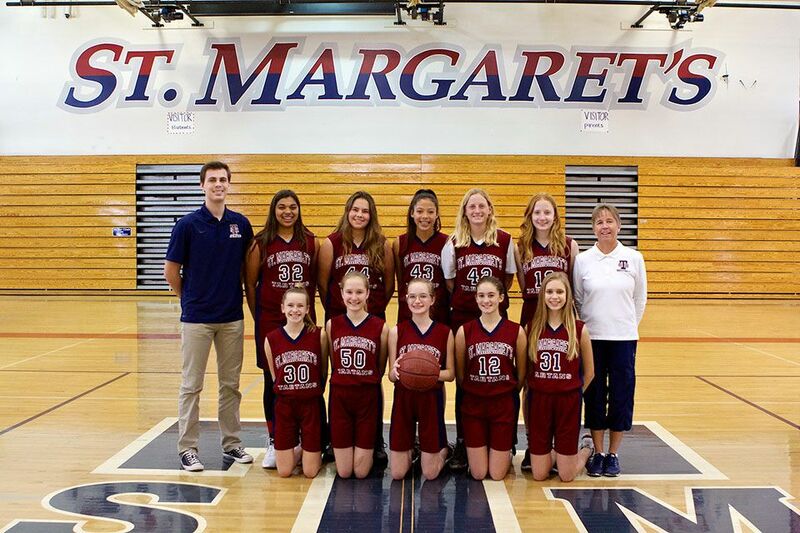 St. Margaret's defeated Sts. Simon and Jude 14-6 on Thursday. The first ever faculty vs. Middle School game had the Campaigne Center rocking. 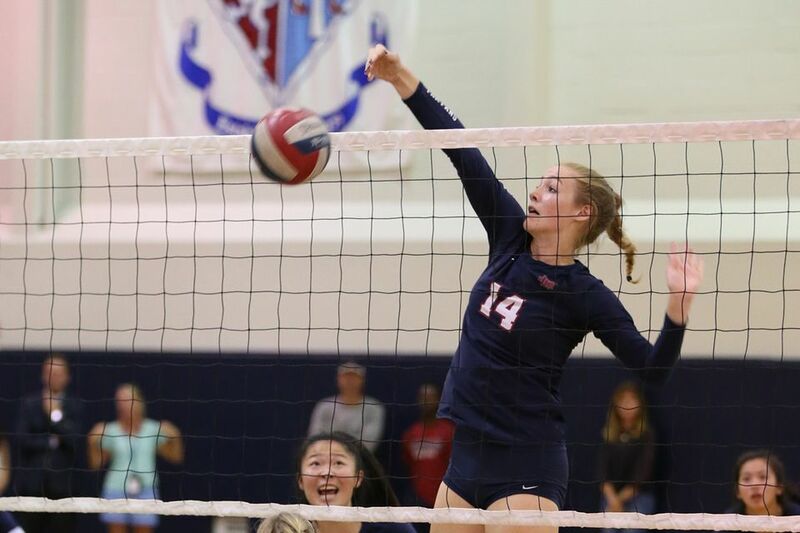 St. Margaret's relied on precision hitting and excellent defense to get the win. 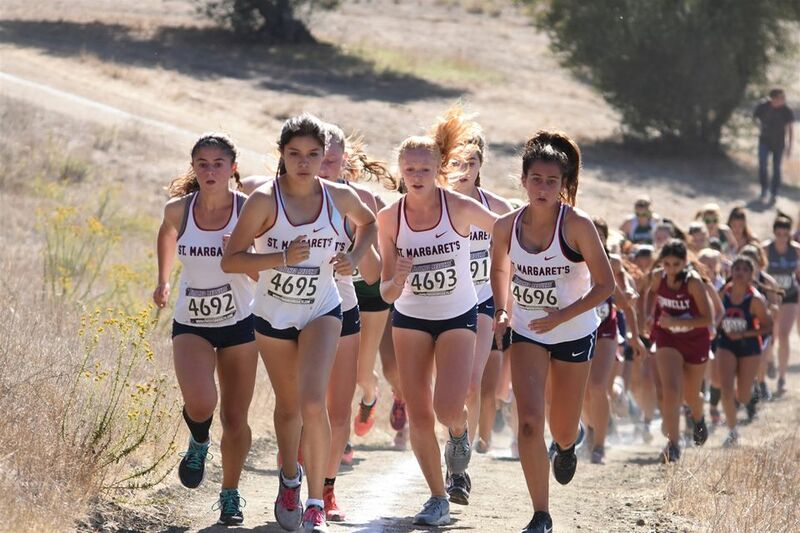 The Tartans took advantage of a late-season opportunity to prepare for the league championships. 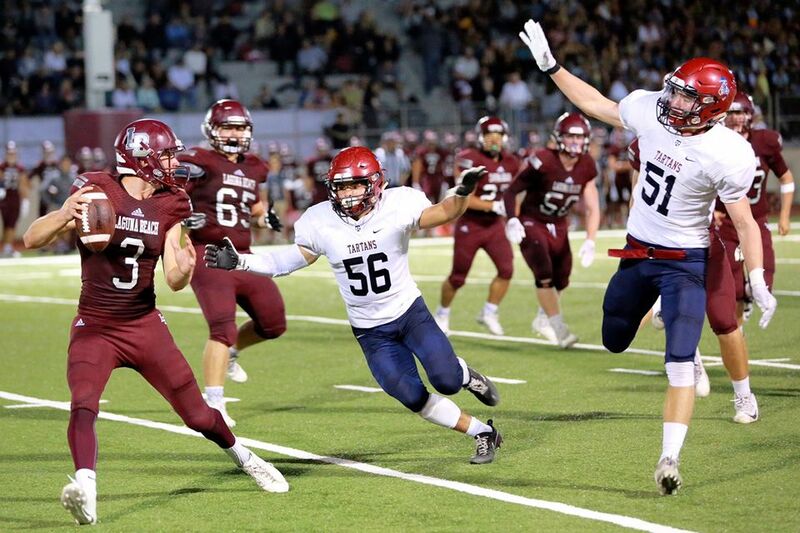 St. Margaret's defense controlled the tempo and added two scores in the win. 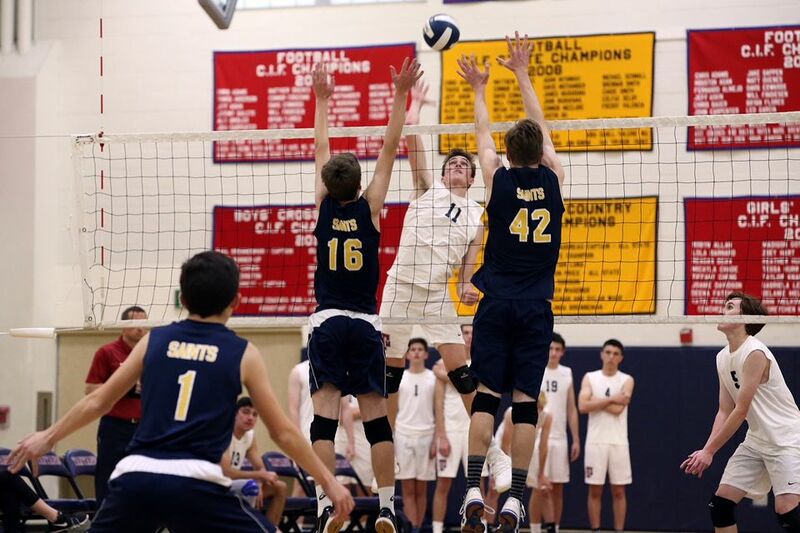 St. Margaret's was relentless on the court in the postseason win. 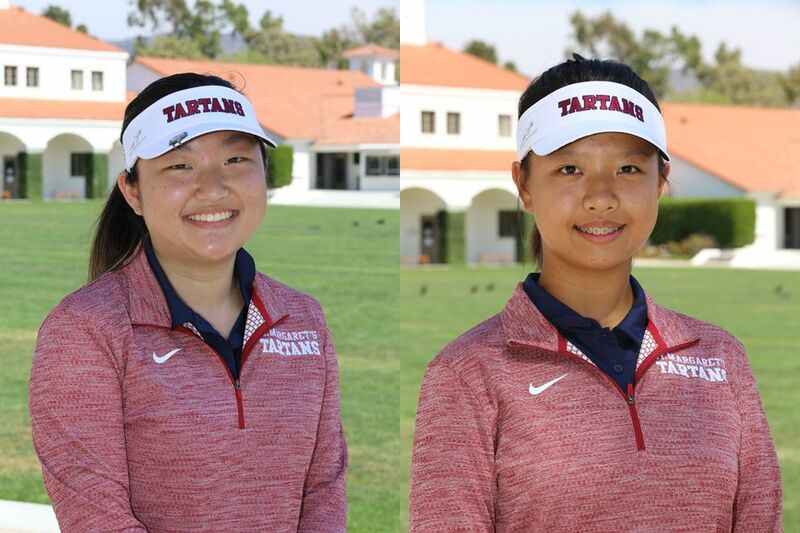 Senior Natalie Yee and sophomore Amy Meng had great seasons for St. Margaret's. 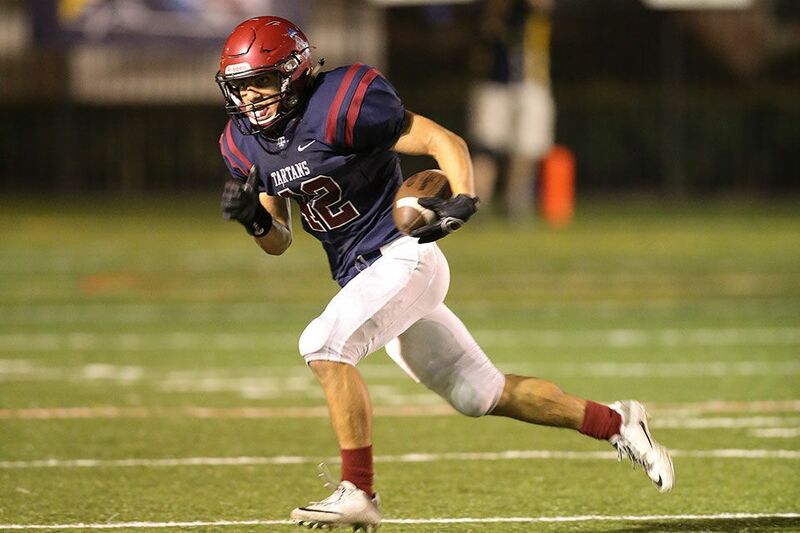 Mother Nature quickly put an end to Friday's game, but not before the Tartans produced two touchdowns. 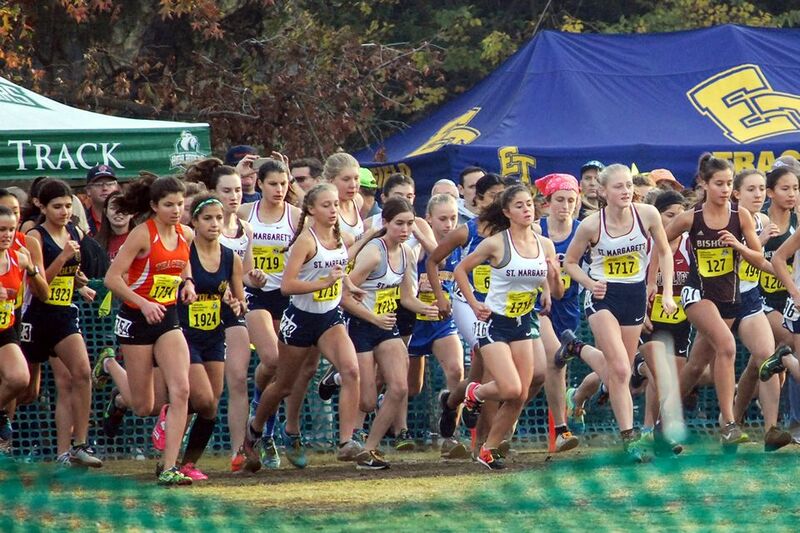 The Tartan cross country programs are at the top of the league standings as the season ramps up. 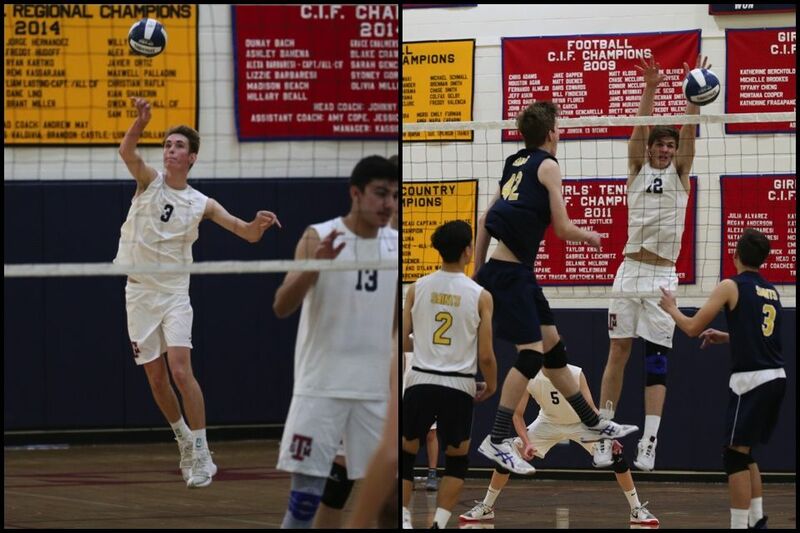 The Tartans downed the Diablos in four on Senior Night. 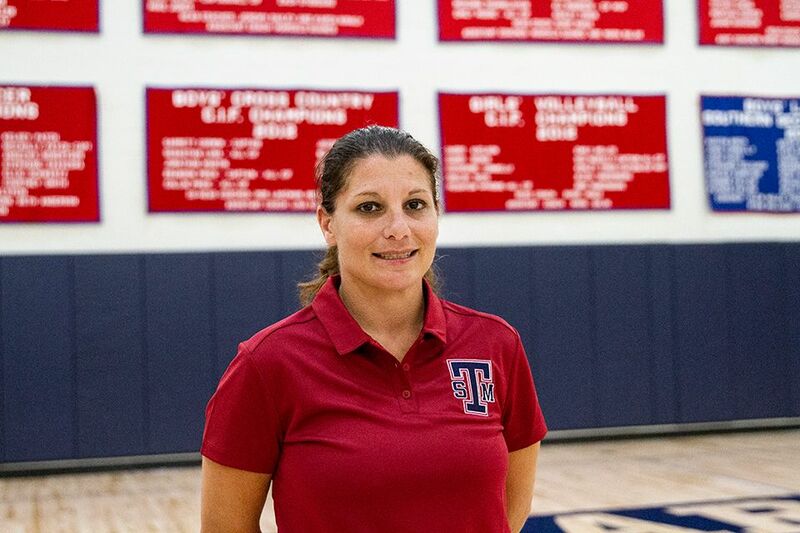 Nicole Riscica has been named the new head girls basketball coach at St. Margaret’s, effective immediately. 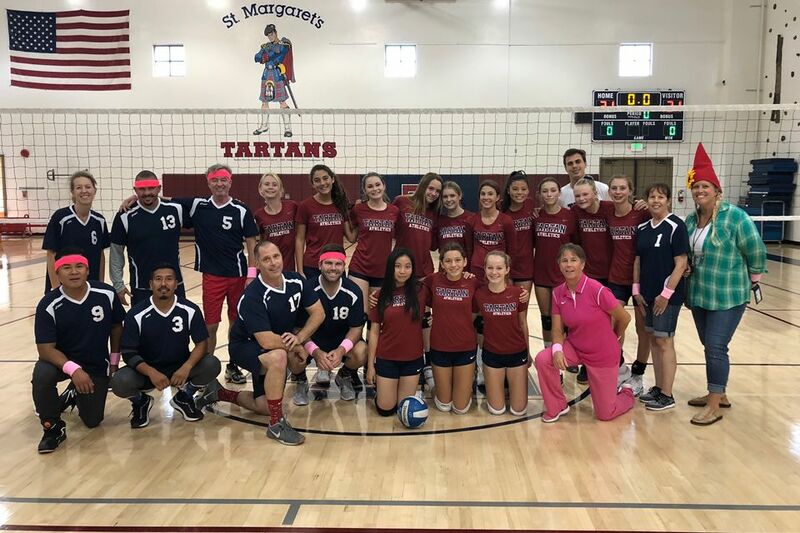 St. Margaret's girls volleyball hosted a pink out and downed SVCS 3-2 on Tuesday evening. 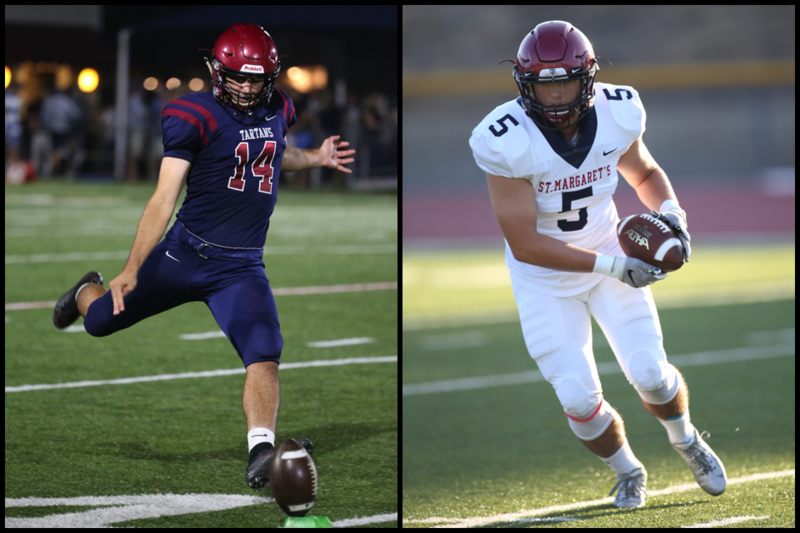 St. Margaret's completed its non-league season with a 6-1 record. 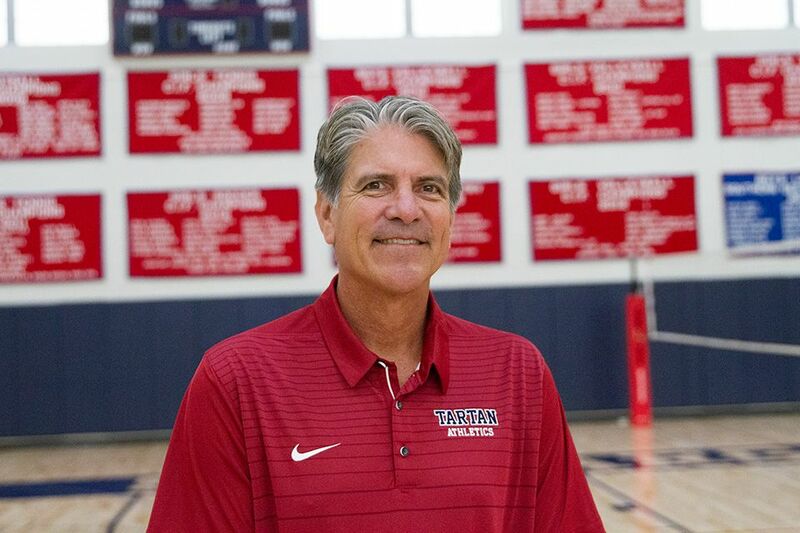 Frohoff, a 2008 Beach Volleyball Hall of Fame inductee, has been appointed the head coach of the Tartan boys volleyball program. 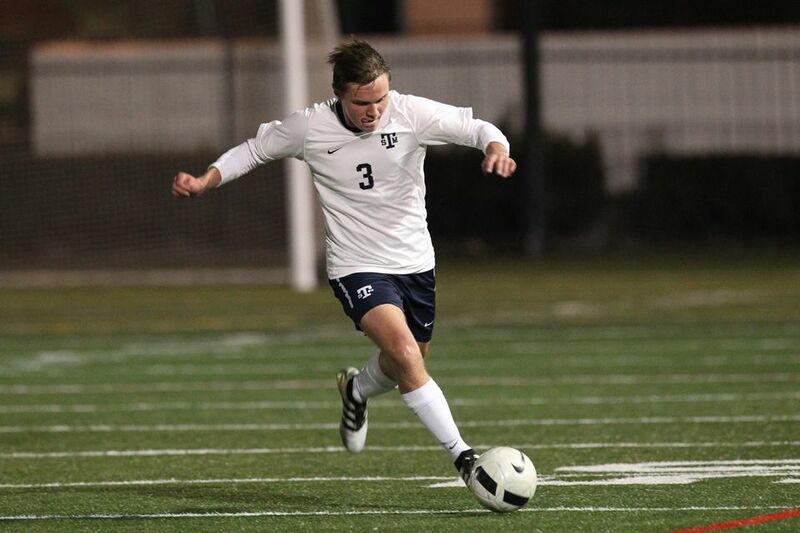 The Tartans turned in a total team effort in the 3-0 victory. 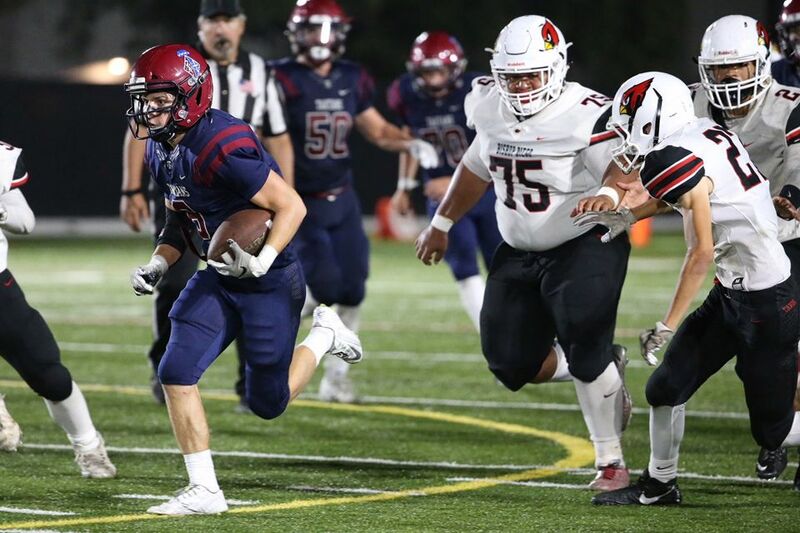 St. Margaret's rattled off 28 unanswered points in the second half to secure the 42-15 victory over the visiting Cardinals. 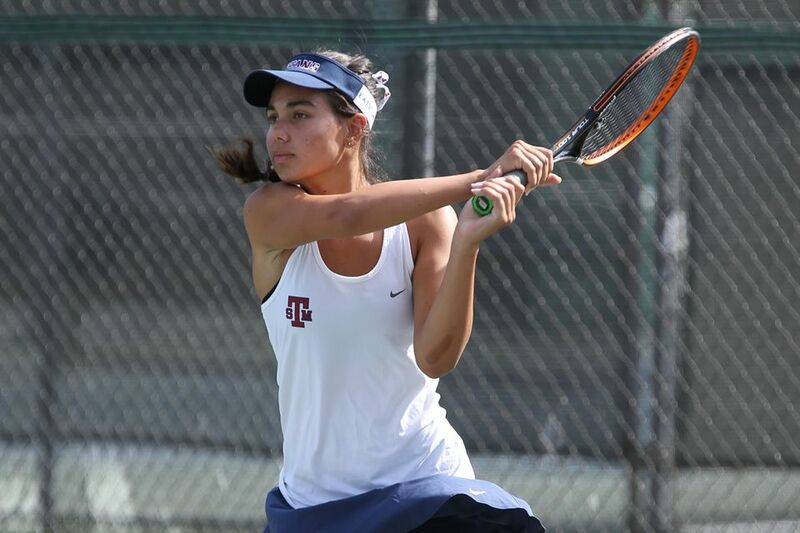 St. Margaret's girls tennis team picked up two wins this week to remain unbeaten in the Academy League. 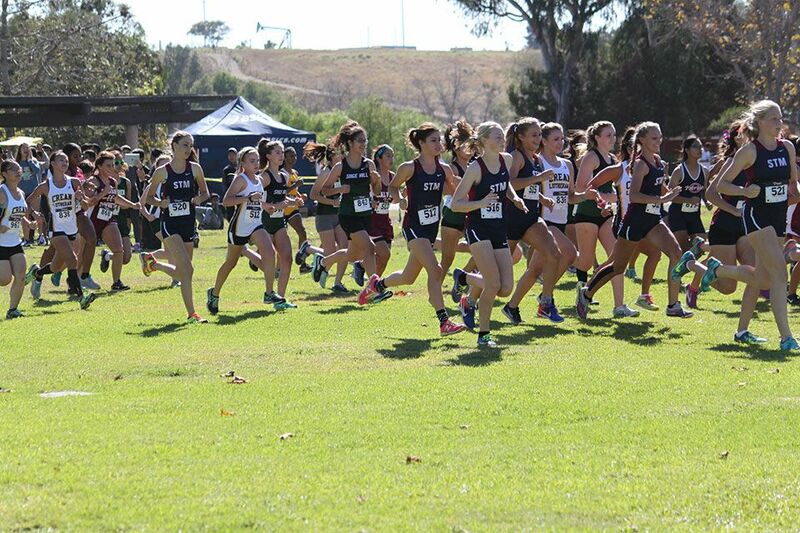 Both boys and girls cross country squads were at the top of the pack at the first league meet of the year. 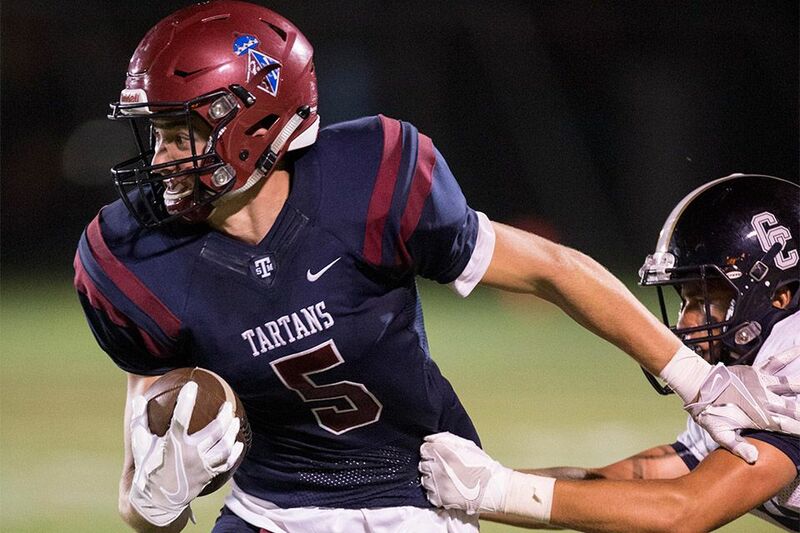 The Tartan defense added two scores to help top the Knights on the road. 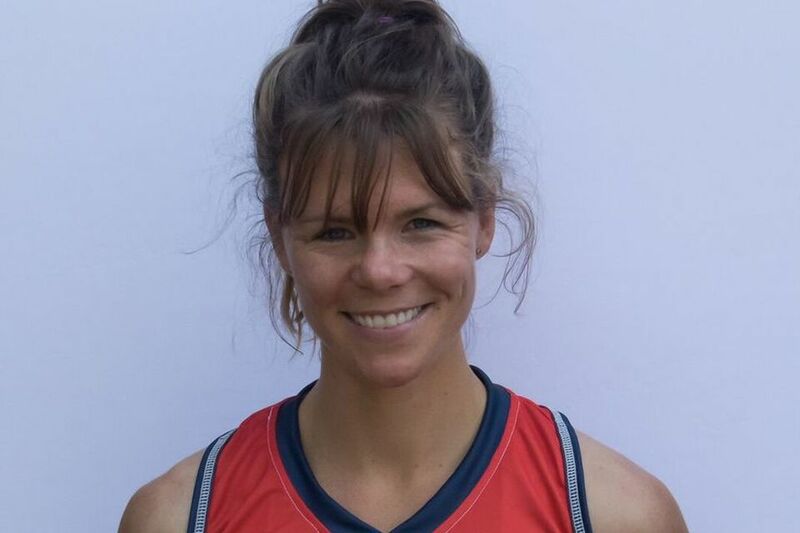 Lind, a midfielder for the Mammoths has a goal and four assists on the season. 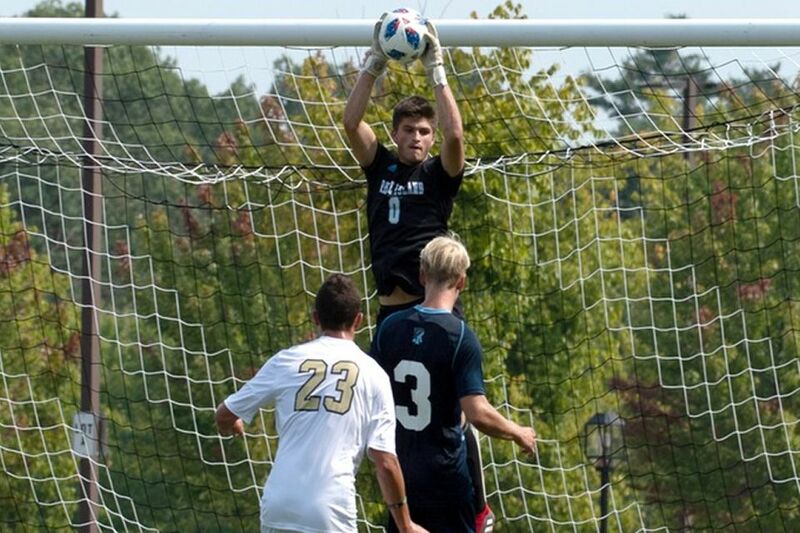 Penske, a goalkeeper for the University of Rhode Island men's soccer team, has made an immediate impact as a freshman. Cross country, volleyball and football are all ranked in the top ten. 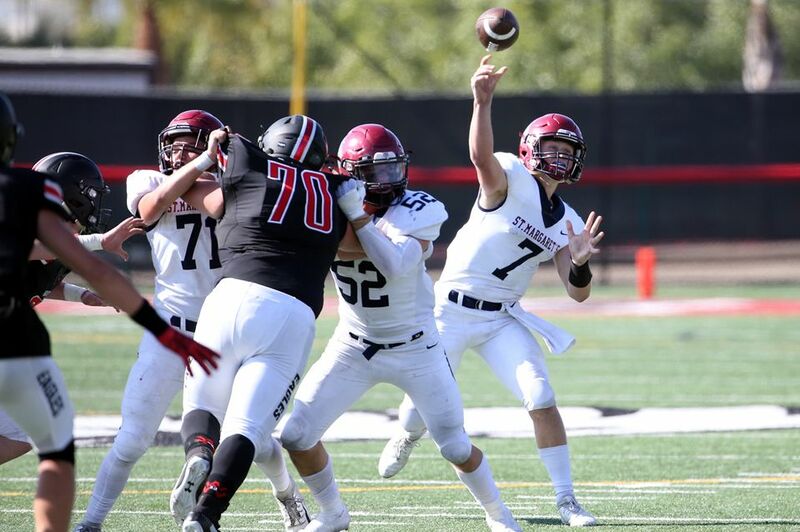 St. Margaret's offense had an explosive second half, topping Salesian High. 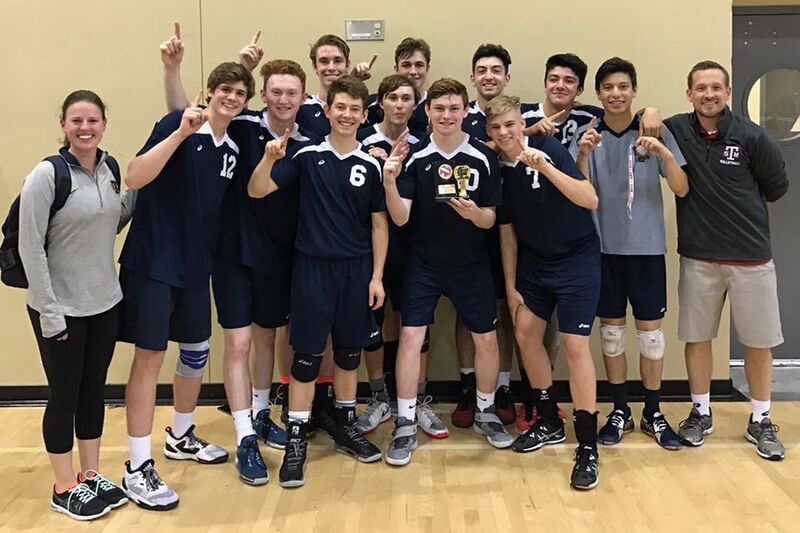 The Tartans defeated Carlsbad High in the finals of the Dave Mohs Invitational. 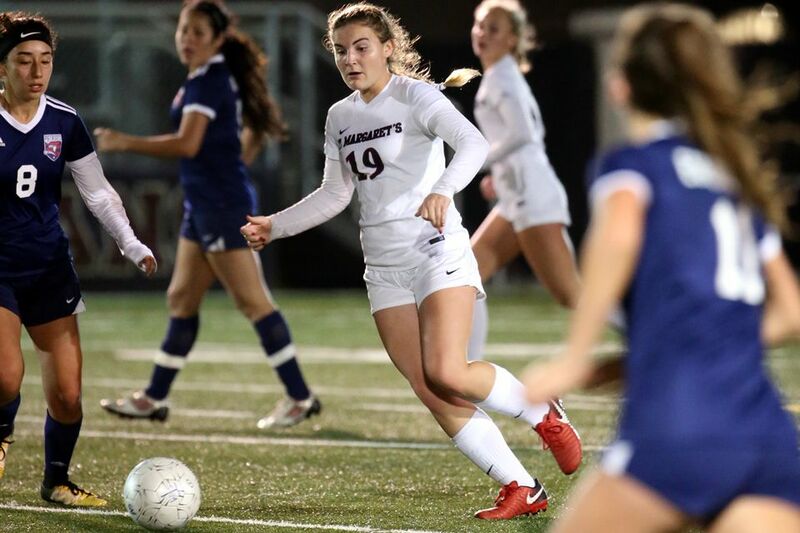 The Tartans downed Portola High 3-0 on Wednesday evening. 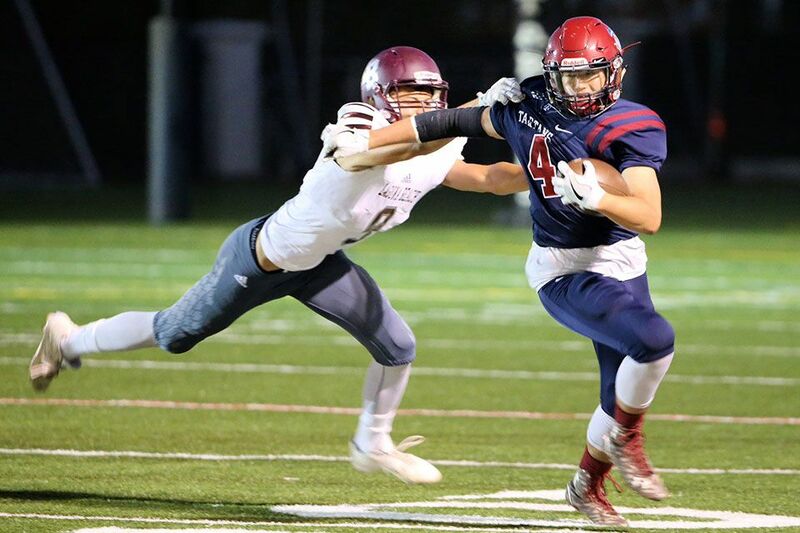 St. Margaret's put up big numbers in the road win. 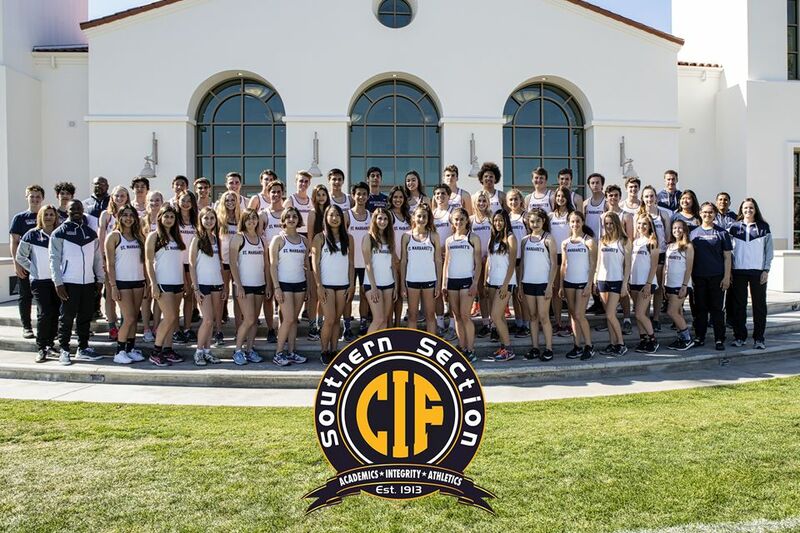 The CIF Div. VI No. 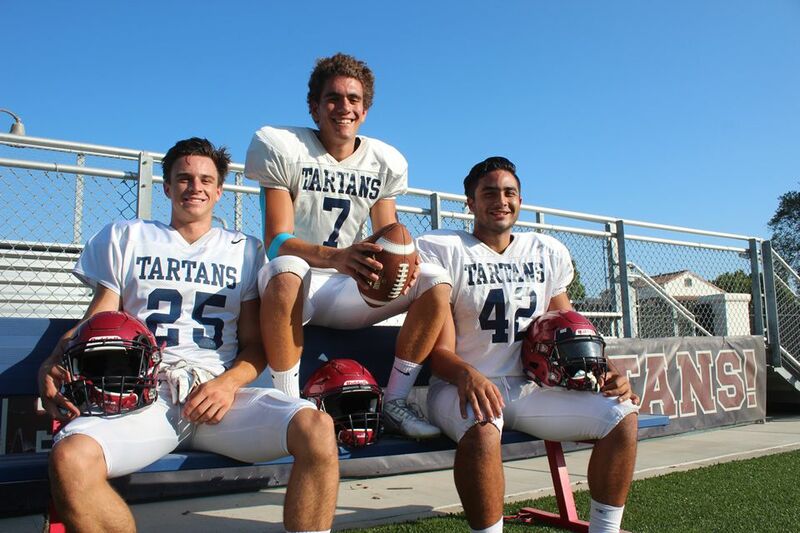 2 ranked Tartans are featured in The Capistrano Dispatch Football Preview this week. 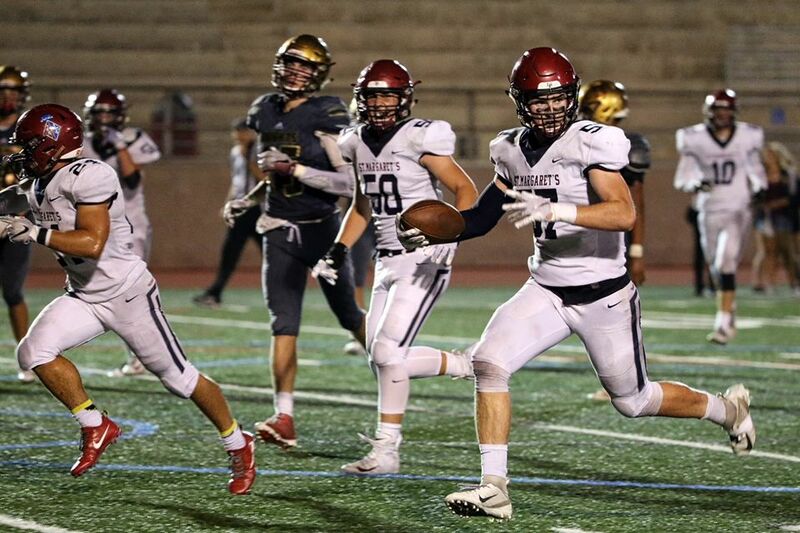 The Tartans defeated Aquinas High School 7-2 to kick off the 2018 football season. 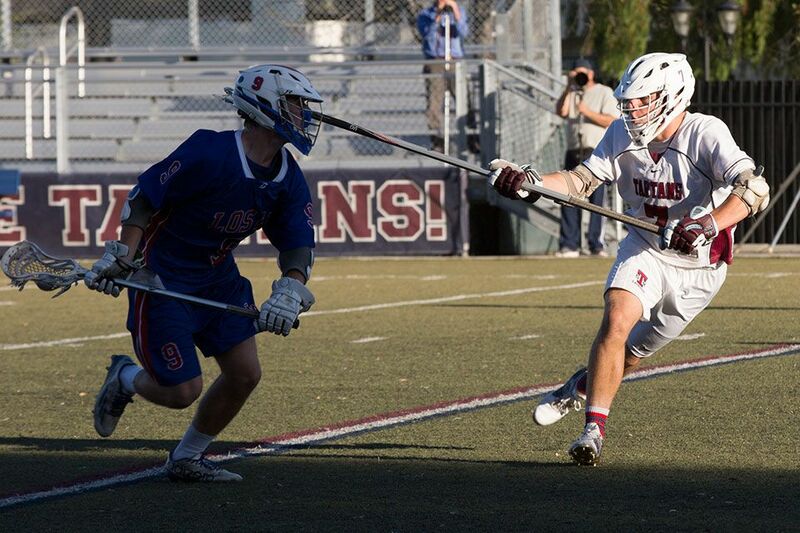 Nick Shanks '16, who was named a lacrosse All-American at Tufts University this spring, was recently interviewed by The Capistrano Dispatch. 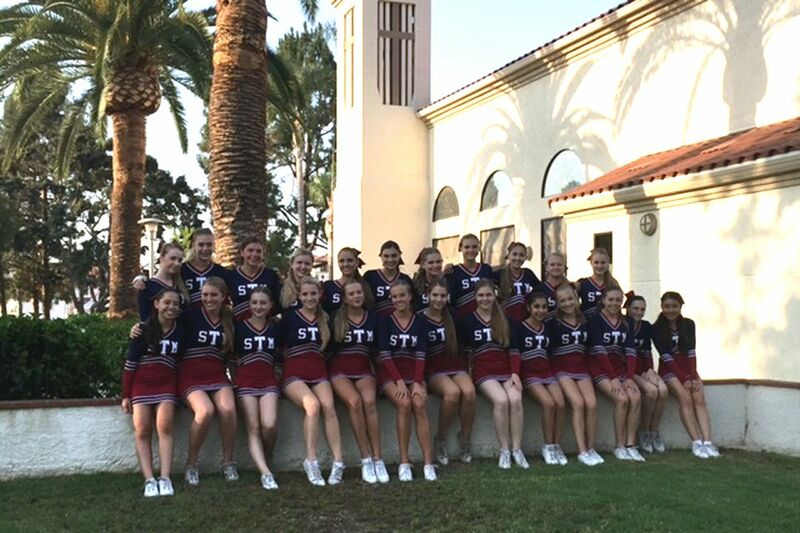 St. Margaret's cheerleaders performed well at the U.S. Spiritleaders Camp. 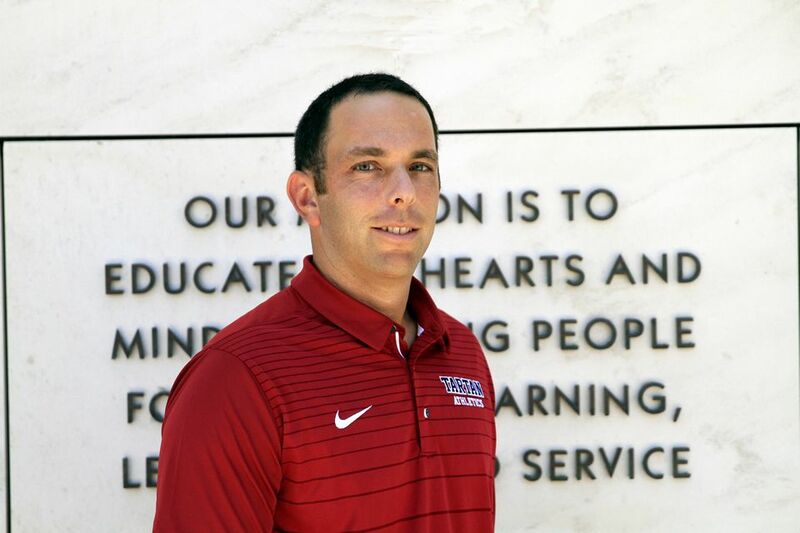 Scott Lipsky, 2011 French Open champion in Mixed Doubles, has been appointed the head coach of the Tartan tennis programs. 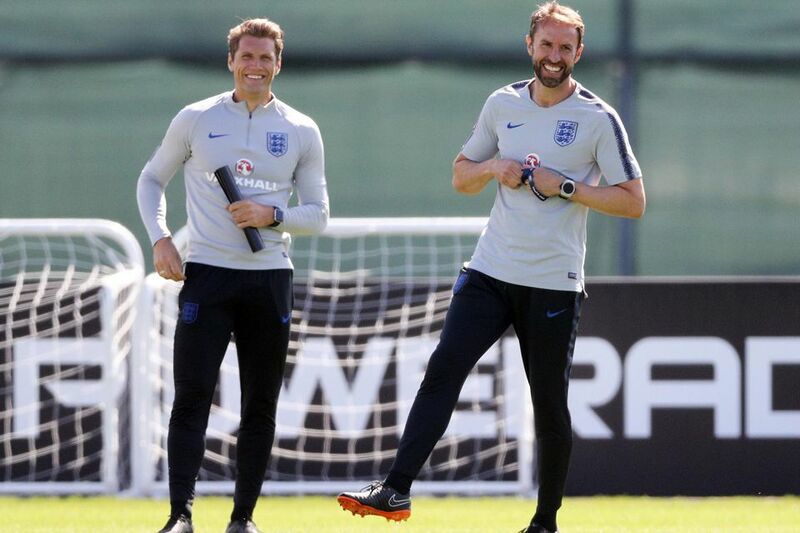 Former St. Margaret's coach Allan Russell is on the staff of England's national team at The World Cup. 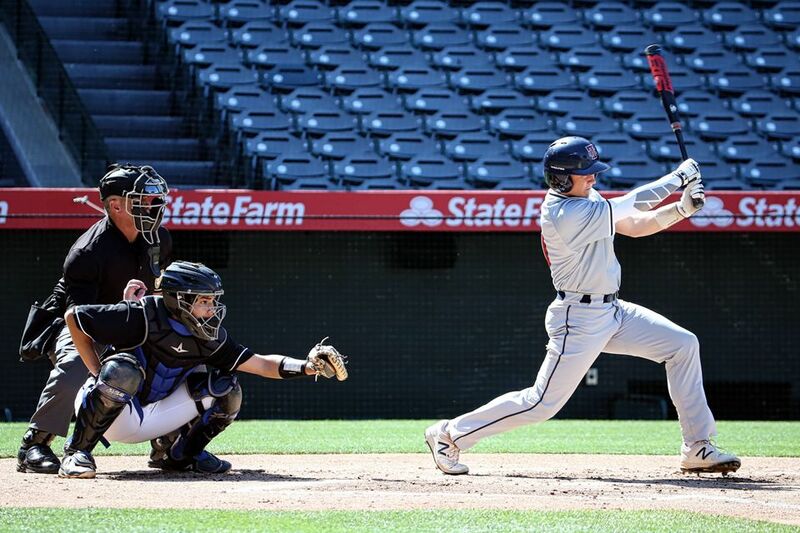 Tartan catcher Alex Smith's offensive production earned him an All-CIF nod for the 2018 season. 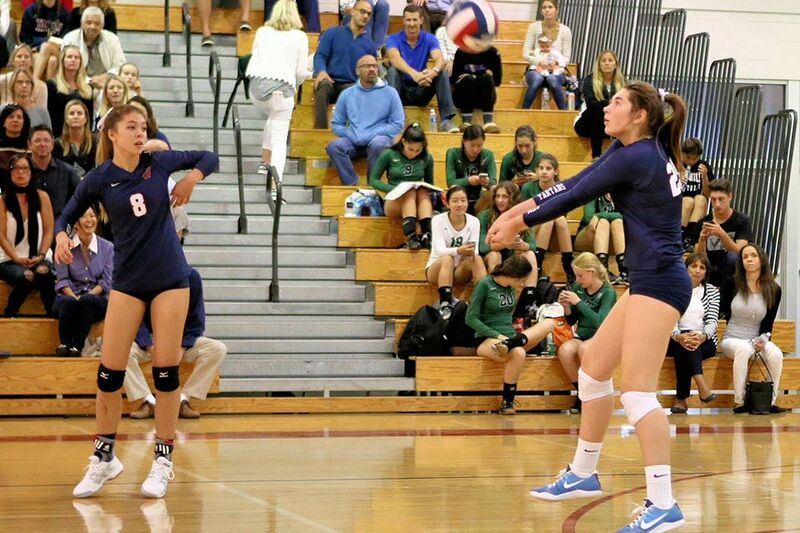 Hill and Smith have been named All-CIF in Division III Volleyball. 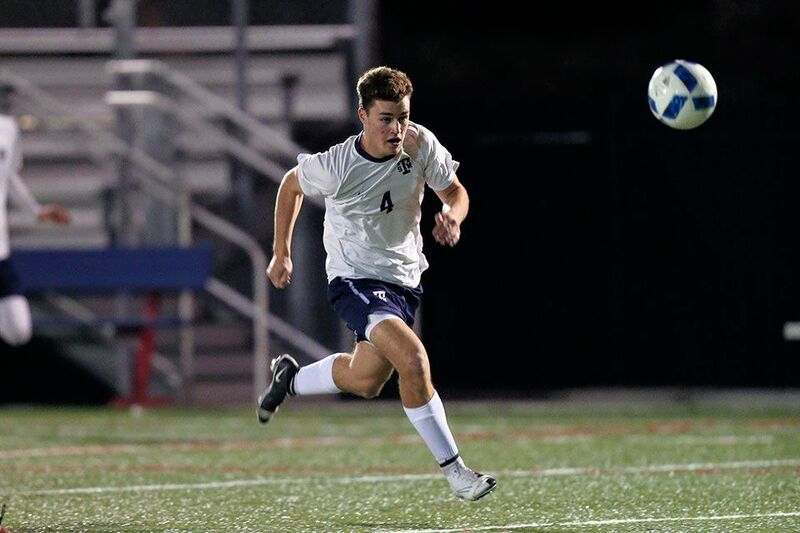 Coach Carey brings with him an impressive resume and deep ties to the local soccer community. 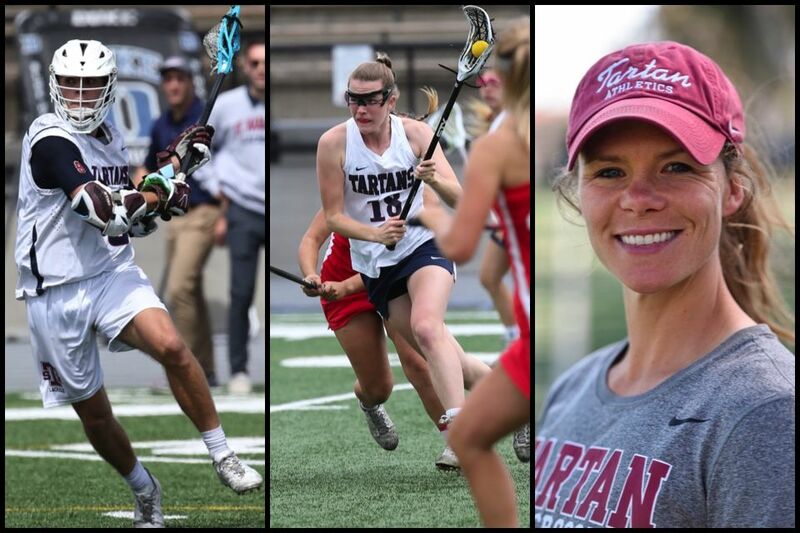 Kevin Groeninger and Cailin Young are named OCVarsity Lacrosse Athletes of the Year, and girls head coach Holly Reilly named Coach of the Year. 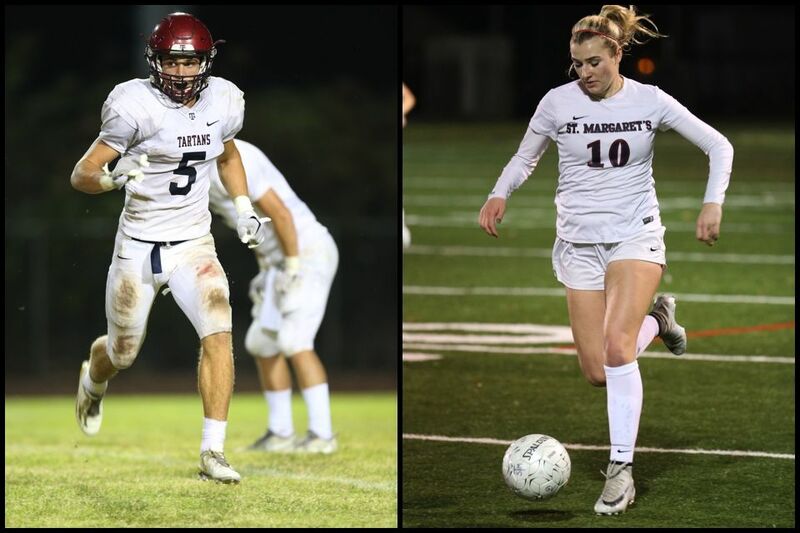 Cragun and McCaffrey were recently honored by the Capistrano Dispatch as St. Margaret's Athletes of the Year. 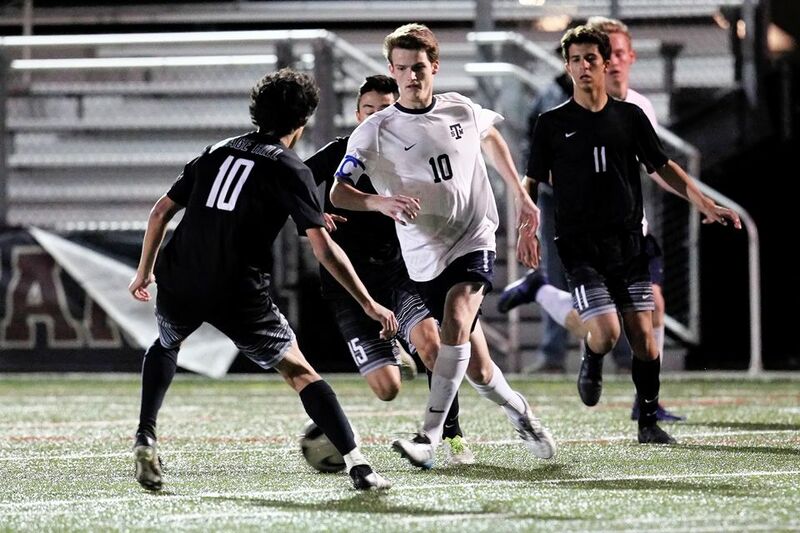 Ethan joins 11 players representing the United States at the U19 Continental Championship in Costa Rica June 6-10. 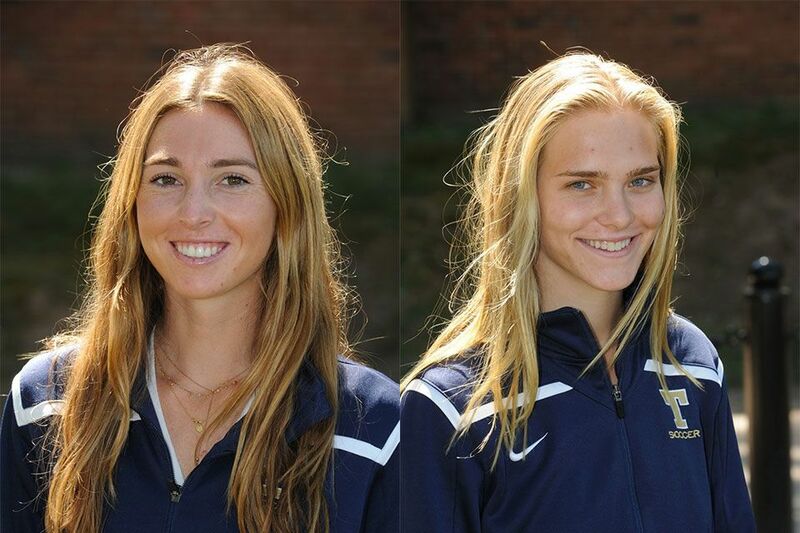 R.J. Egdorf, Ellie Jones and Kaitlin Kao will study and compete at the highest levels next year. 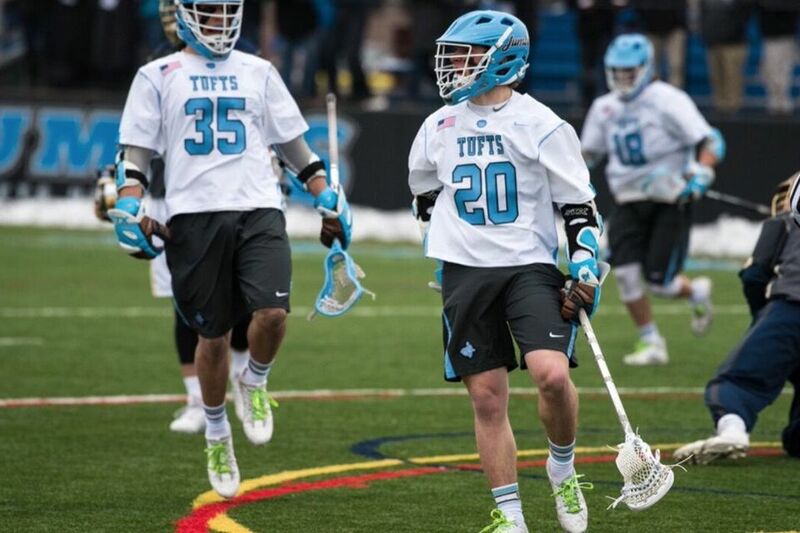 Shanks, a midfielder at Tufts University, led the Jumbos to an NCAA Tournament berth. 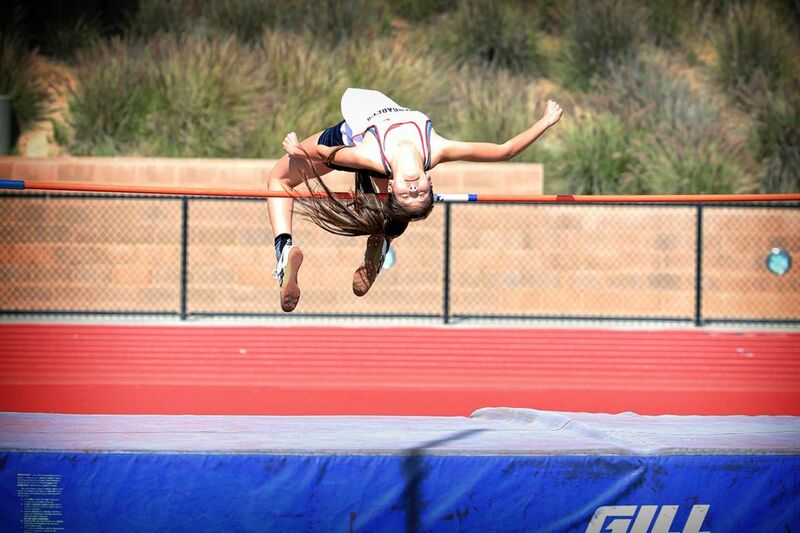 Sun cleared 5 feet 3 inches to win the CIF Southern Section Div. 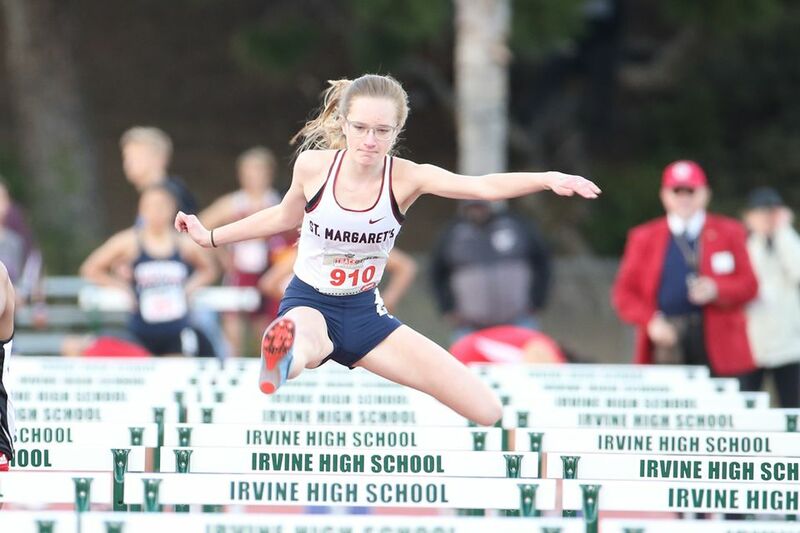 IV High Jump. 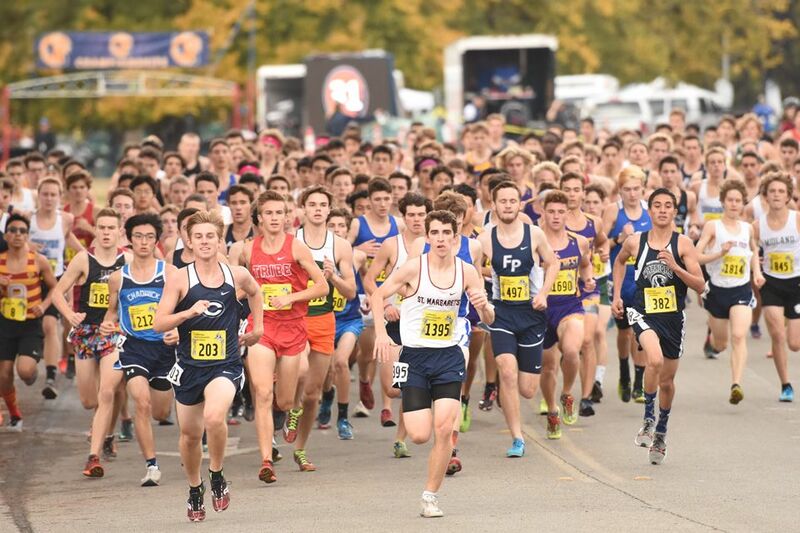 With 42 teams and more than 275 Middle School students competing in the 11 sports offered through three seasons, it certainly was a full schedule of exciting events. 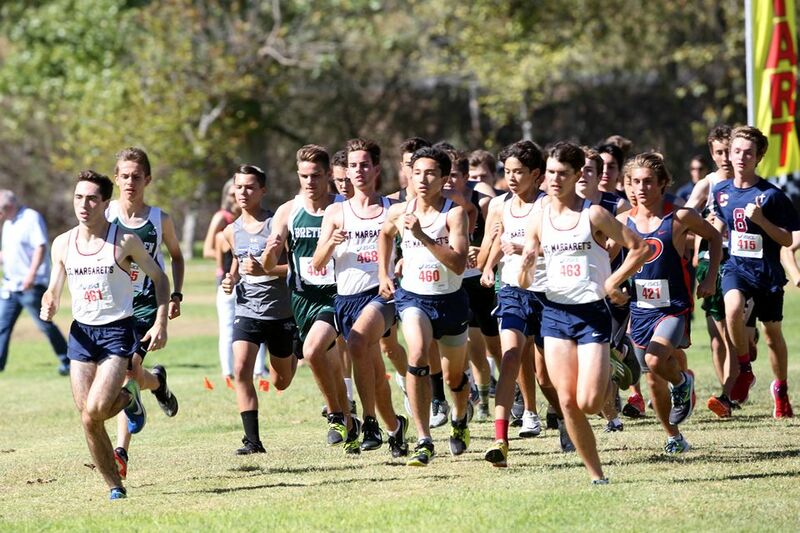 Fifteen Tartans qualified for the CIF Finals, slated for Saturday, May 19 at El Camino College. 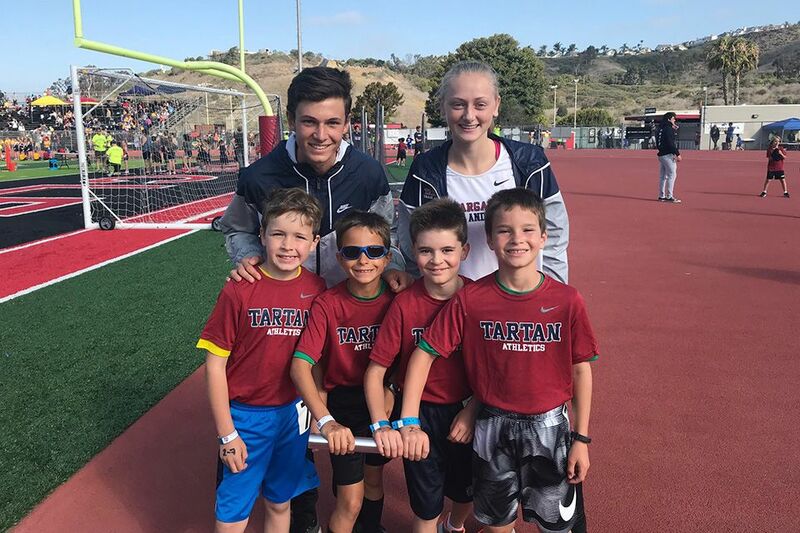 The meet featured more than 120 Lower and Middle School students, who paired with members of the Upper School track and field team on hand to assist the younger Tartans throughout the day. 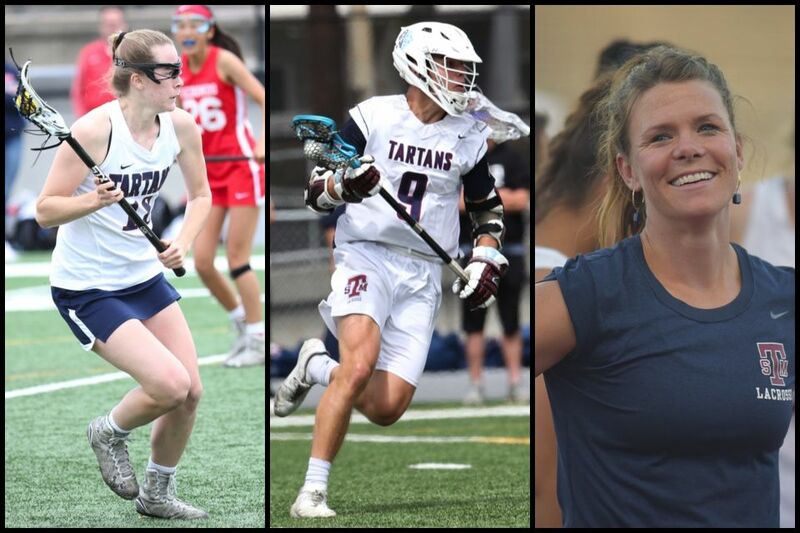 Cailin Young and Kevin Groeninger named Players of the Year, Holly Reilly tabbed as Coach of the Year by U.S. Lacrosse Orange County Chapter. 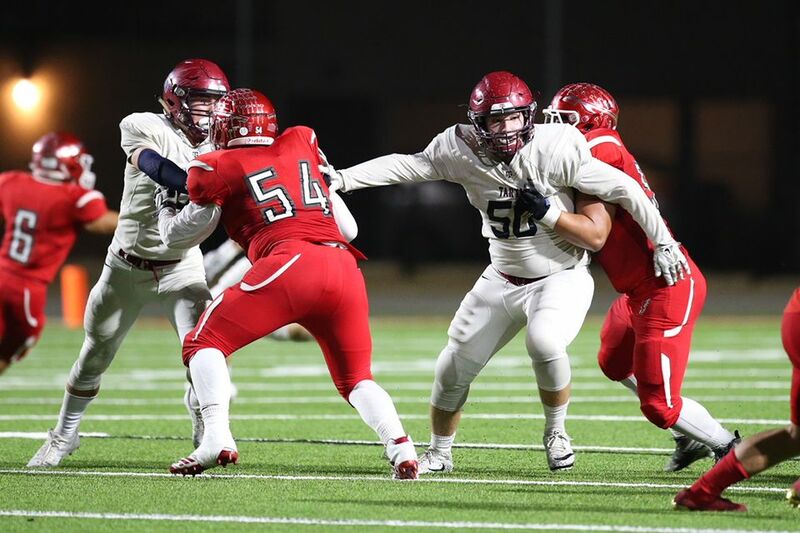 Hill and the Tartans are currently making a deep run through the CIF Division III Playoffs. 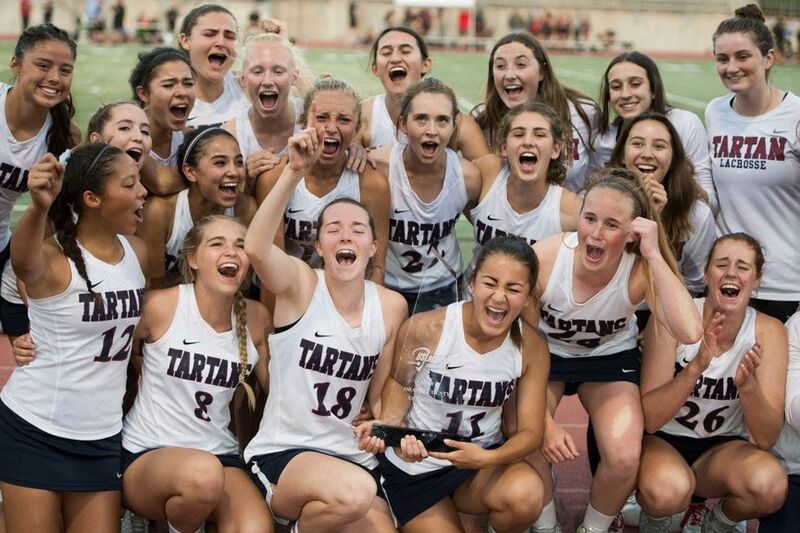 The Tartans defeated Redondo Union 17-6 to win the U. 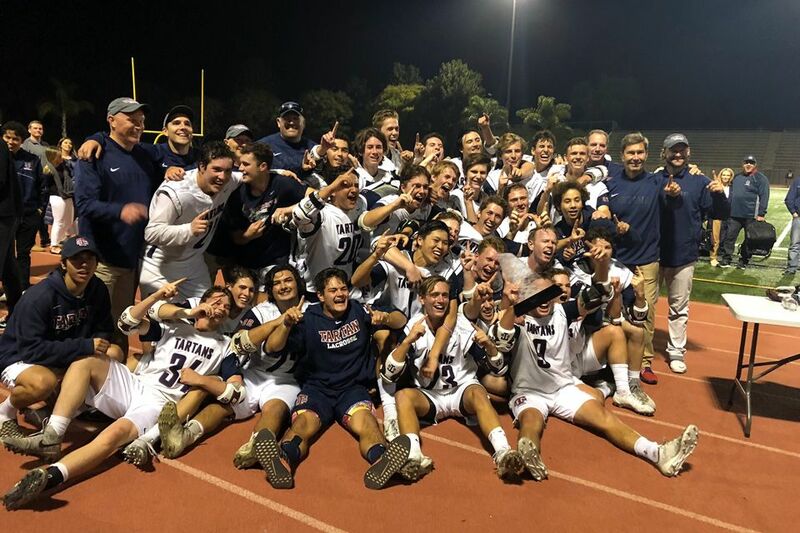 S Lacrosse Southern Section Championship for the first time since 2008. 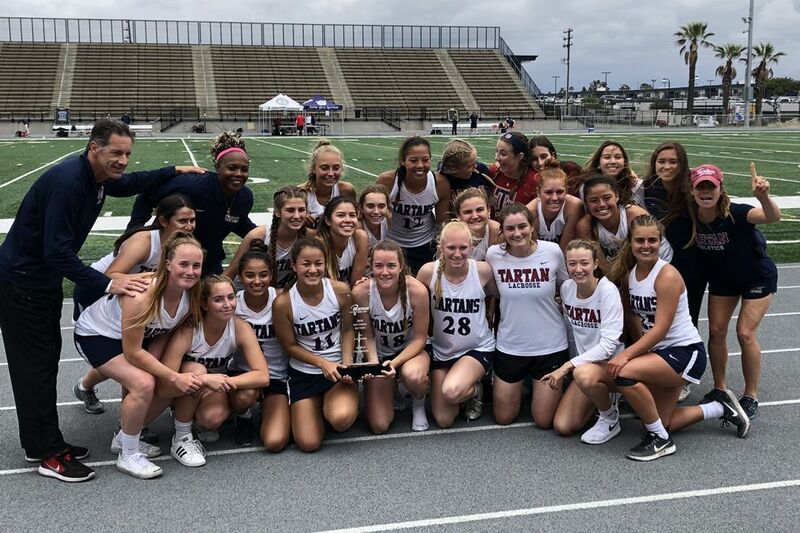 The Tartans had a huge second half to claim the U.S. Lacrosse Orange County Championship with a 14-9 victory over Mater Dei. Trevor Peay had the game-winner in double overtime to seal the Orange County Championship for the Tartans. 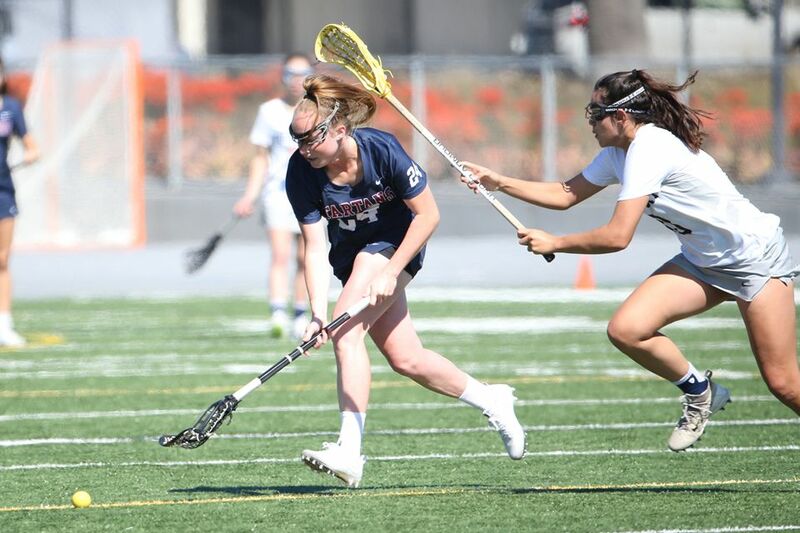 Groeninger had two goals in the Tartans' 8-6 lacrosse semifinal win over Santa Margarita on Saturday. 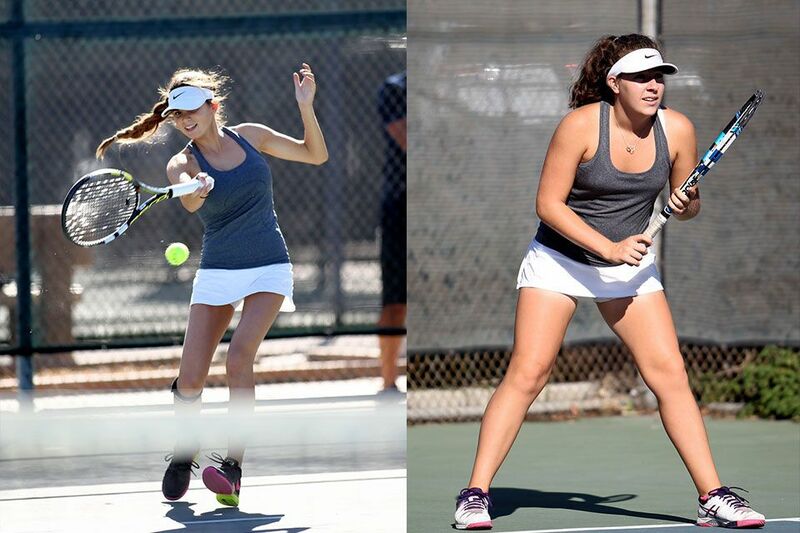 The Tartans bested warm weather and tough opponents for Semifinal victories Saturday afternoon. 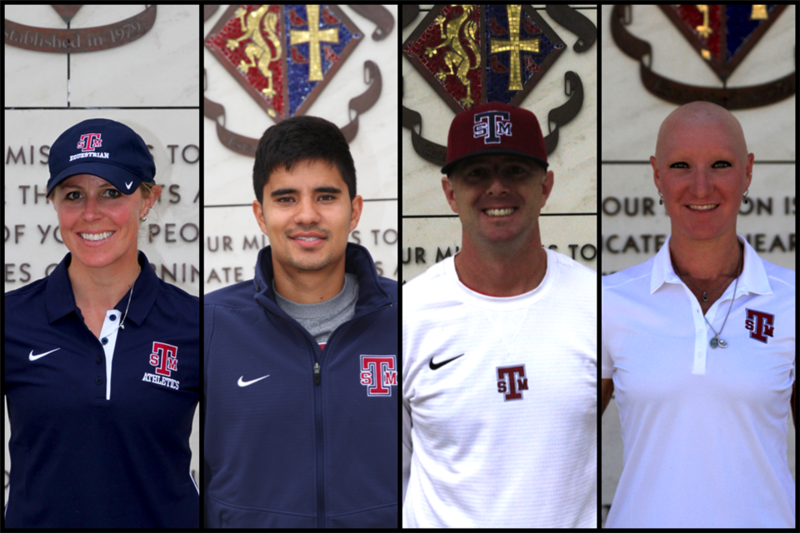 The Tartans are wrapping up the spring season with postseason appearances. 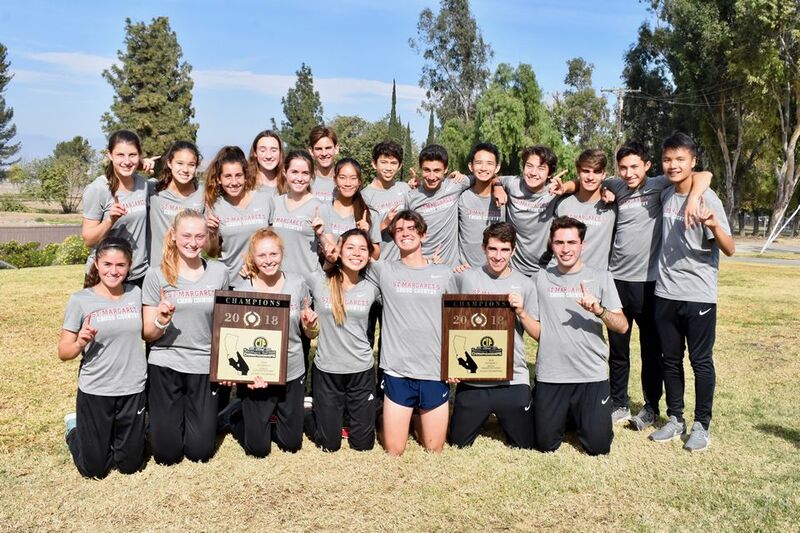 After a regular season of hard-fought battles, the Tartans showed their resiliency in clinching both team championships this past Thursday at the Academy League Finals. 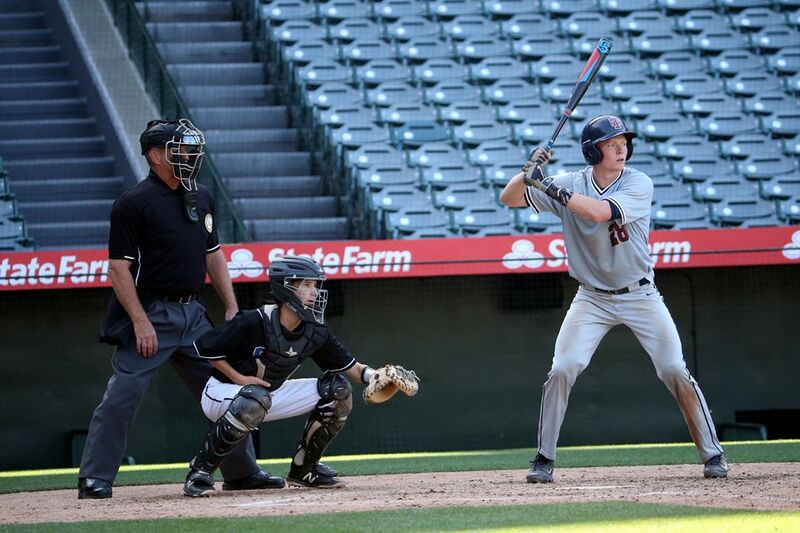 The Tartan baseball team took on Saddleback Valley Christian at Angel Stadium on Wednesday afternoon. 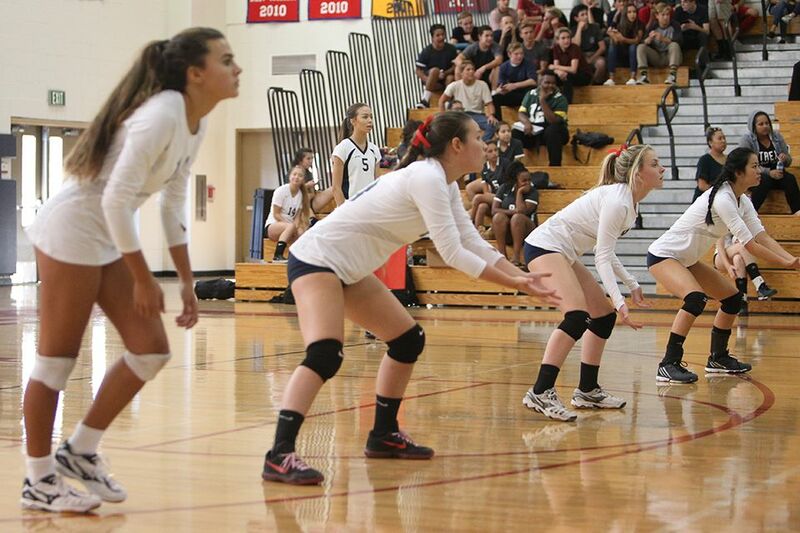 The Tartans finished second against a wide range of opponents. 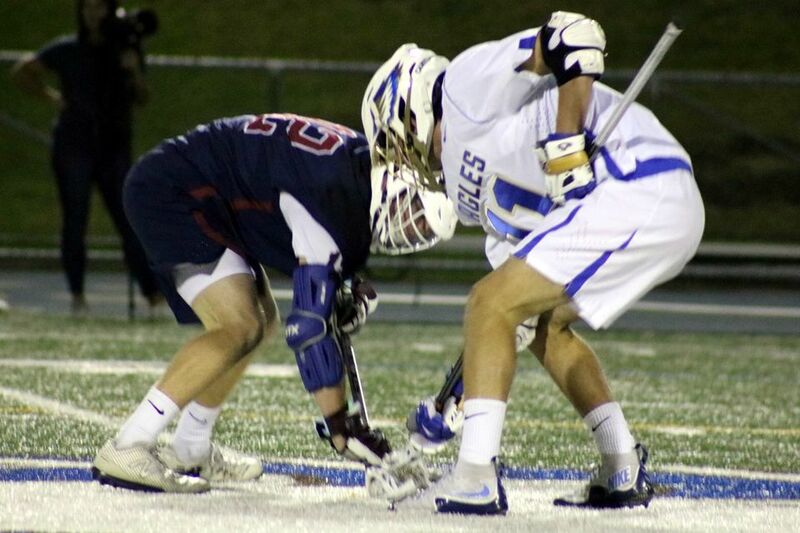 Both the boys and girls lacrosse programs are ranked No. 1, each with only one loss as the regular season winds down. 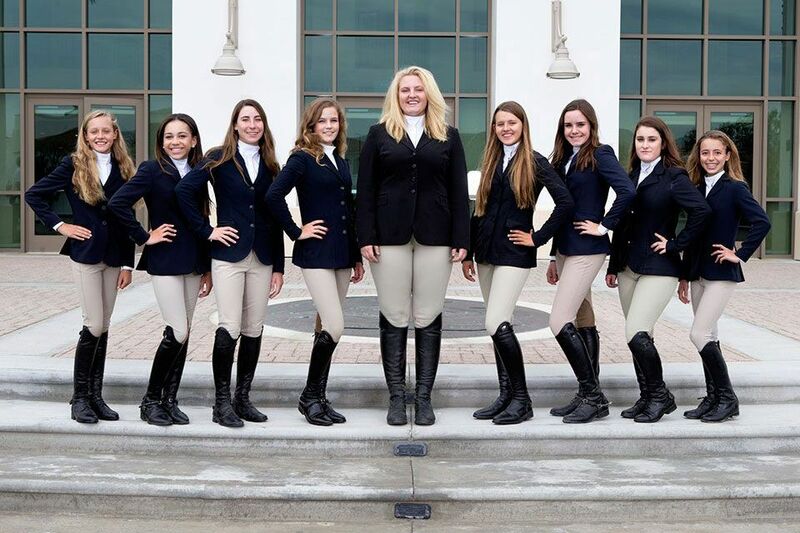 The Tartan riders are Reserve champions in varsity and novice competition. 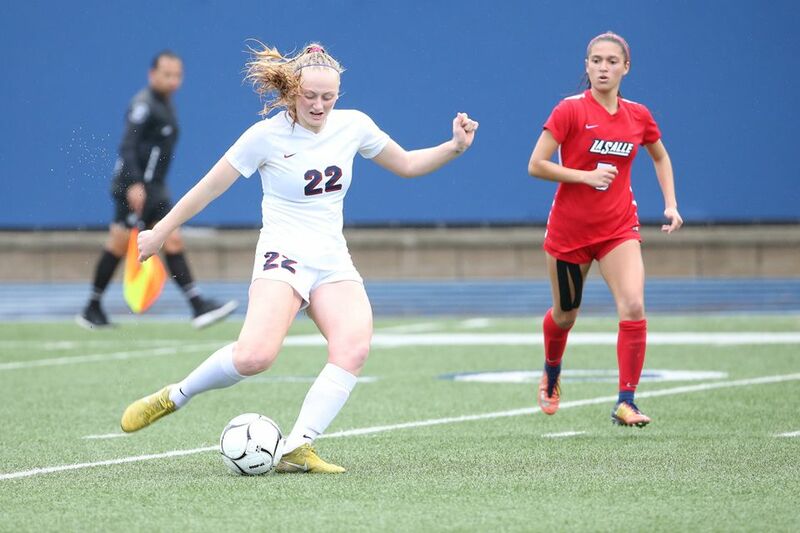 Barkate was named a player of the week for the week ending April 14, voted on by opposing coaches impressed with her outstanding play. 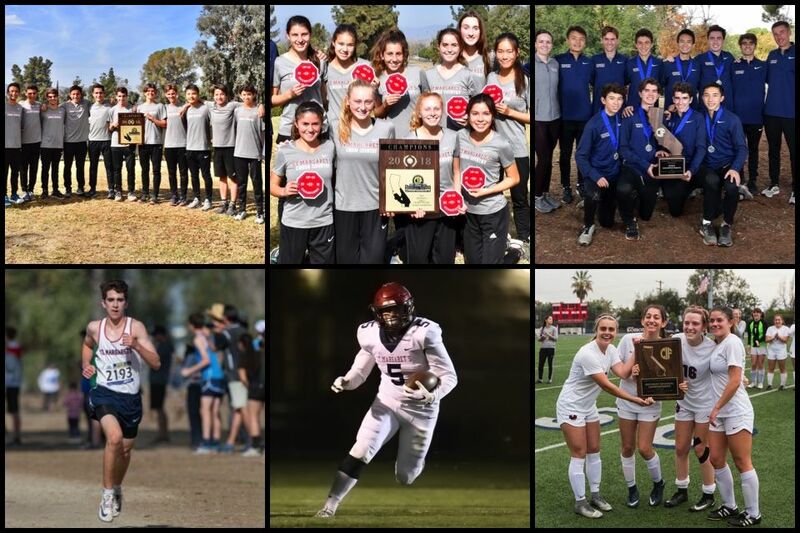 Overall, the Tartan athletics program fielded 13 teams in the top 10 of the annual CIF Southern Section - FORD Academics Awards. Shin led the Tartans in an 11-8 victory over visiting Mt. St. Joseph of Maryland on Saturday, April 8. 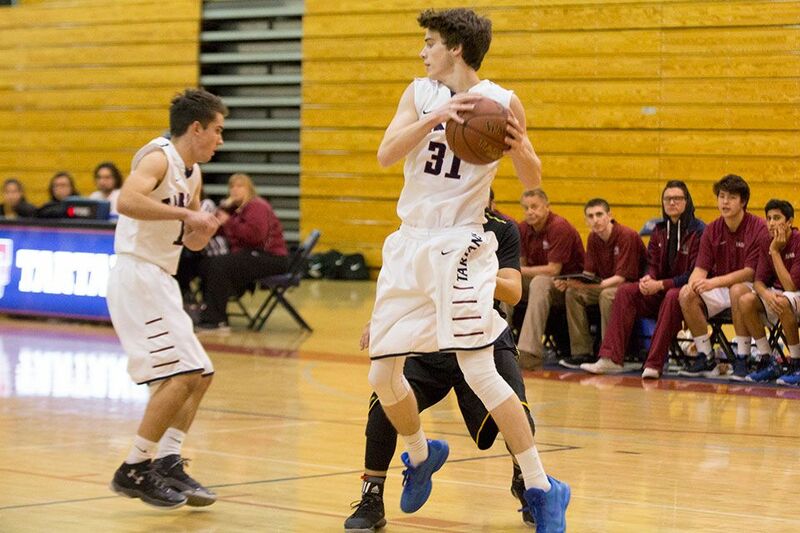 The boys team defeated Crean Lutheran, 74-73, to pick up an Academy League win Wednesday. 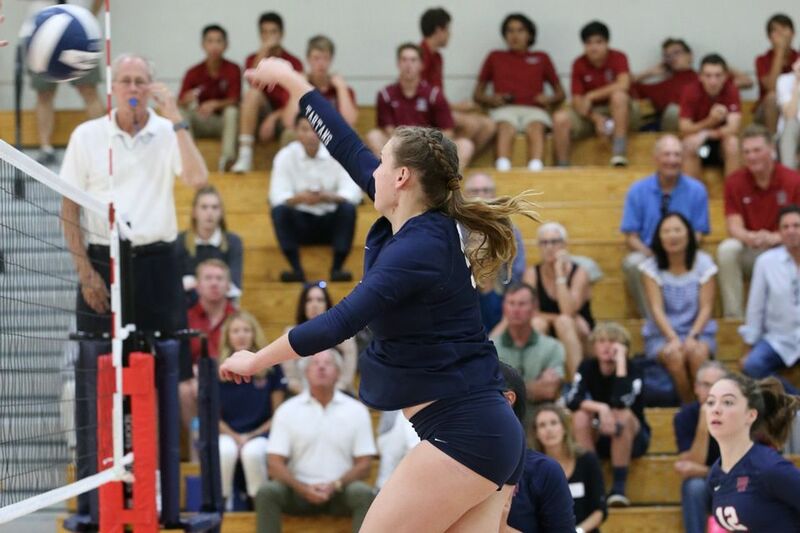 Lauren McCaffrey, Ella Kang, John Leasure earned All-CIF Honors for the 2017-2018 season. 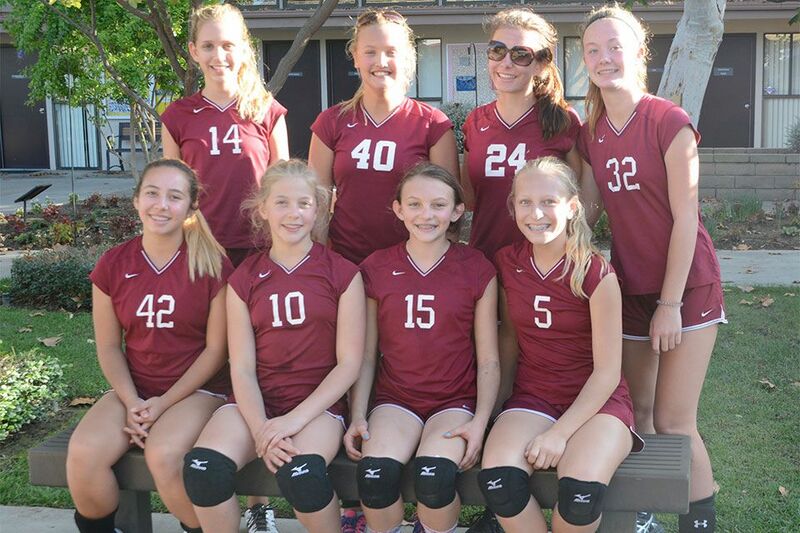 St. Margaret's kicked off the week finishing third out of 32 teams at the Valley Christian Volleyball Tournament. 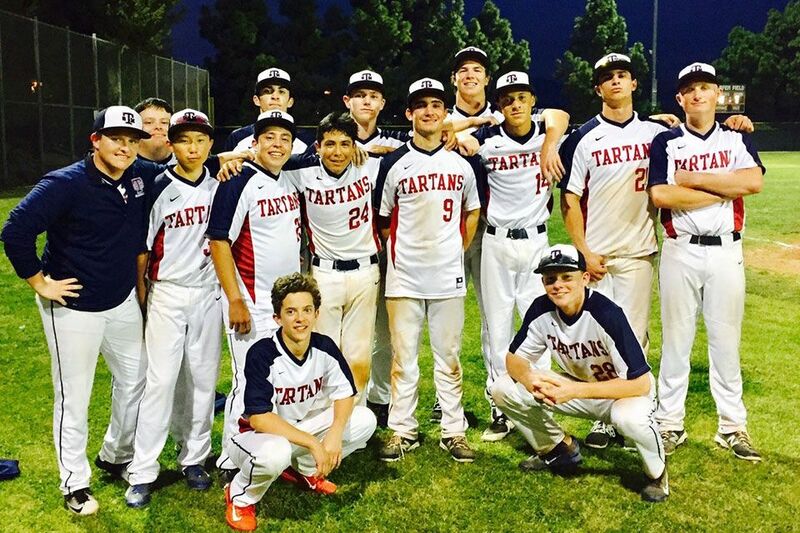 The Tartans clipped the Eagles 12-3 Wednesday night. 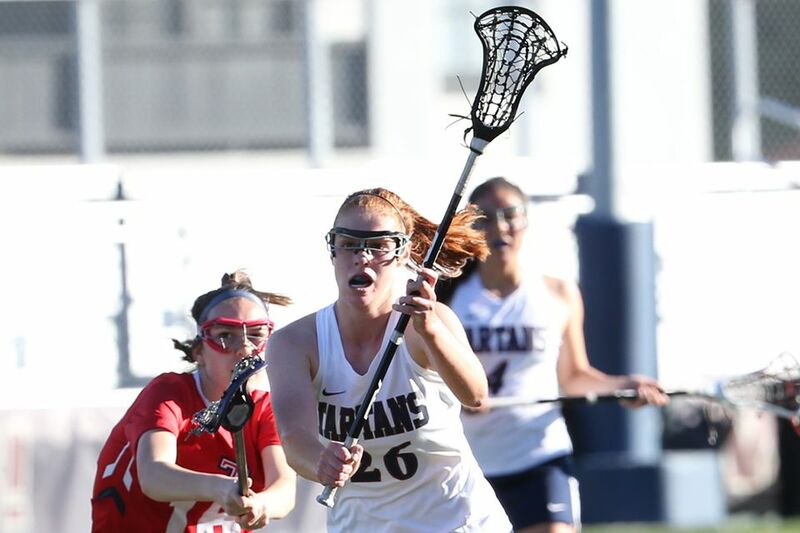 The Tartans defeated the Monarchs 12-10 on the road Tuesday. 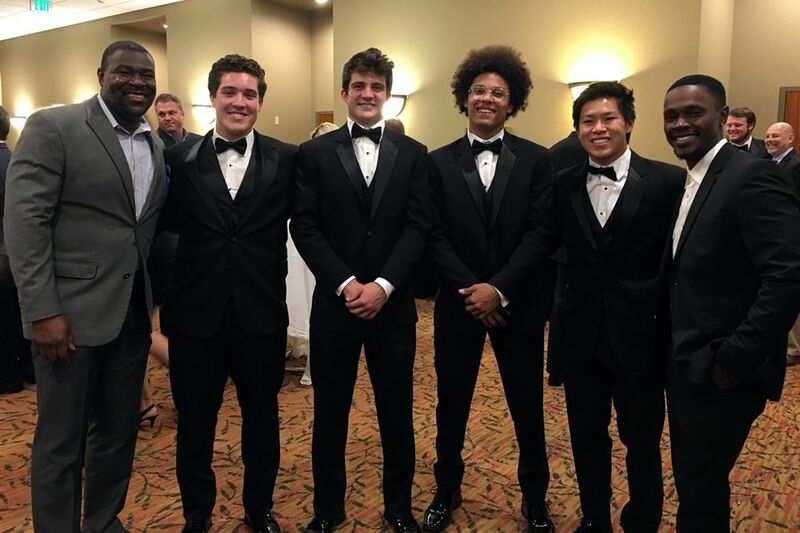 Honorees Michael Chew, Ryan Cragun, Marcus Knight and Max Martinez attended The National Football Foundation's Orange County chapter Annual Scholar-Athletes Awards Dinner on Monday night. 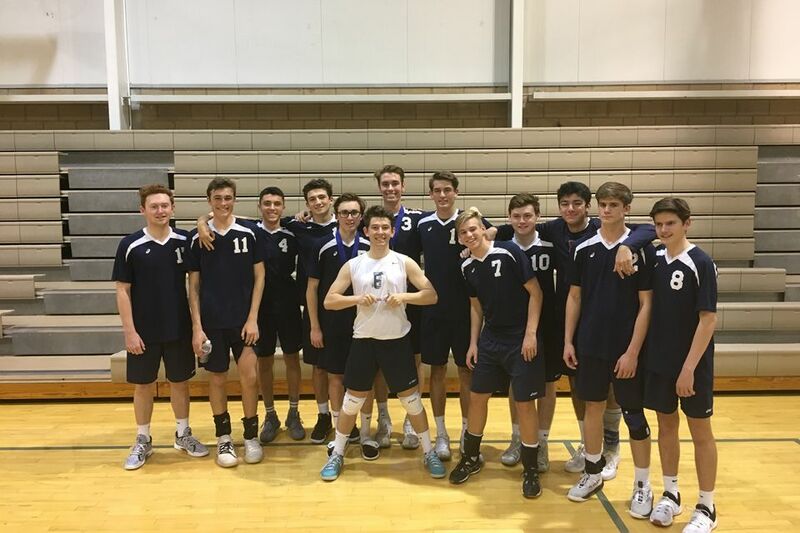 The Tartans defeated Campbell Hall in the tournament final. 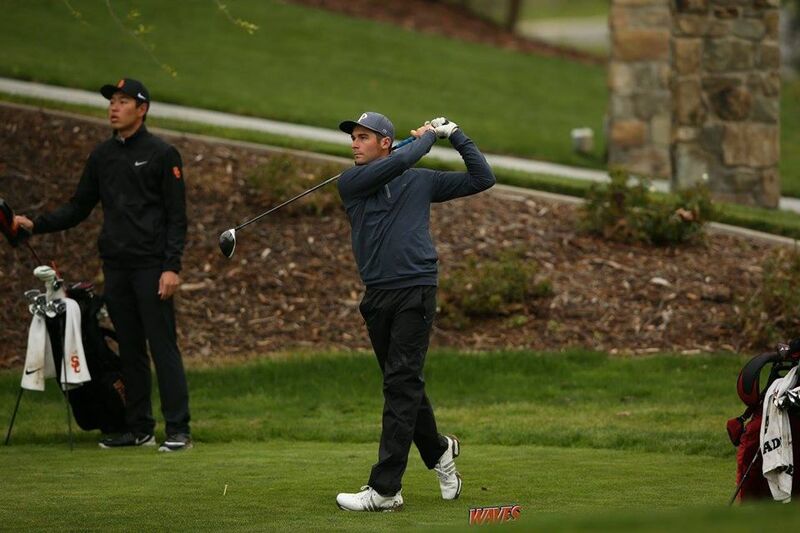 Cecere and the Waves finished second at the invitational on February 27. 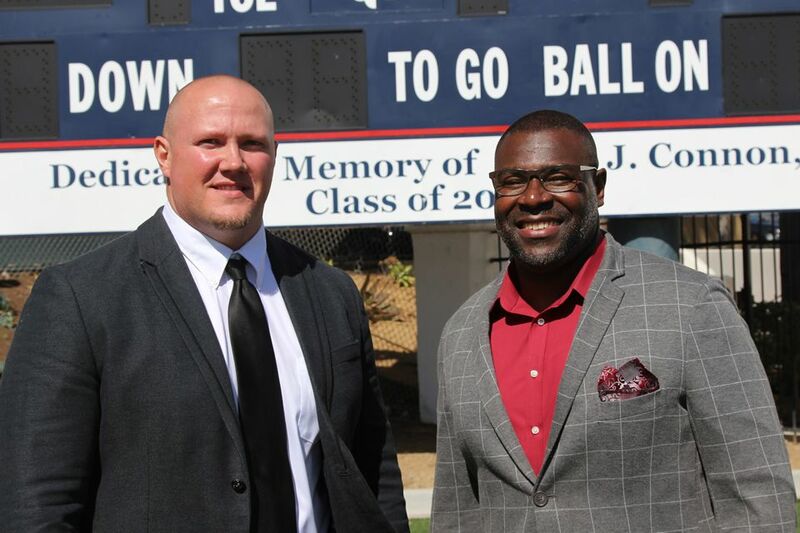 St. Margaret's announces the appointment of Kory Minor as head coach and Nate Longshore as offensive coordinator of the Tartans football program. 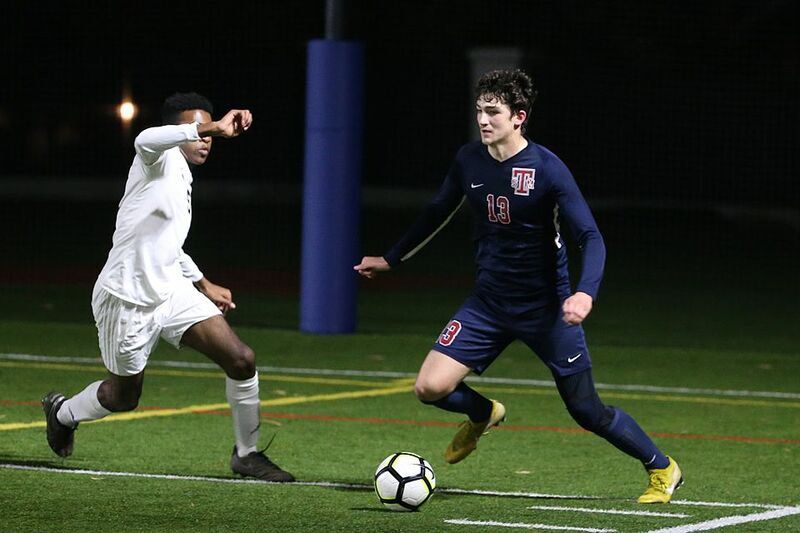 The Tartans upended Montclair High School 3-0 on Friday led by O.C. 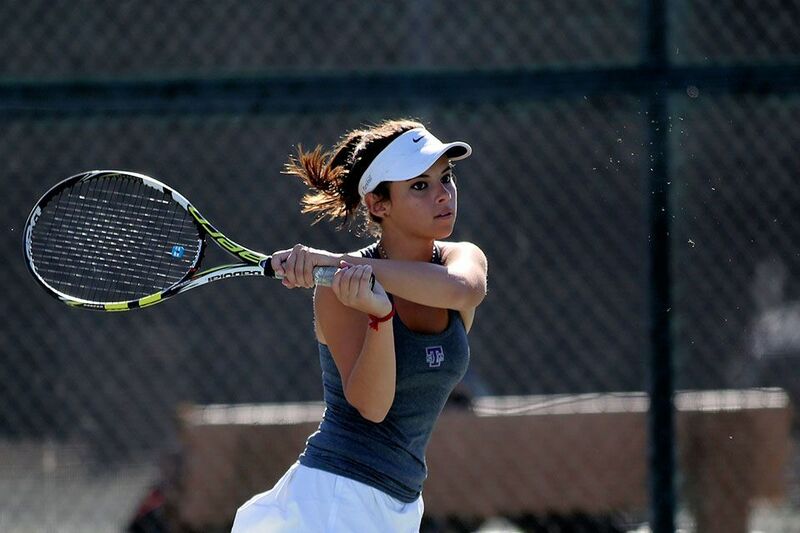 Varsity Athlete of the Week Lauren McCaffrey. 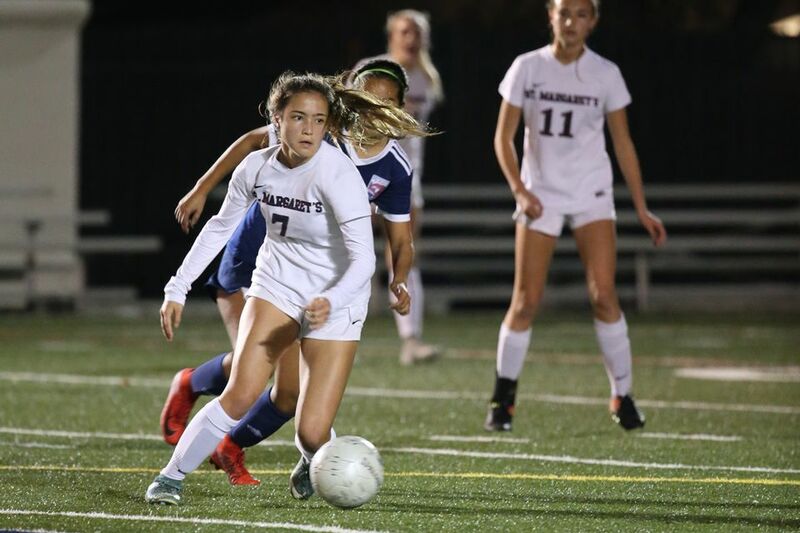 The Tartans blanked Walnut High School 4-0 in the second round. 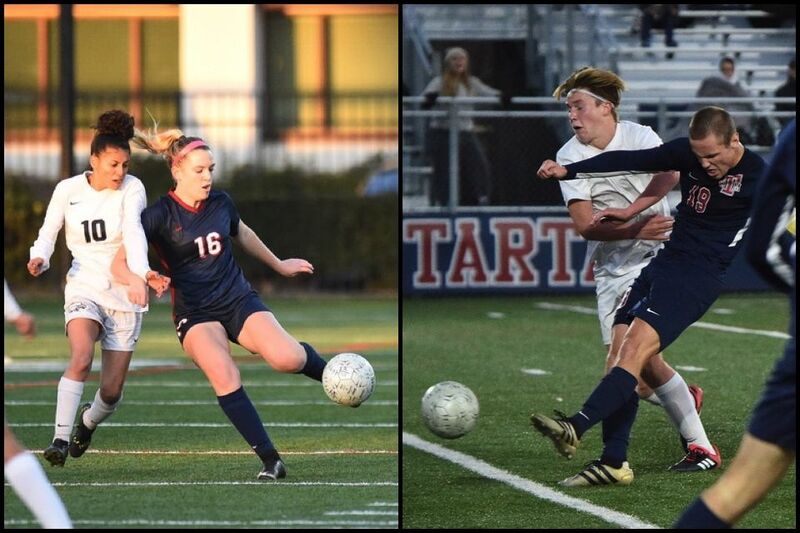 The Tartan boys and girls soccer teams enter the CIF-SS postseason with high expectations. 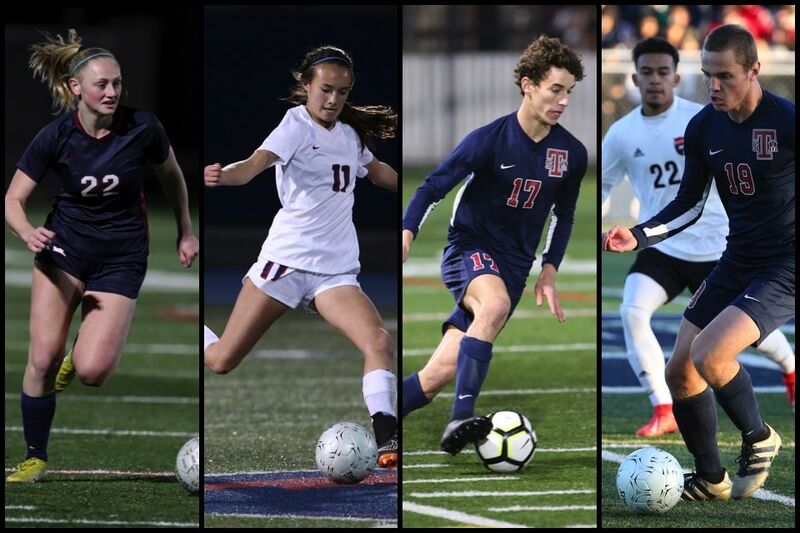 Four student-athletes from the Class of 2018 committed to play intercollegiate athletics during the winter signing day, joining fellow seniors who committed during the fall signing period. 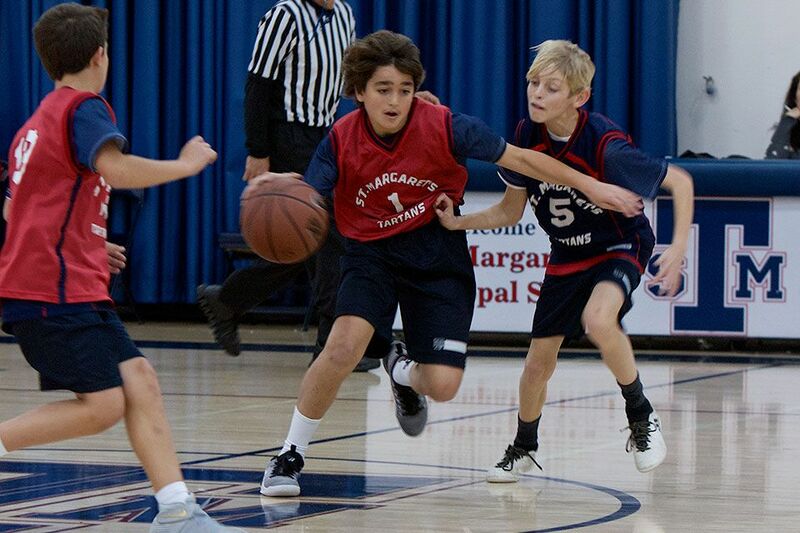 St. Margaret's boys basketball, boys soccer and girls soccer notched wins against Sage Hill School on Friday. 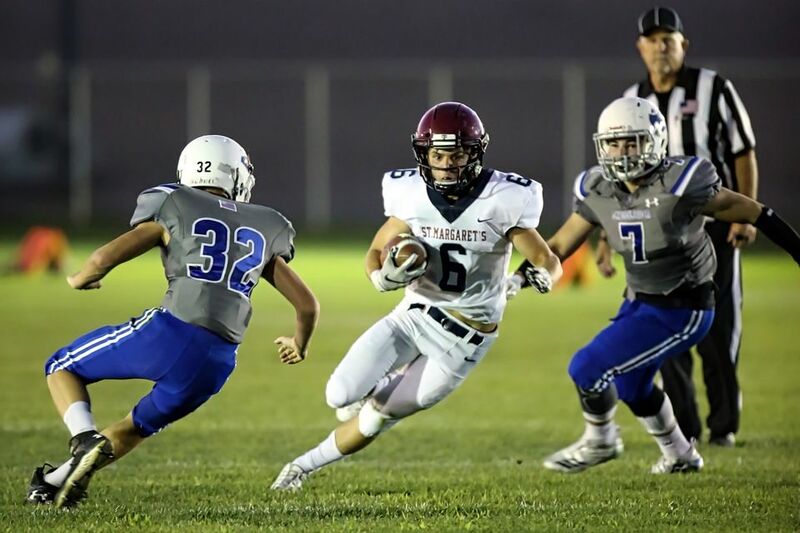 Senior receiver Ryan Cragun was named a Cal-Hi Sports All-State honoree. 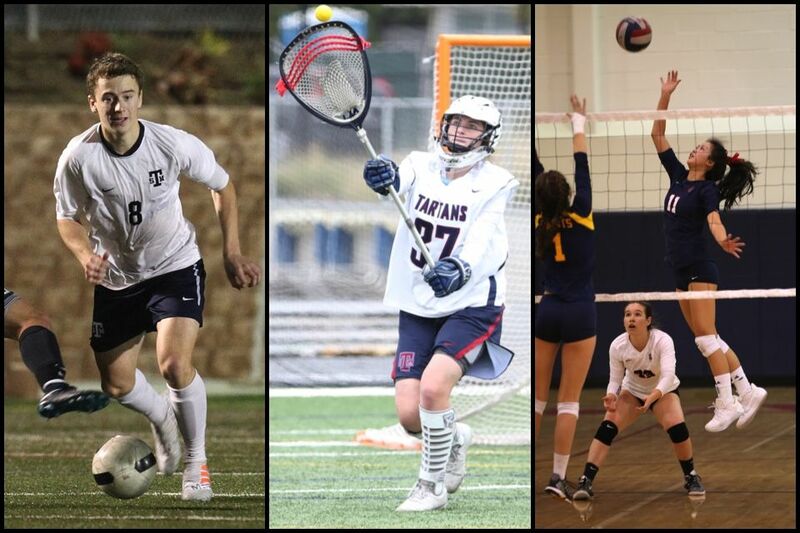 The Tartans are battling through the winter sports season and gearing up for the CIF postseason. 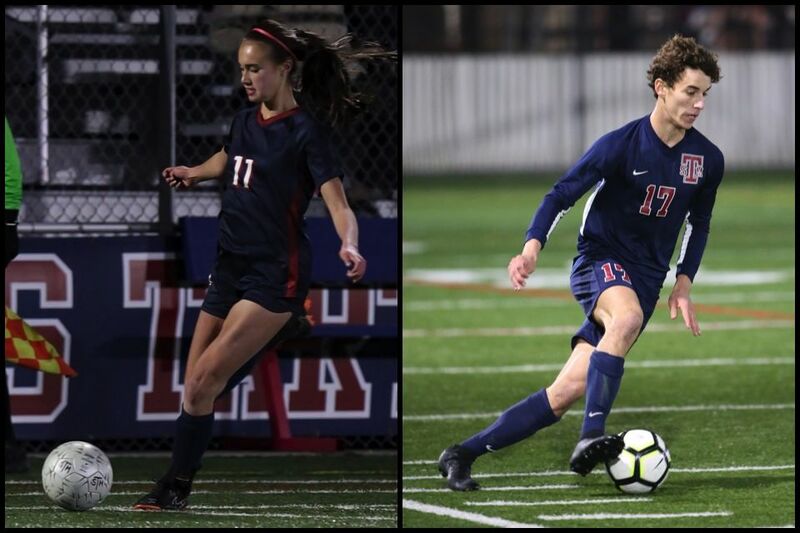 Girls soccer extended their Academy League unbeaten streak as boys basketball moved into first place by beating Sage Hill School on Friday. 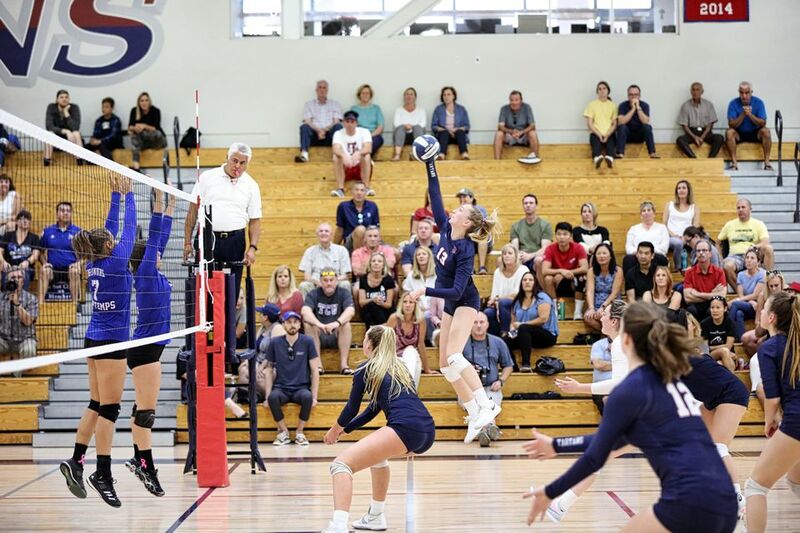 The Tartans' aggressive style of play is spotlighted by The Capistrano Dispatch ahead of a crucial match against Sage Hill. 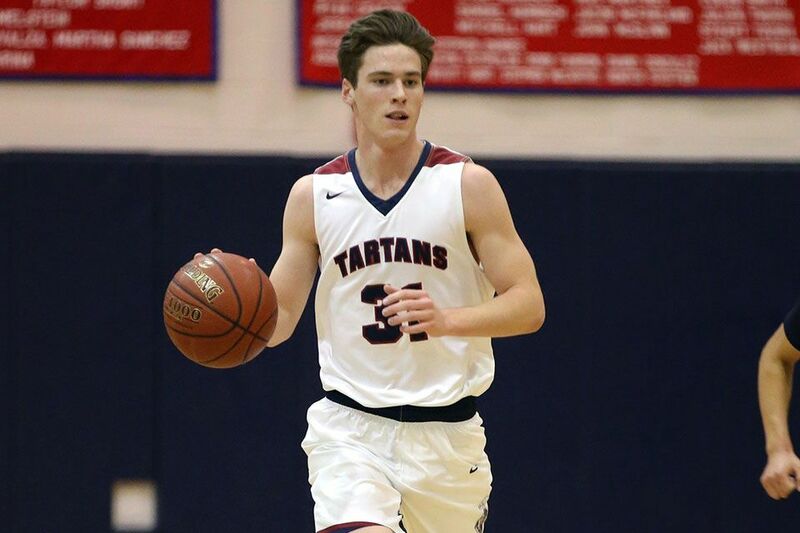 The Tartans began 2018 and the Academy League season with a win over Brethren Christian. 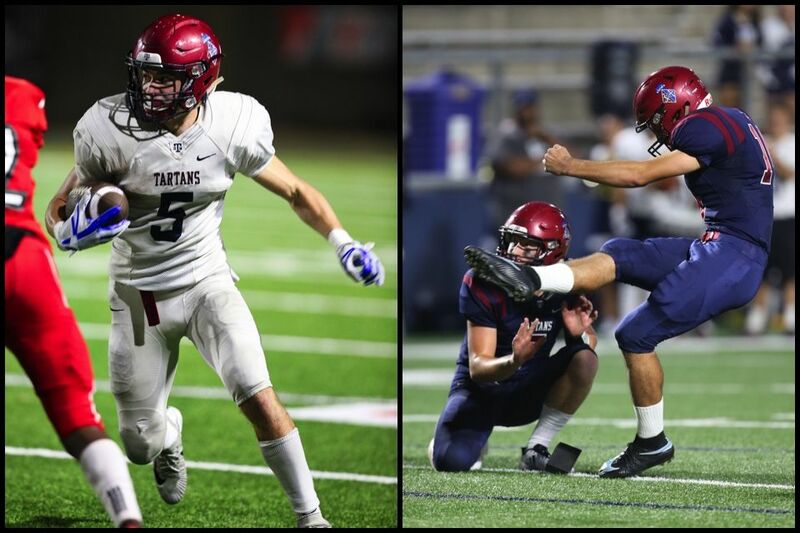 Senior Ryan Cragun and junior Chris Vartanian have been named to the Orange County Register's All-County teams in football. The week-long tournament marks the second year for the annual classic. 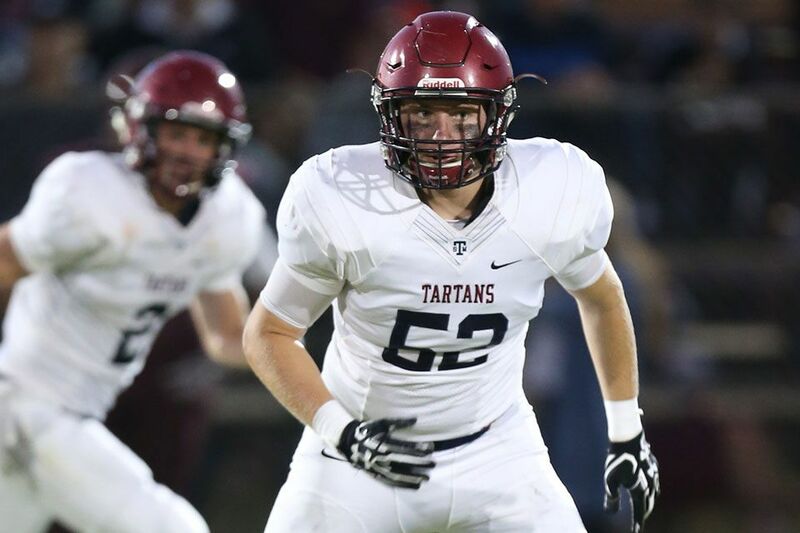 The Tartans remain ranked No. 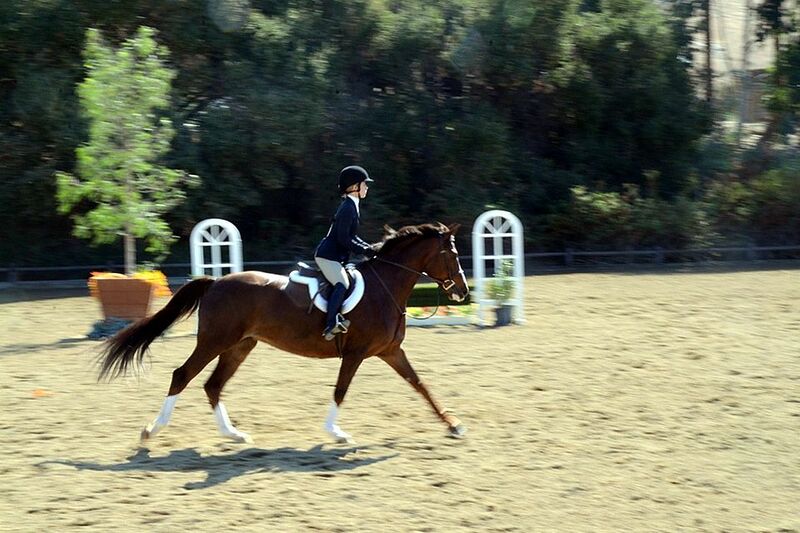 2 after three weekends of competition. 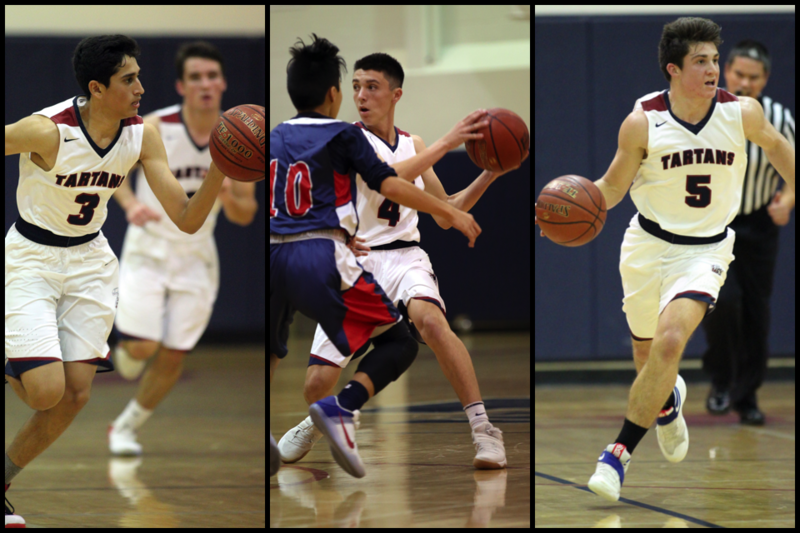 The Tartans got off on the right foot to start the 2017-2018 season. Ryan Cragun (No. 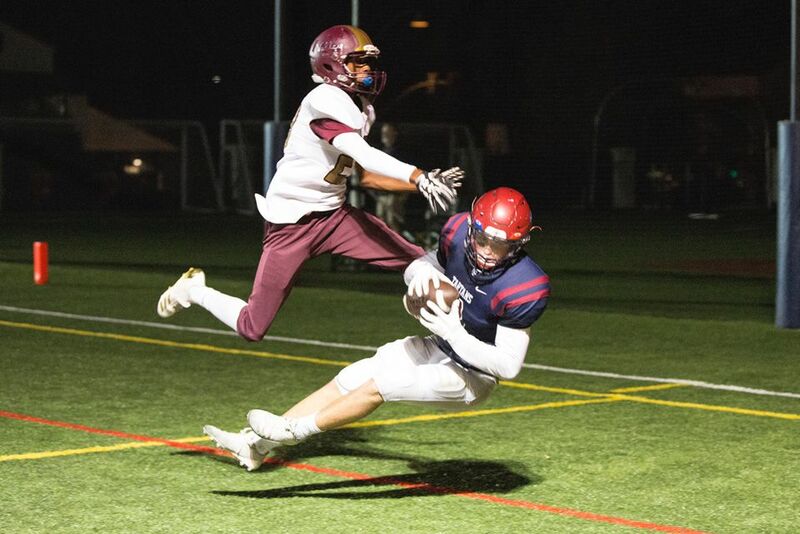 1 receiving), James Mott (No. 9 passing) and Marcus Knight (No. 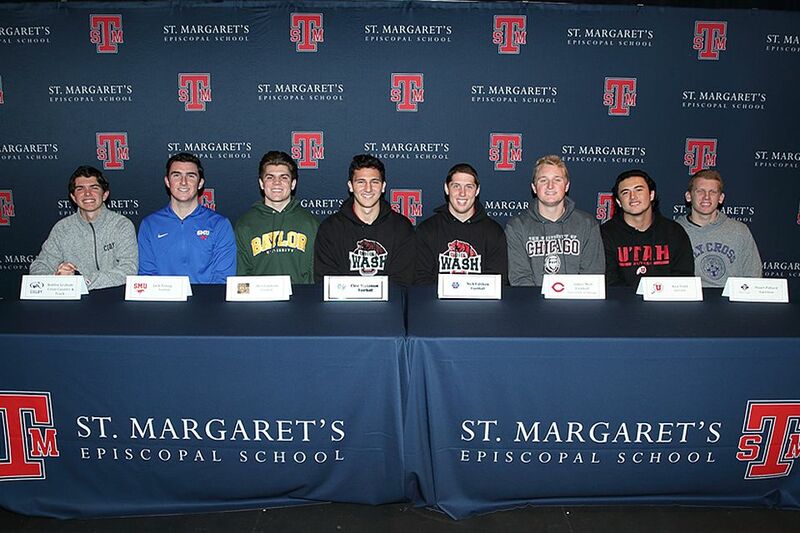 17 rushing) all made headlines this year for St. Margaret's. 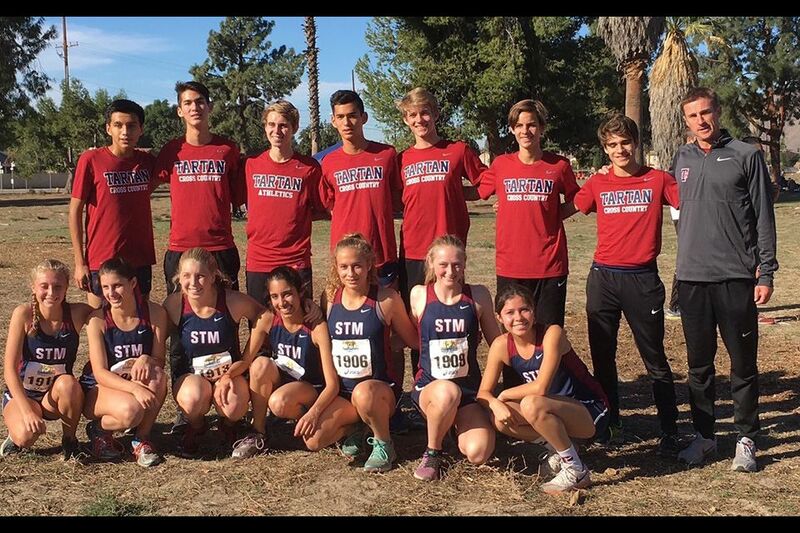 Both cross country teams earned top-10 state finishes as the season ends on a high note for the Tartans. 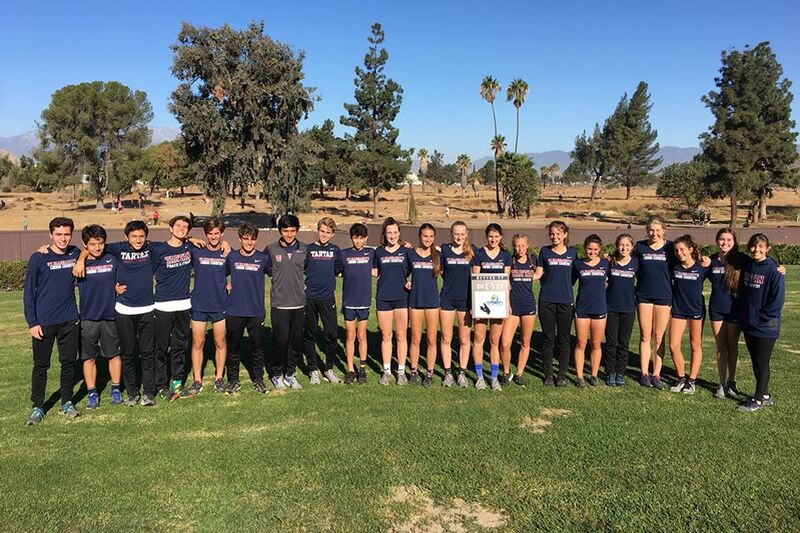 Boys and girls squads combine for one of the best finishes in school history. 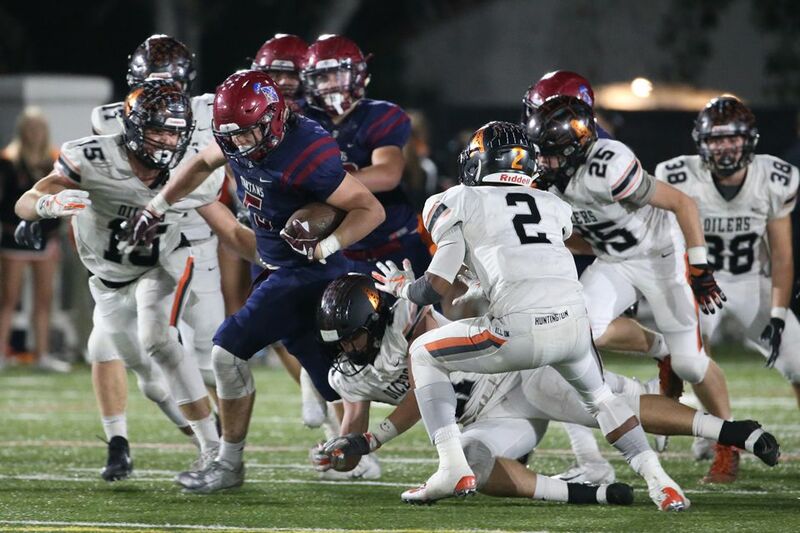 The Tartan defense and special teams rose to the occasion in the win over Fullerton High School. 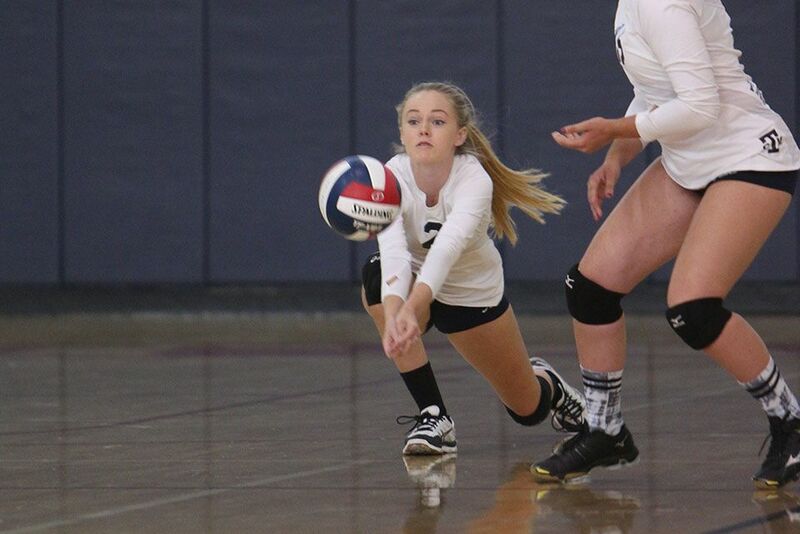 Middle School athletes showed their chops during a competitive fall schedule. 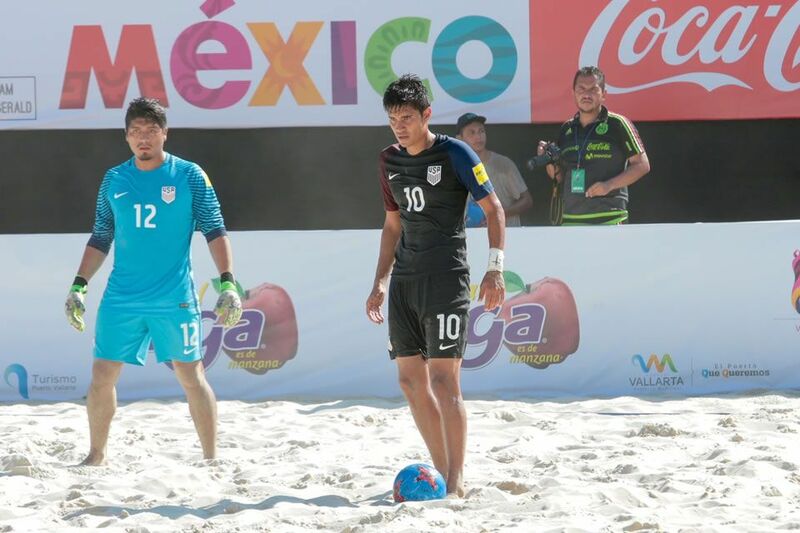 Reyes suited up for Team USA at the Visit Puerto Vallarta Cup in October. 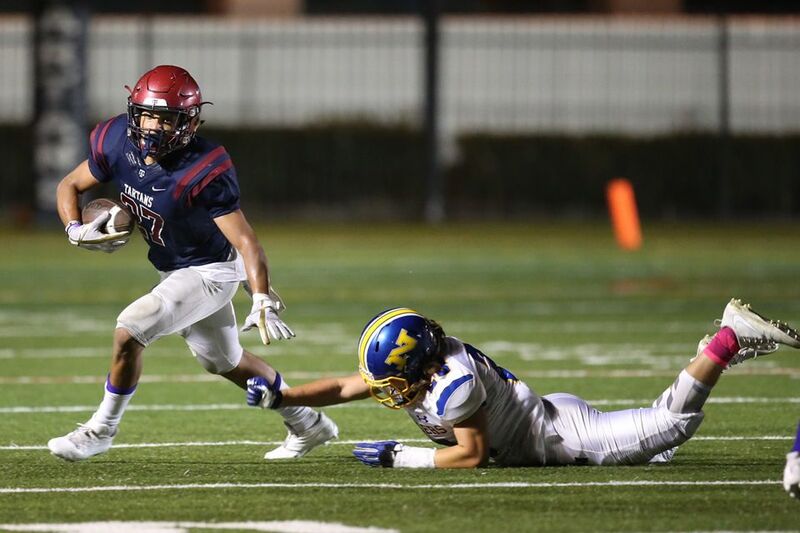 The Tartan defense kept Ayala in check all evening as St. Margaret's advances on a 31-17 win. 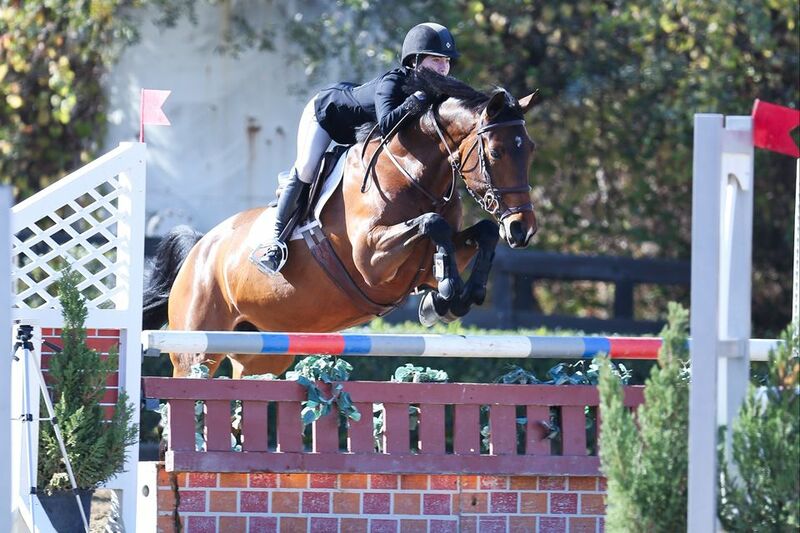 The Tartan riders have equated themselves well over two weekends of OCIEL events. 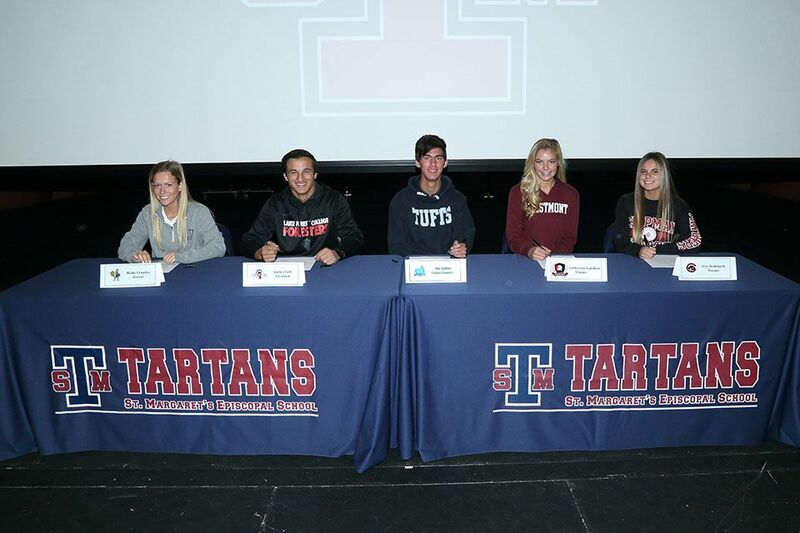 Five student-athletes from the Class of 2018 have committed to play intercollegiate athletics next year. 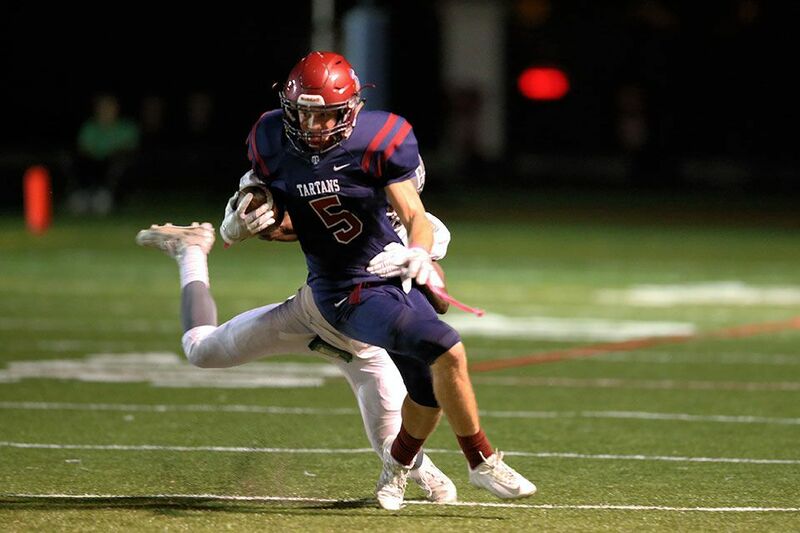 The Tartans rattled off 50 unanswered points in the Homecoming victory Friday night. 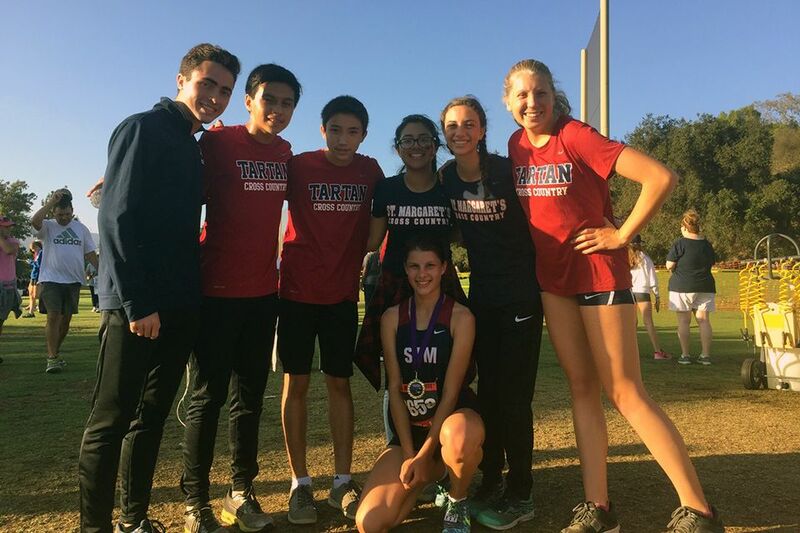 Led by the impressive results of junior Andi Carnell and the girls varsity team, the Tartans dominated at the Academy League Championships. 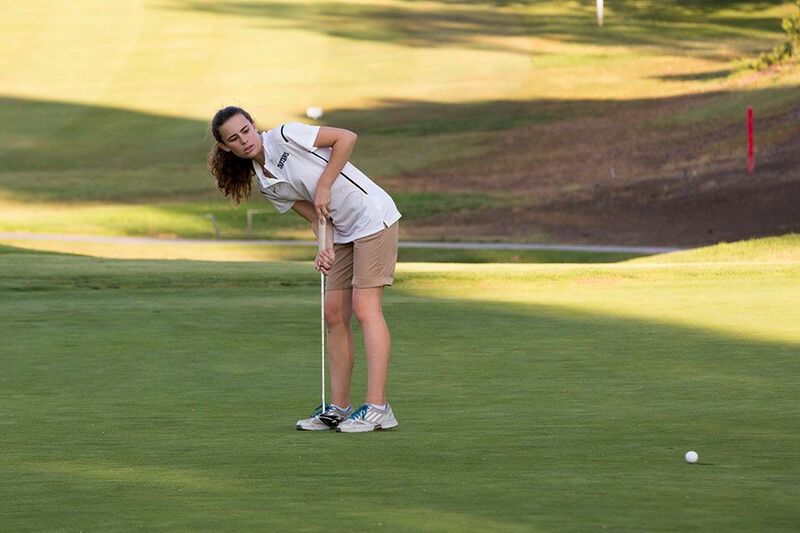 Tartan golfers enjoyed a season of firsts on the links. 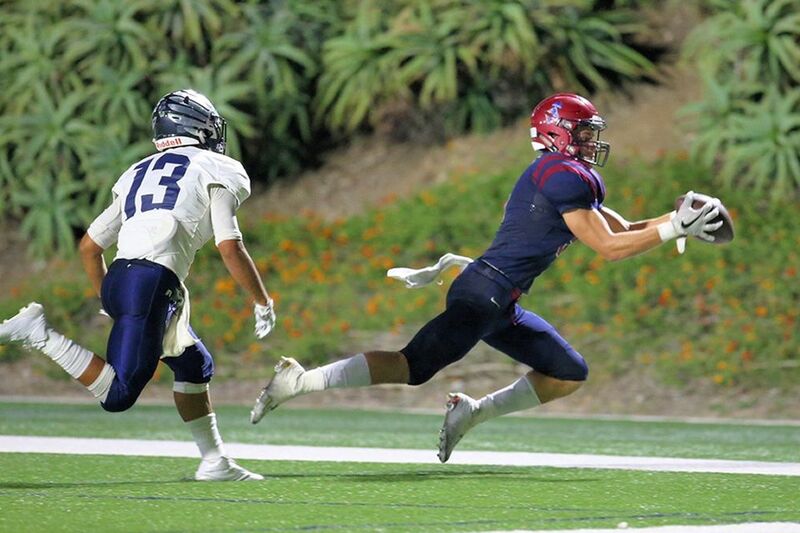 St. Margaret's was unstoppable, racking up 436 total yards in the win at Irvine High Friday night. The Tartans out-surfed the El Toro Chargers this past Sunday at 9th Street Beach in Huntington Beach. 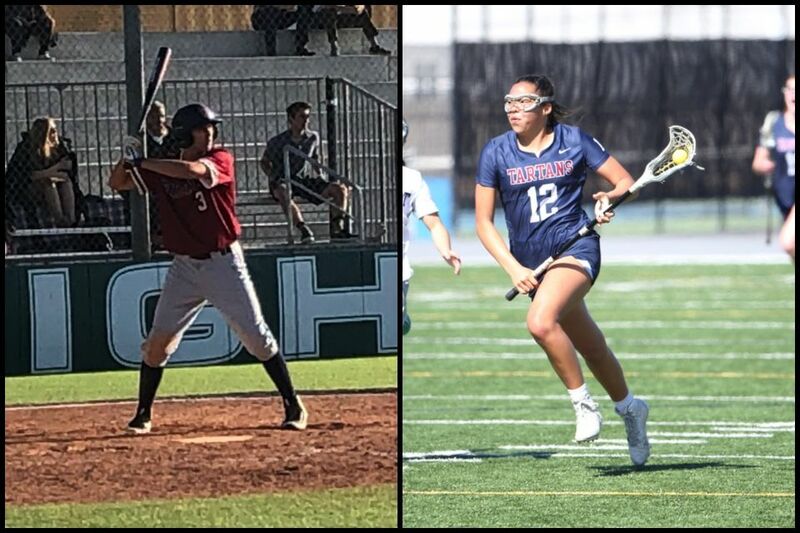 Senior Matt Soto, junior Andi Carnell and sophomore Charlotte Jones are listed as top athletes in California. 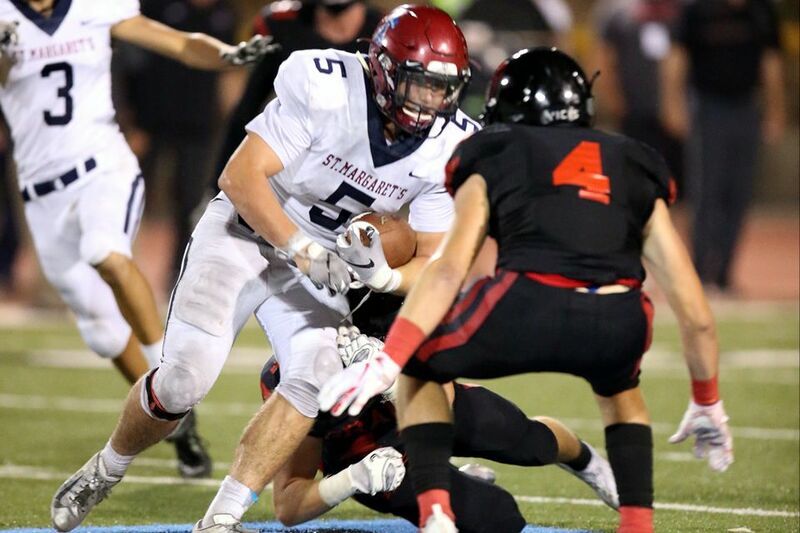 St. Margaret's put up 347 rushing yards in a 61-14 win over Nordhoff High School Friday night. 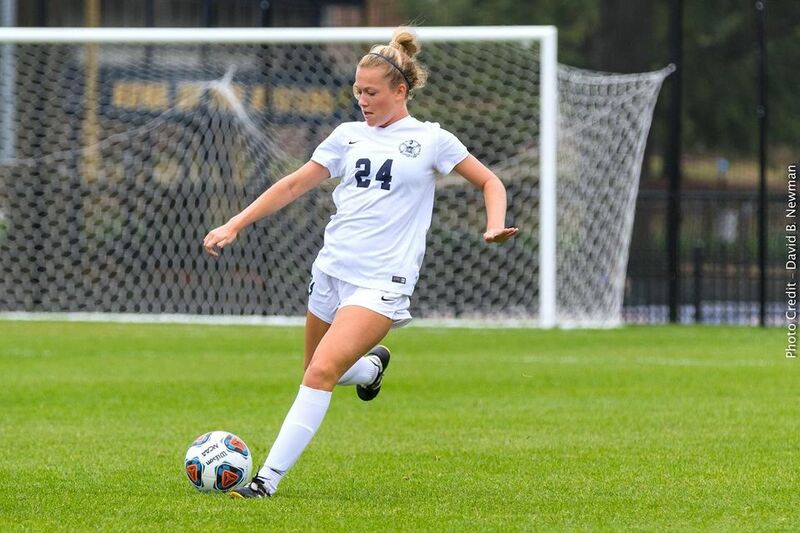 Crawley notched the assist on the double-overtime game-winning goal in last Tuesday’s Trinity College win over Wesleyan. 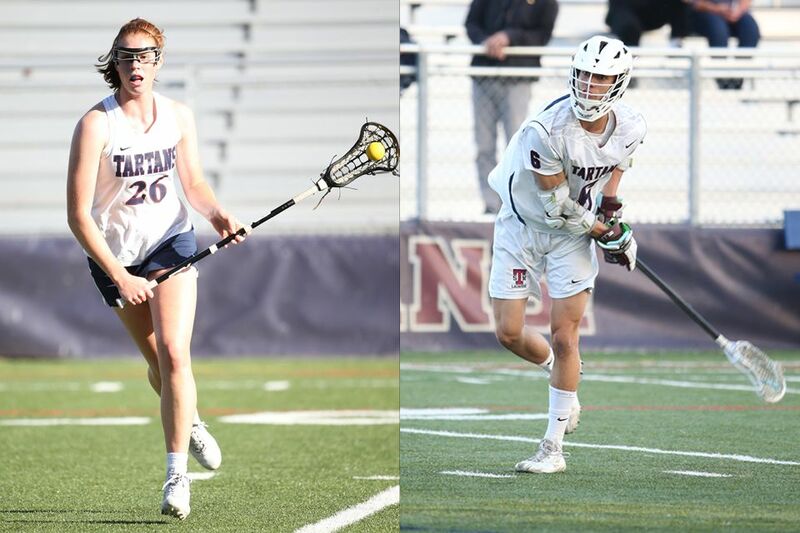 The Tartans defeated Oxford Academy 10-8 on October 3. 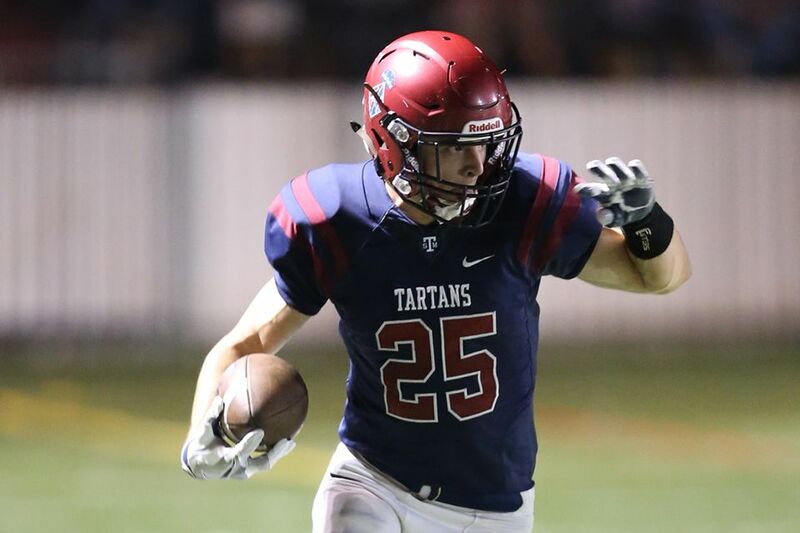 The Tartans were unstoppable behind Ryan Cragun's five touchdown performance against the St. Pius X- St. Matthias Warriors on Friday night. 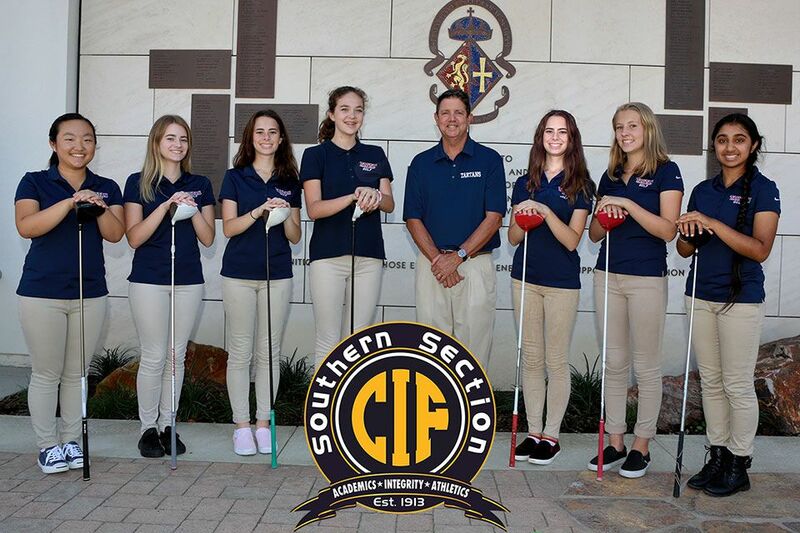 The Tartans’ girls golf team defeated Fairmont Prep behind match leader Marissa Mitchell. 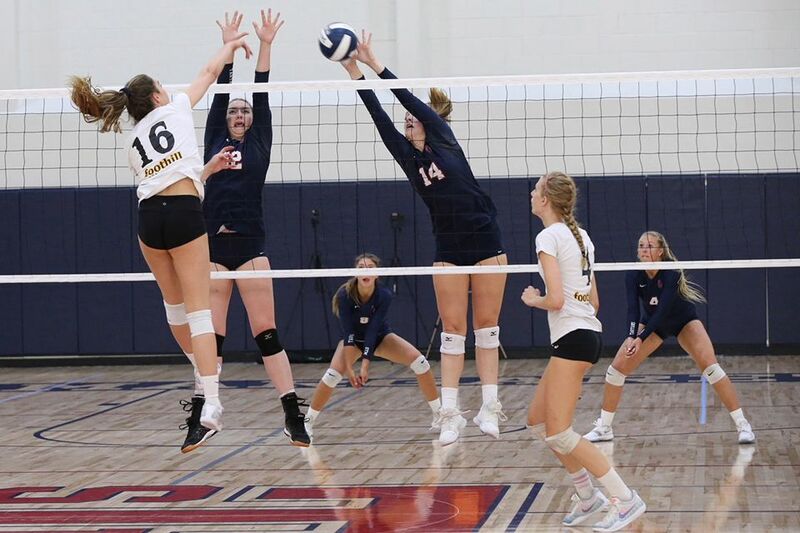 Girls volleyball will participate in the Nike Tournament of Champions this weekend. 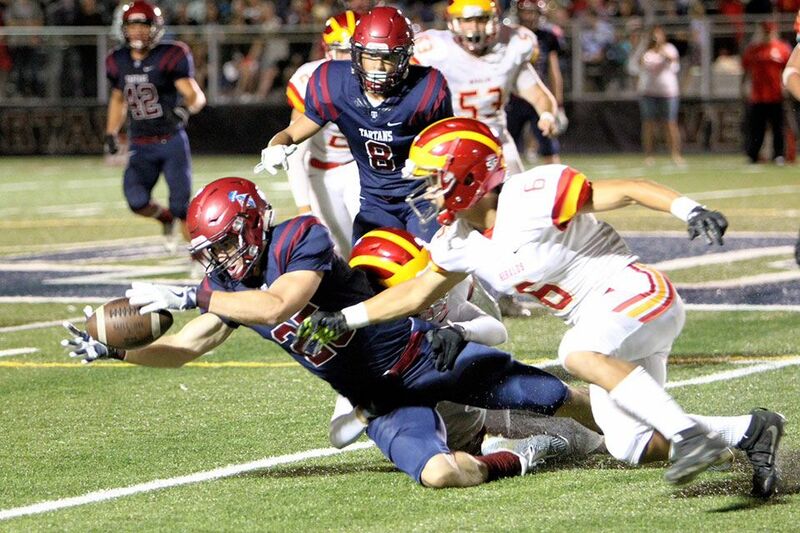 The Tartans put up a stellar defensive effort in Friday's road win. 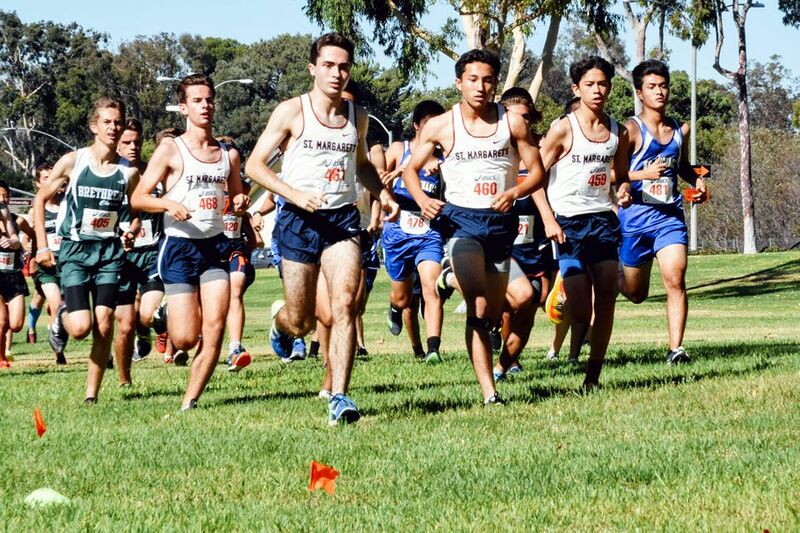 The Tartans opened the Academy League cross country season with impressive results on Tuesday. 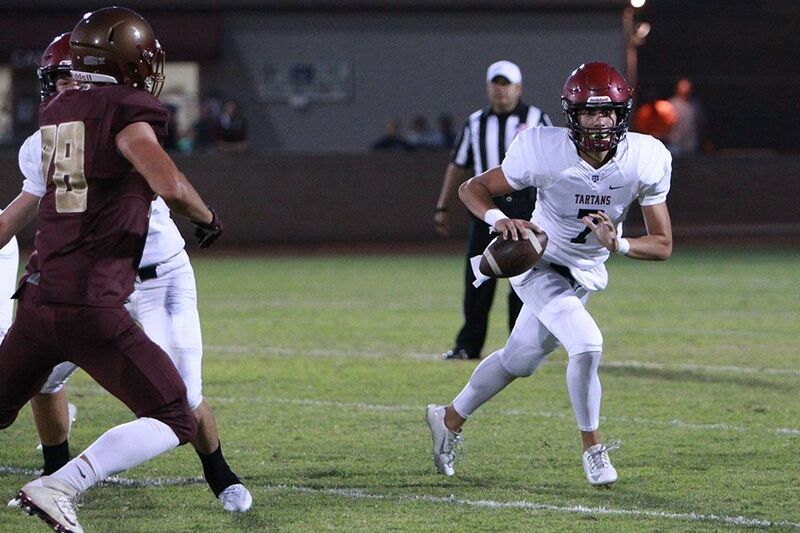 Quarterback James Mott threw for three touchdowns in the Tartan's home opener Friday night. 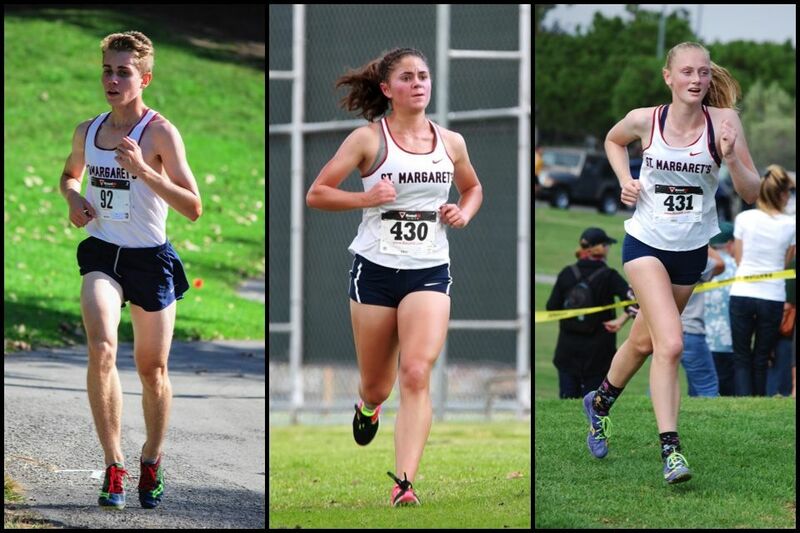 St. Margaret's fall sports season is underway this week as football, golf, volleyball and tennis all saw action. 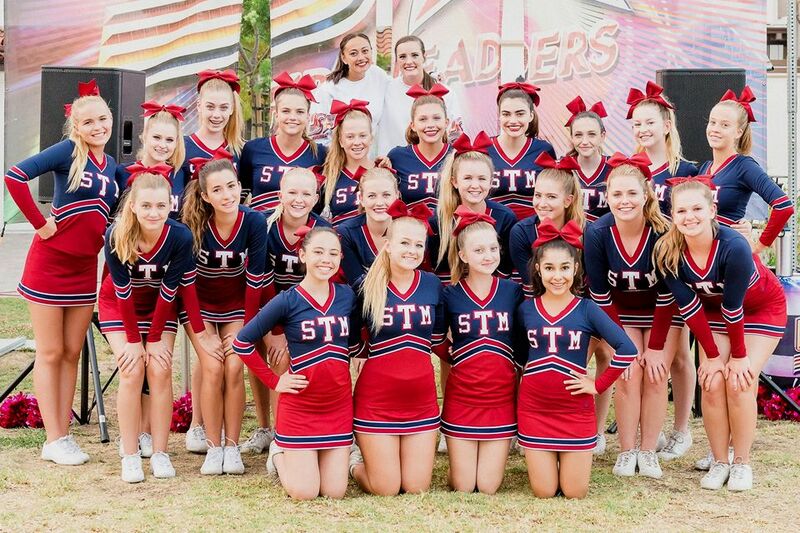 The Tartans captured a bevy of awards at the U.S. Spiritleaders Camp. 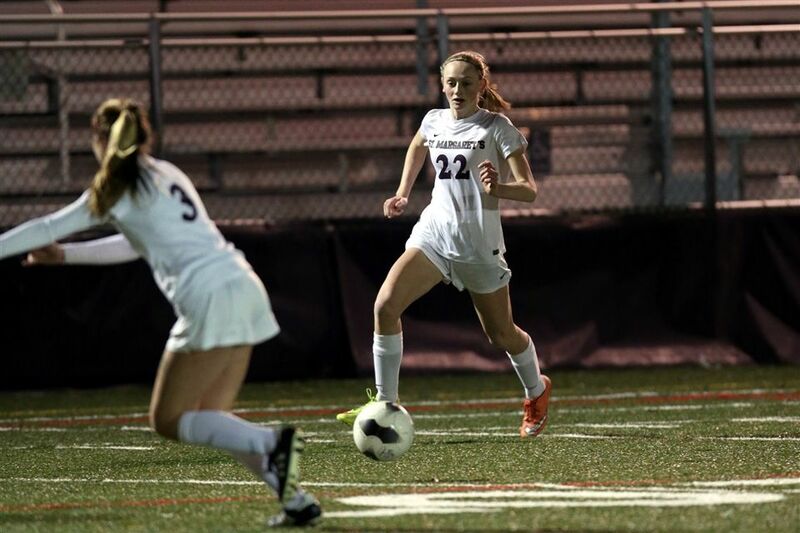 Lauren, a senior captain for St. Margaret's, has been selected as a member of the 2017 National Soccer Coaches Association of America Girls High School All-West Region Team. 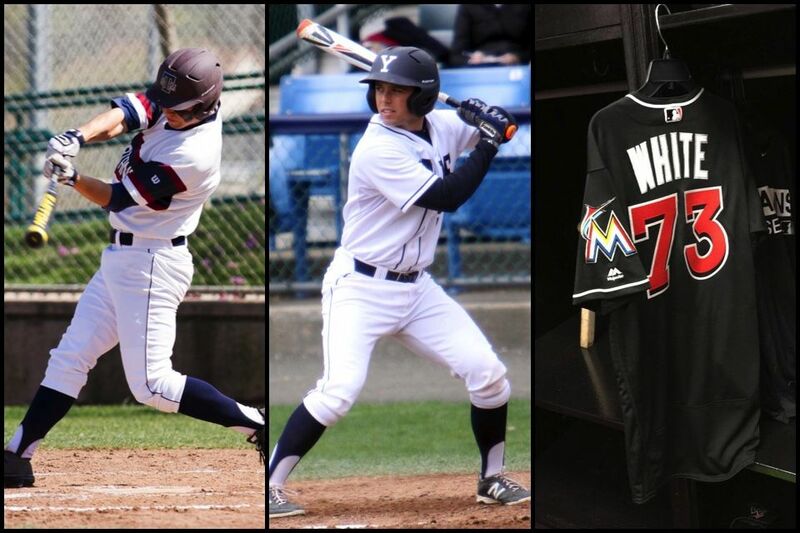 Harrison White '13, an outfielder and recent graduate of Yale University, was drafted by the Marlins in the 31st round of the 2017 Major League Baseball Draft. 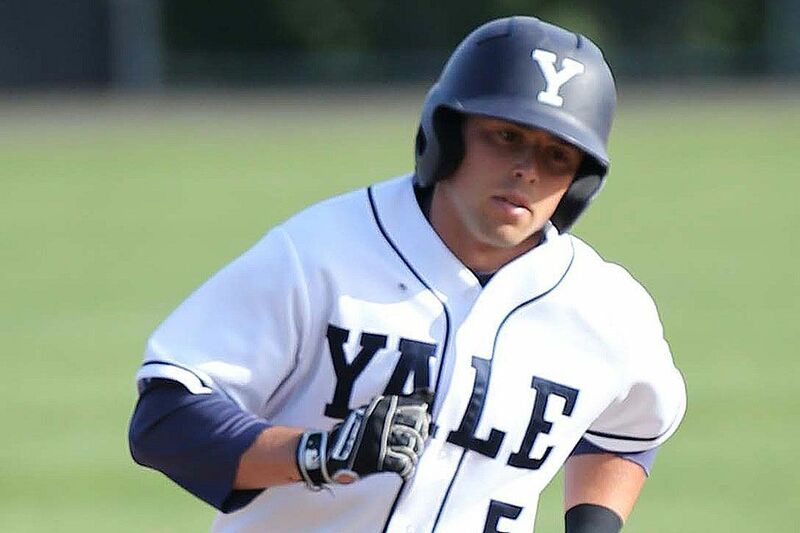 Harrison White ‘13 led the Yale Bulldogs to the Ivy League Championship and a berth in the NCAA Regional Championships. 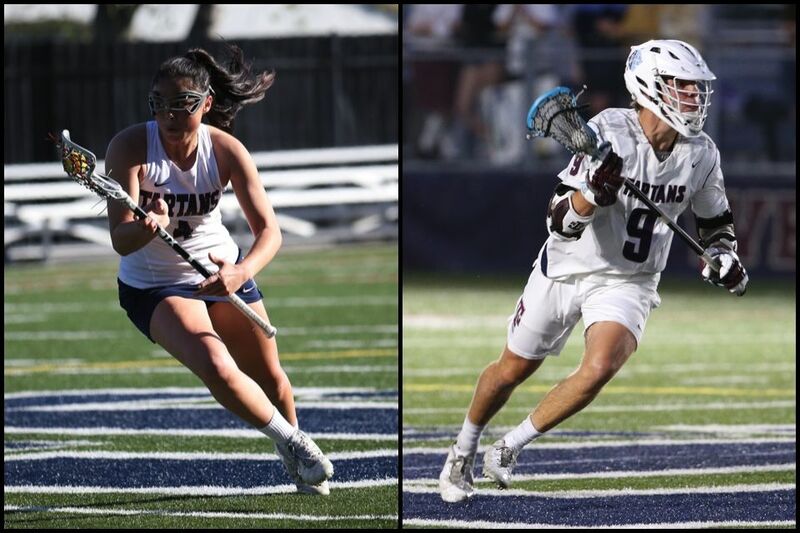 Cameron Manor, Cailin Young and Kevin Groeninger were all named U.S. Lacrosse All-American selections. 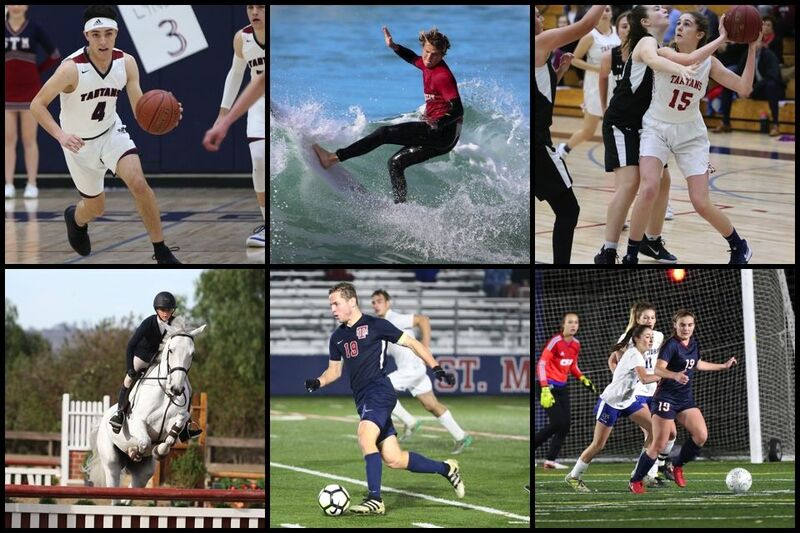 Five St. Margaret's student-athletes were honored at last week's Upper School Awards Ceremony. 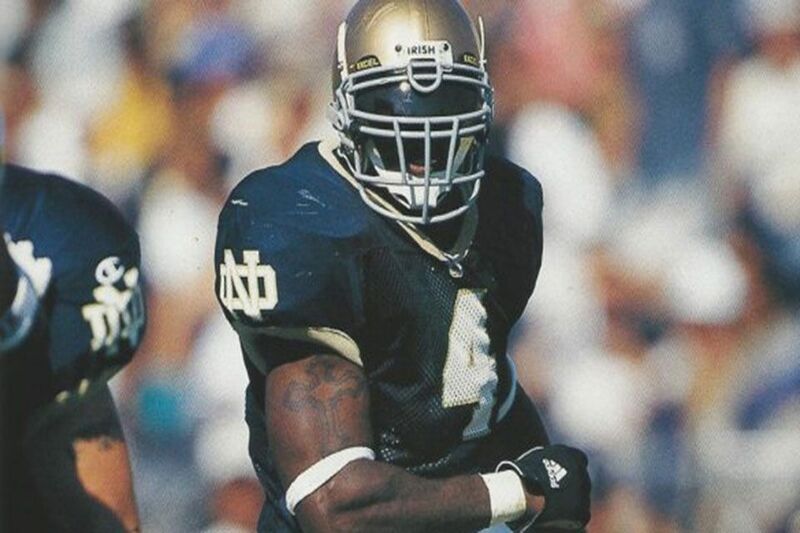 Former Notre Dame and Carolina Panthers linebacker Kory Minor will join the St. Margaret's football program and expand the student-athlete leadership program and NCAA recruiting process. 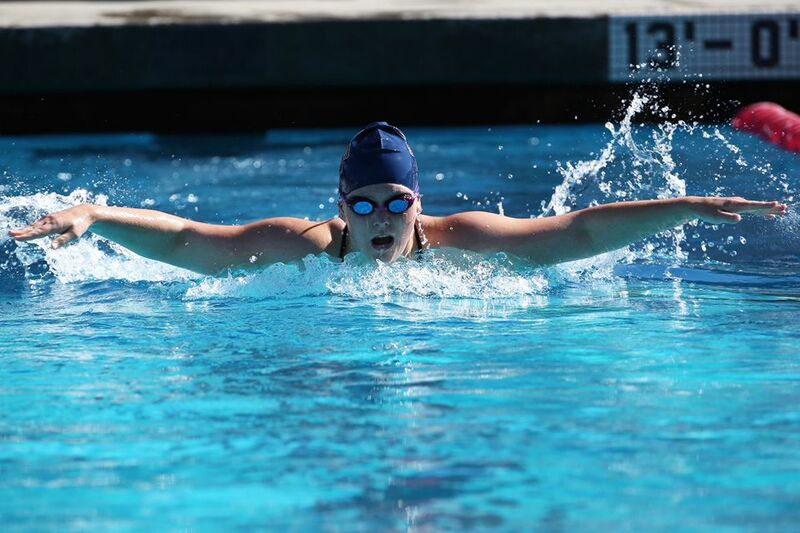 The Tartans has a successful year in the water, improving with each contest. 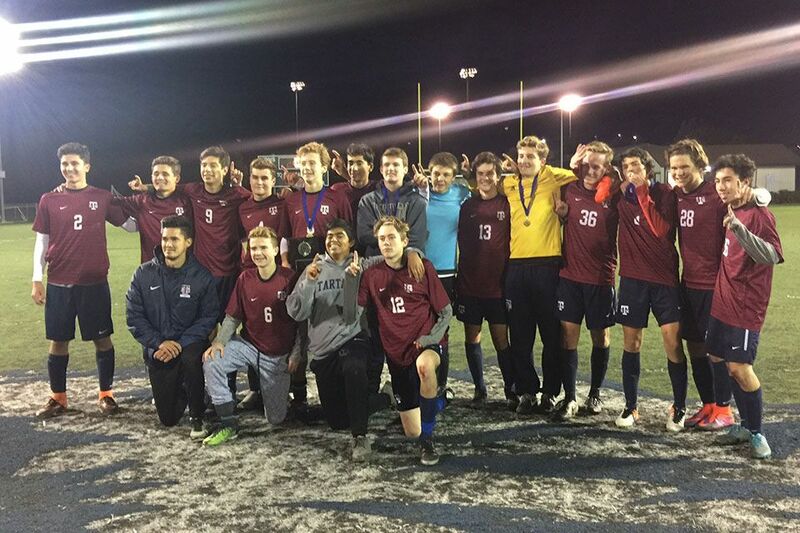 The Tartans won their fourth straight championship defeating St. John's in a wild 3-2 overtime finish. 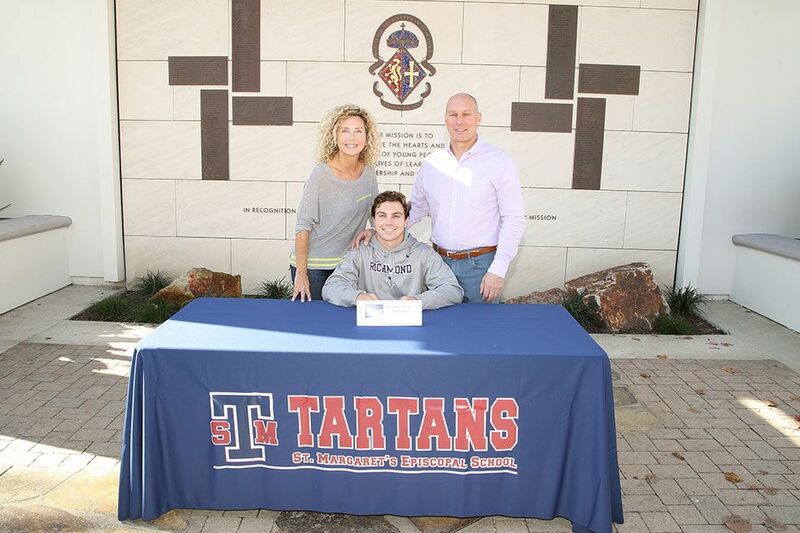 In a ceremony during Upper School convocation last week, St. Margaret’s senior Cameron Manor was officially appointed to the United States Military Academy at West Point. 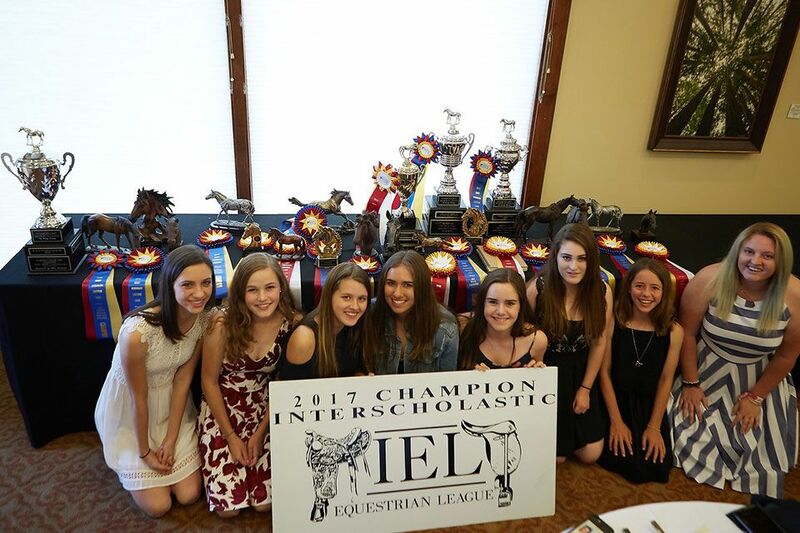 The St. Margaret's equestrian team finished up as the Overall Champion of Novice Division and Overall Reserve Champion for the 2016-2017 IEL season. 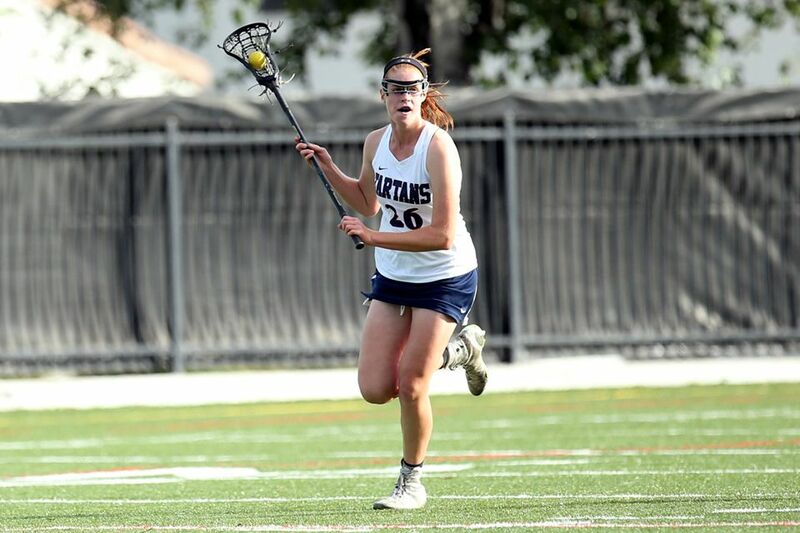 Both the boys and girls lacrosse teams won their second-round games to advance to the Southern Section semi-finals. 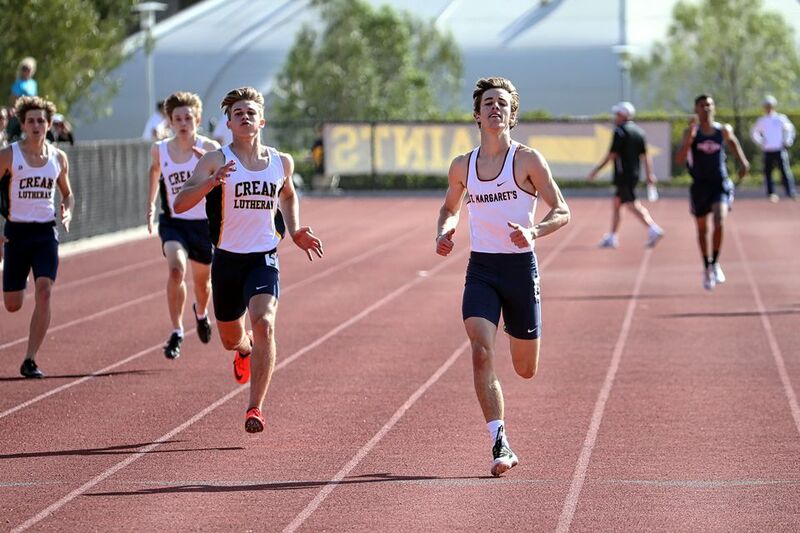 The Lower School, Middle School and Upper School all came together in competition at the St. Mary's Invitational Track Meet. 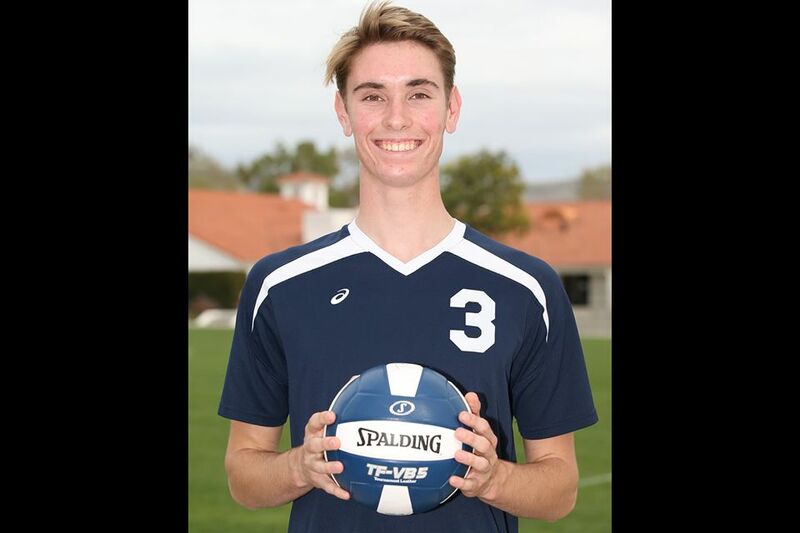 Ethan Hill was named Orange County Boys Volleyball Athlete of the Week by the OCRegister. 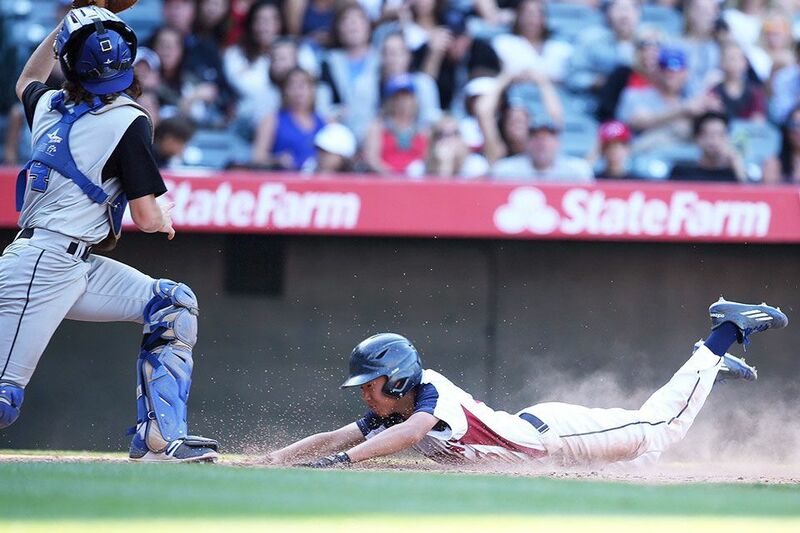 With an eight-run first inning, the Tartans soundly beat Saddleback Valley Christian at Angels Stadium. 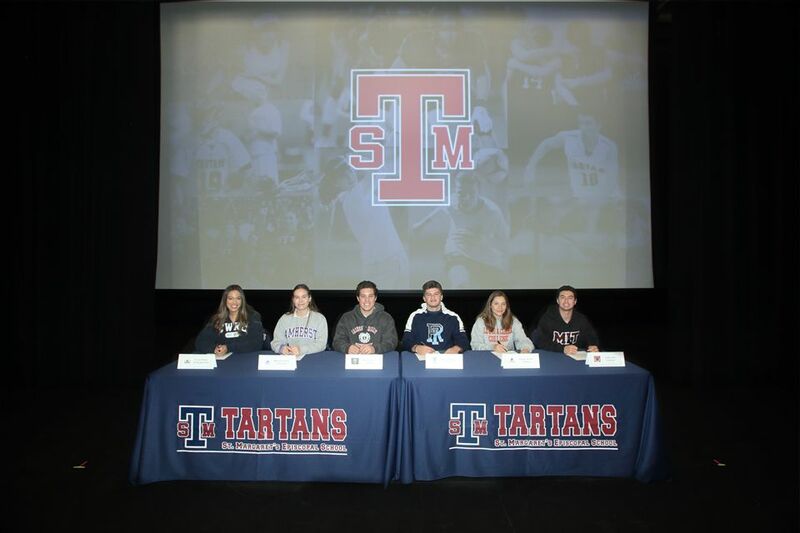 Five student-athletes from the Class of 2017 commited to play intercollegiate athletics during the spring signing day, joining fellow seniors who committed during the winter signing period. 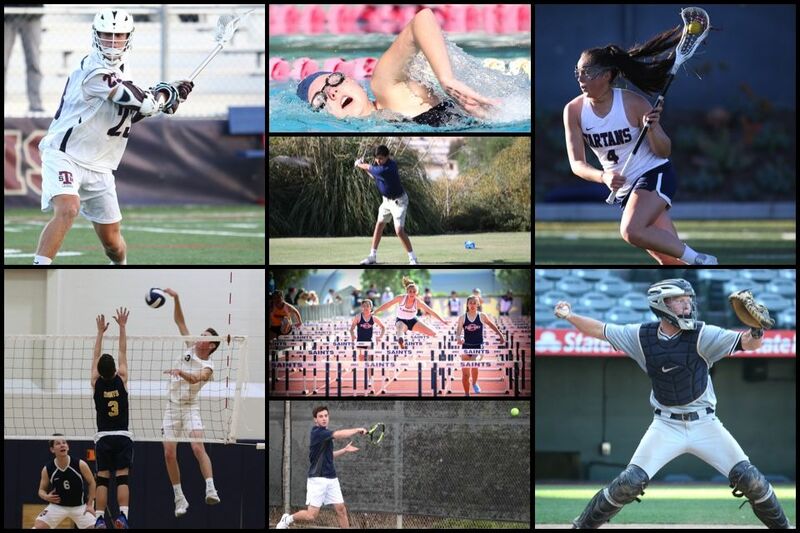 Tartan Athletics fielded 12 teams in the top 10 of the annual CIF Southern Section - FORD Academics Awards program. 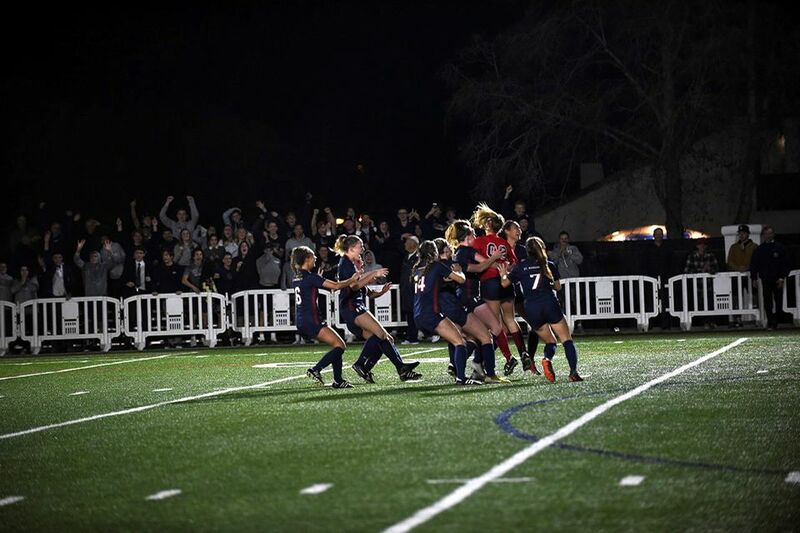 The Tartans wrapped up the 2016/2017 campaign with a 3-2 record and victory over El Toro High School. 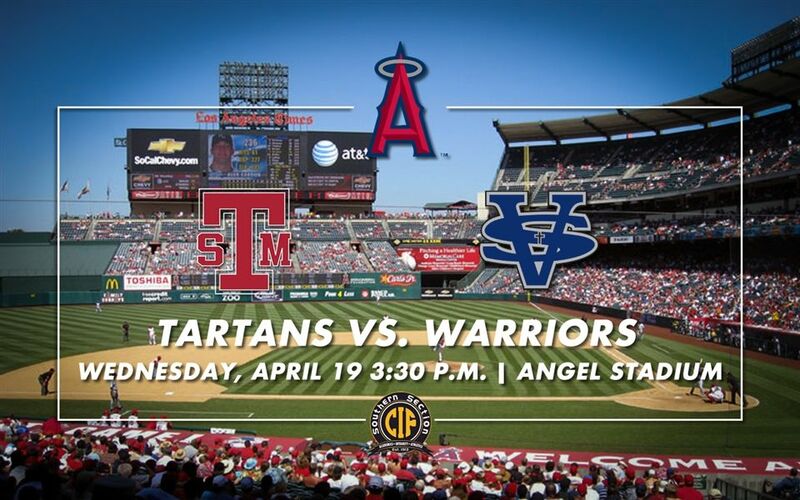 The St. Margaret's baseball program will take on Saddleback Valley Christian in a non-league contest at Angel Stadium in Anaheim on Wednesday, April 19 at 3:30 p.m. Come support your Tartans in this unique major-league experience! 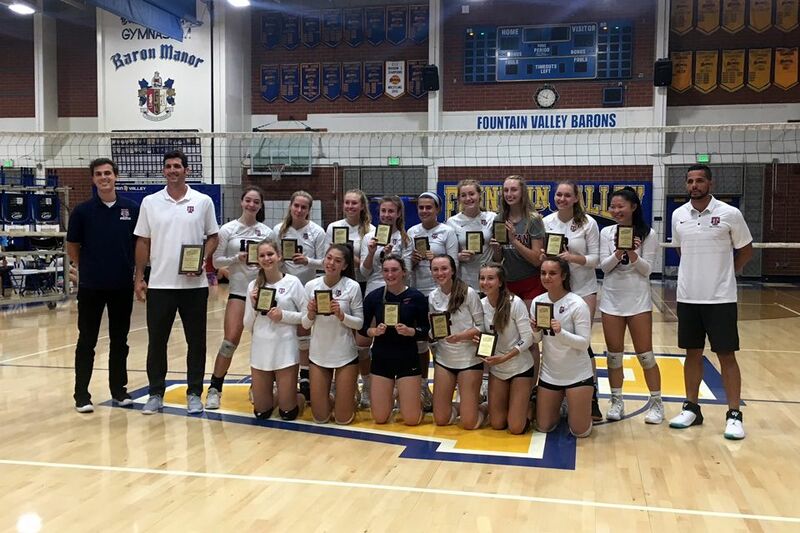 The Tartans defeated all comers at the San Pedro Volleyball Tournament this past Saturday. 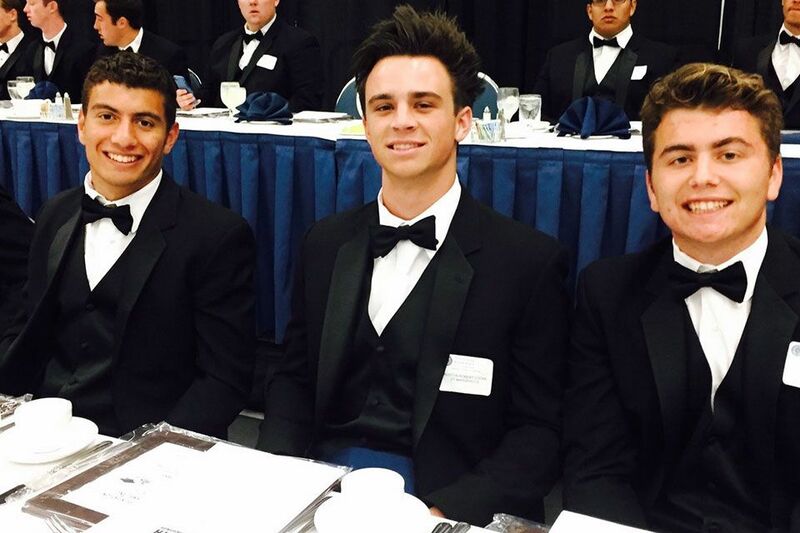 Seniors Alex Choi, Auston Locke, Chris Krantz and Nick Krantz were recognized Monday at The National Football Foundation's Orange County chapter Annual Scholar-Athletes Awards Dinner at the Anaheim Convention Center. 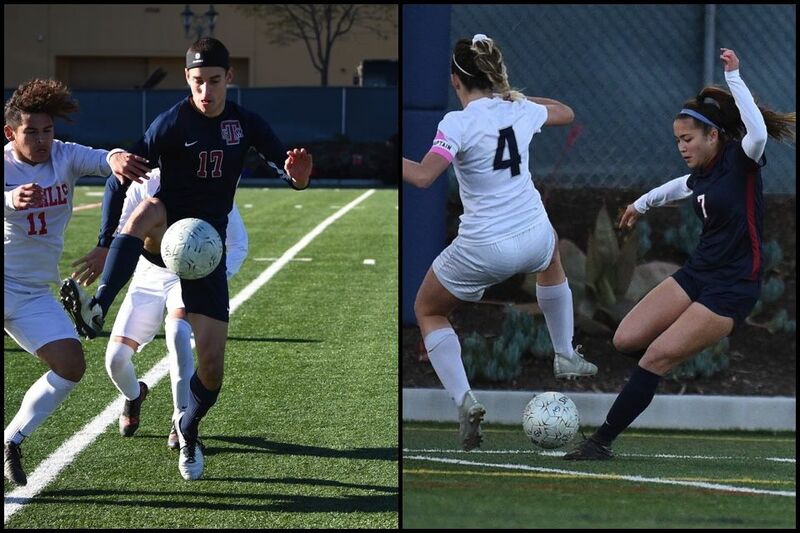 Juniors John Leasure and Lauren McCaffrey were tabbed as All-CIF in soccer, while senior Tyler Horgan earned the honor in basketball. 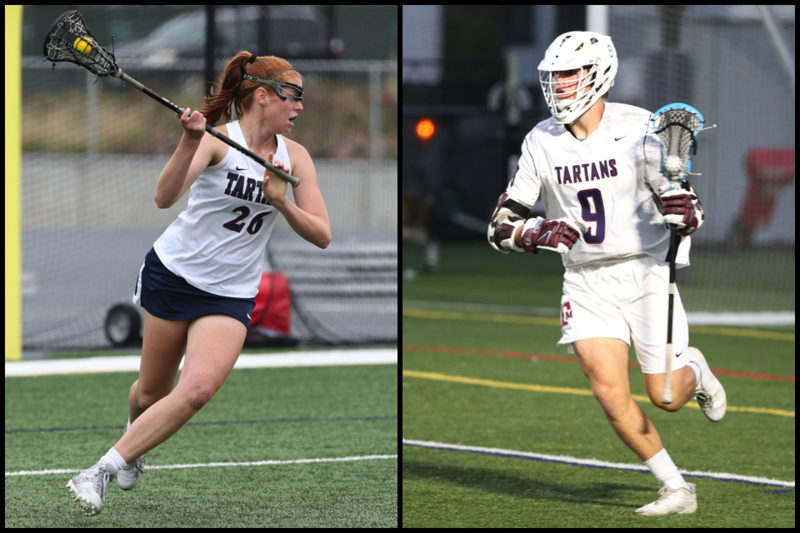 The Tartan baseball and girls lacrosse programs notched their first wins this week, while boys volleyball remains undefeated at 4-0. 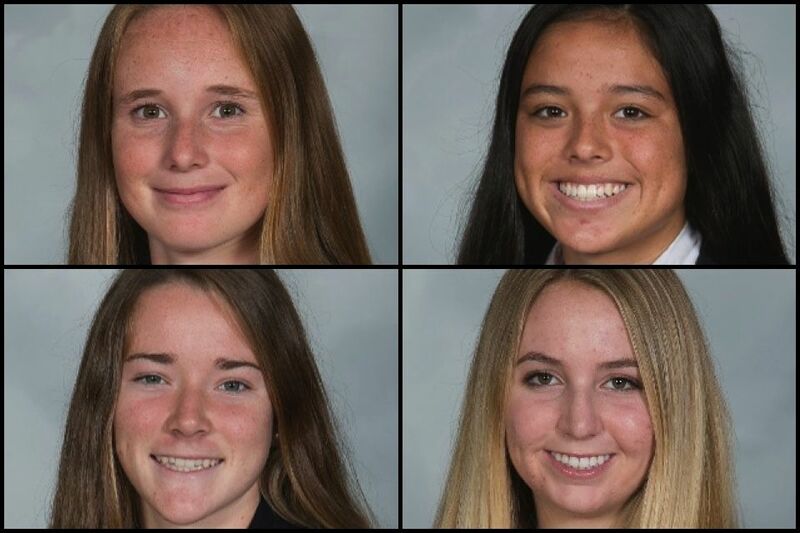 Campbell Case, Niki Miles, Megan Vandenburg and Callin Young were selected to the 2017 Orange County team. 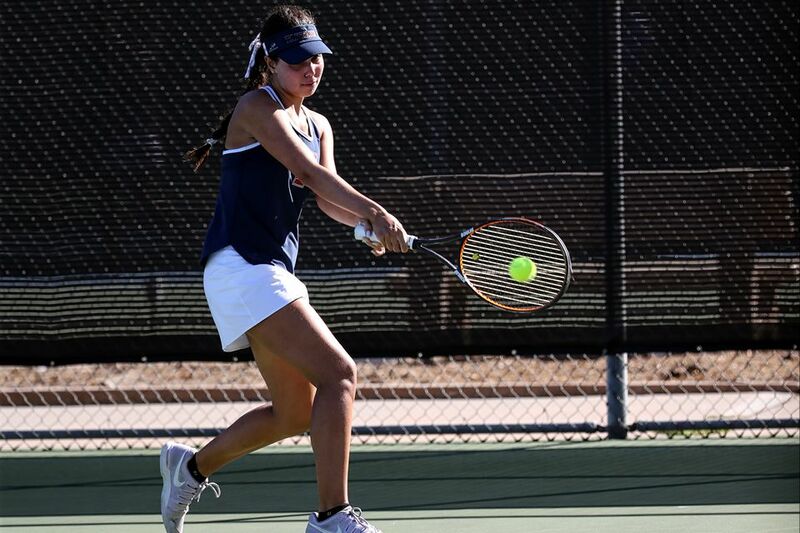 The spring season has begun for the Tartans with some key early season victories. 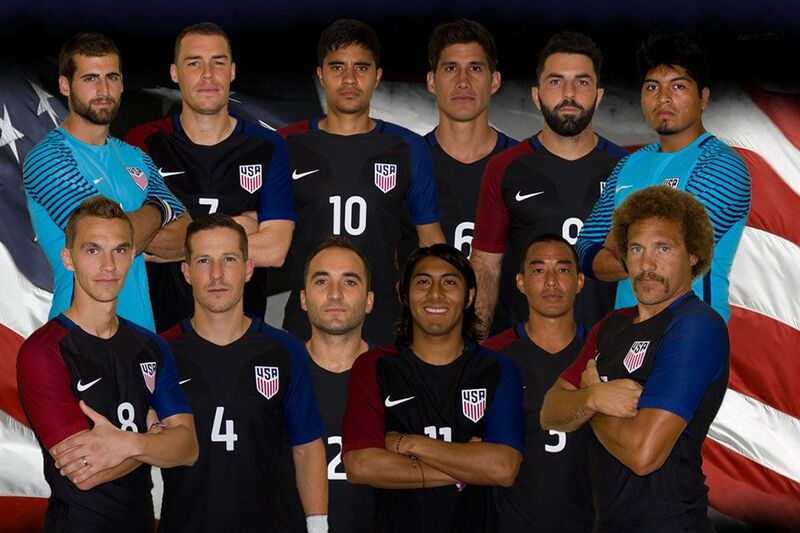 Tartan soccer assistant coach Oscar Reyes notched a goal for the U.S. Men's National Beach Soccer team against Trinidad & Tobago on February 23. 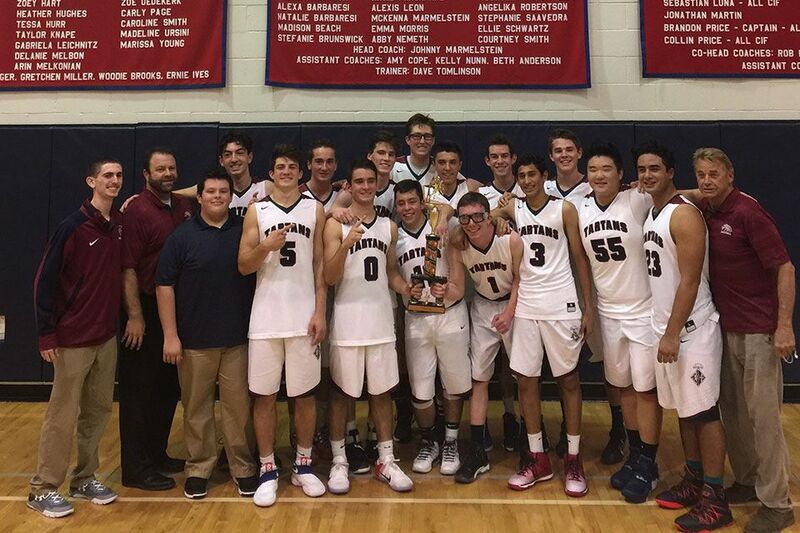 The Middle School basketball, golf and lacrosse programs all had exciting winter seasons. 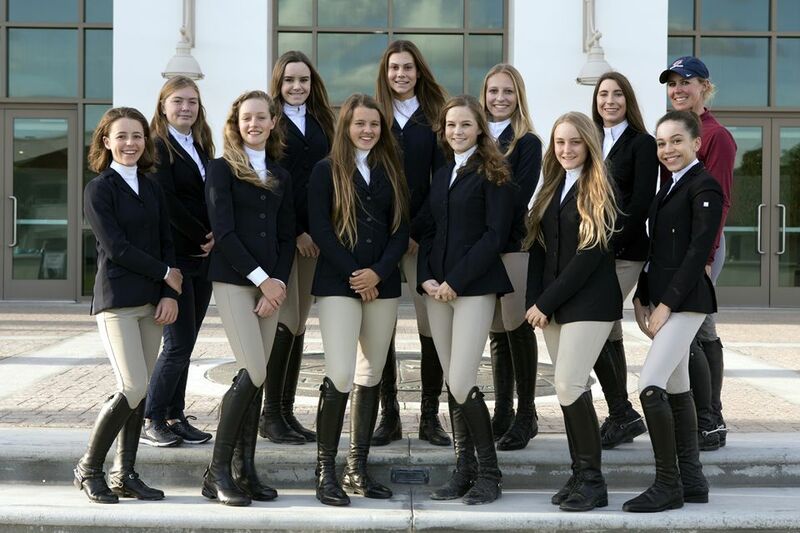 Rain has kept the Tartan riders sidelined, but the team looks to finish strong at this weekend's Interscholastic Equestrian League Final. Chinese Olympic coach, Yinghong Chen met with the Tartans as they prepared for the upcoming season. 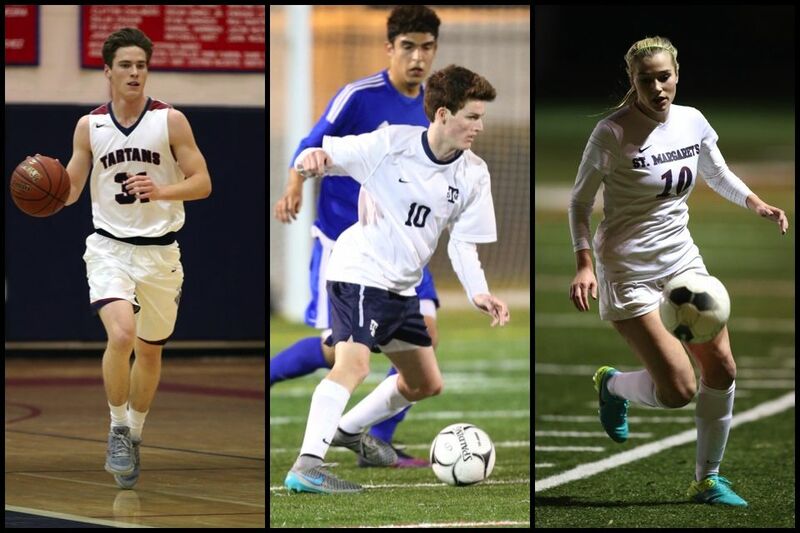 St. Margaret’s girls soccer and boys basketball advance, boys soccer and basketball rescheduled. 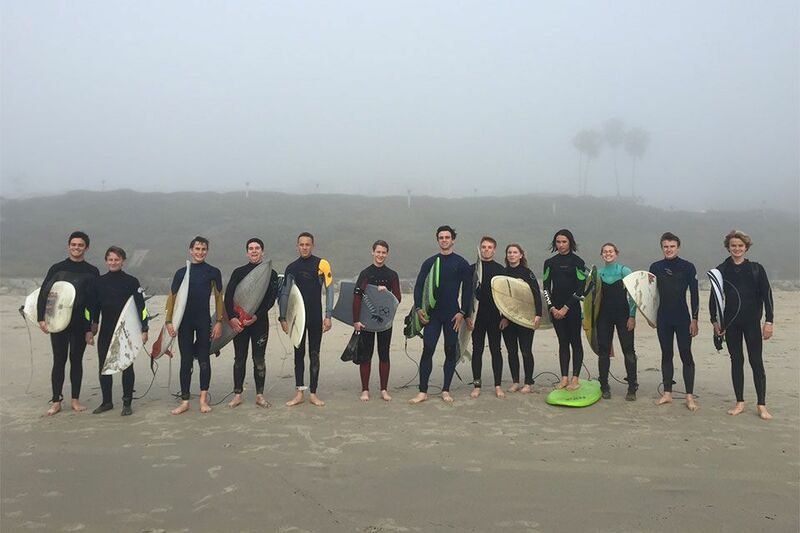 The surf team's recent "Surf-a-Thon" raised awareness and money for a bevy of non-profit organizations. 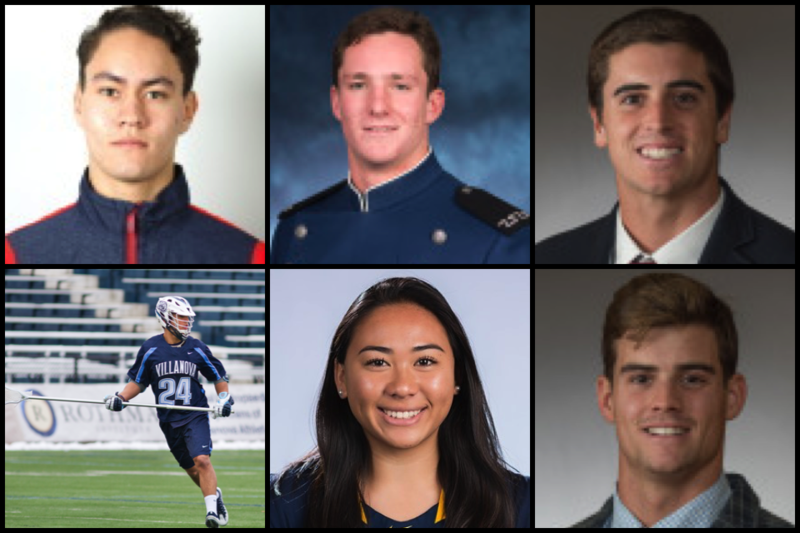 Former St. Margaret's lacrosse student-athletes contributing on five NCAA Division I lacrosse rosters. 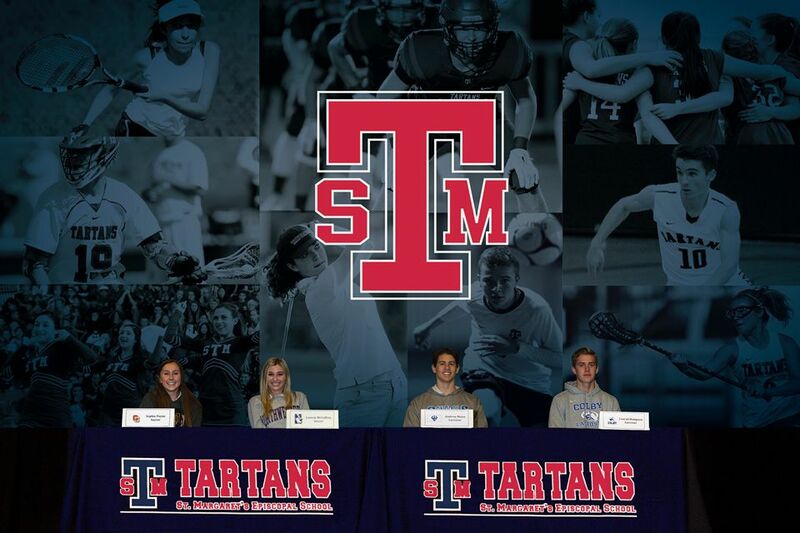 The Tartans will have home games in boys basketball and boys and girls soccer. Wrestling will travel to Rialto on Friday, February 17. 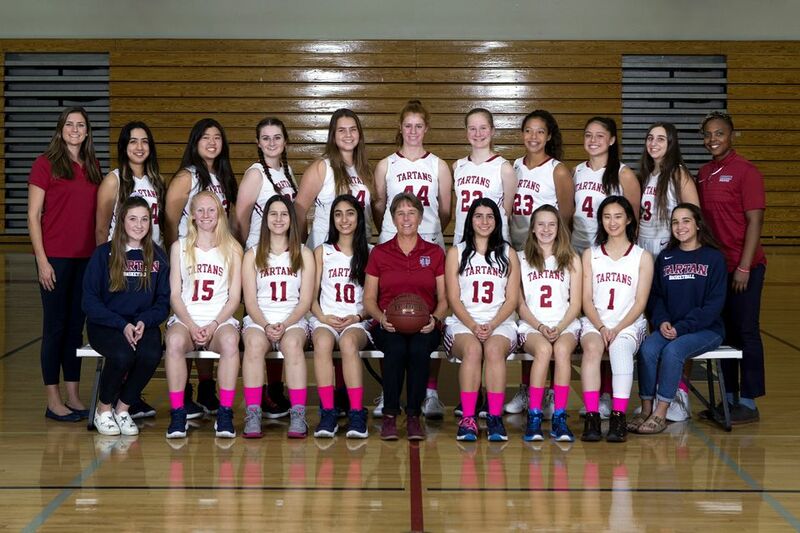 A fun, exciting and undefeated season for the Mountain “A” Girls Basketball team culminated in a league championship. The trio put up impressive numbers in the 2016 season. 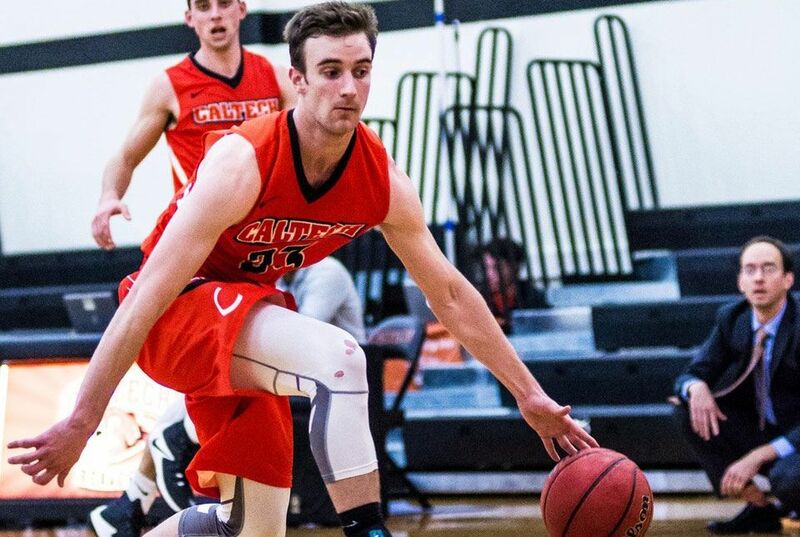 Cahill's 15 points off the bench propelled the Beavers to their first win over Chapman in 63 Years. 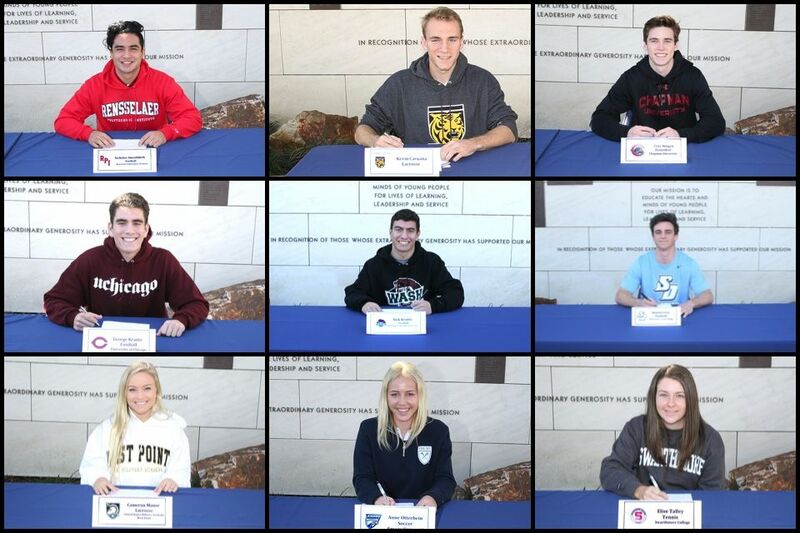 Nine student-athletes from the Class of 2017 have committed to play intercollegiate athletics next year. 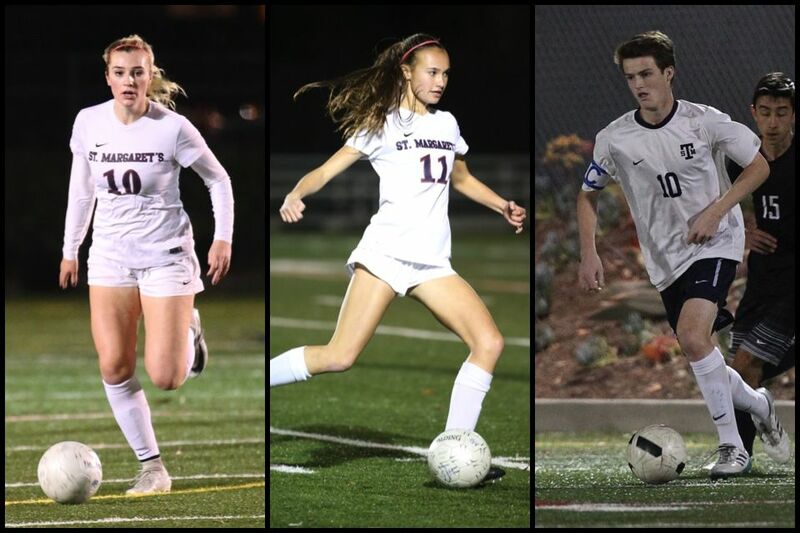 The boys and girls varsity soccer programs both defeated Sage Hill in Academy League action last night. 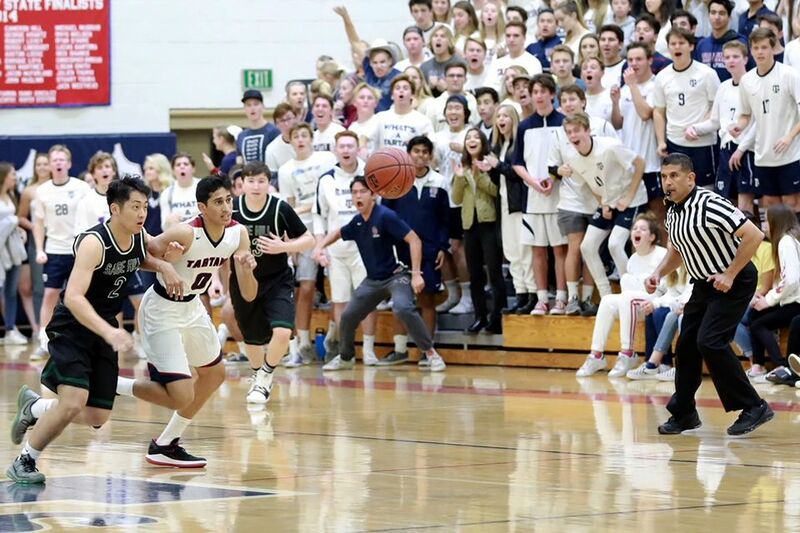 Junior Jay Phansalkar had five points and two steals in overtime to seal the victory for the Tartans. 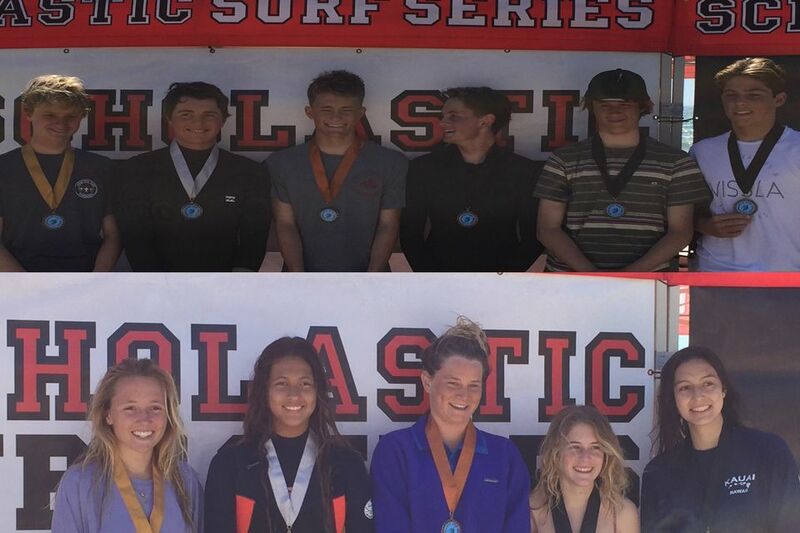 The Tartans out-surfed JSerra 62-34 in Scholastic Surf Series competition this past weekend. 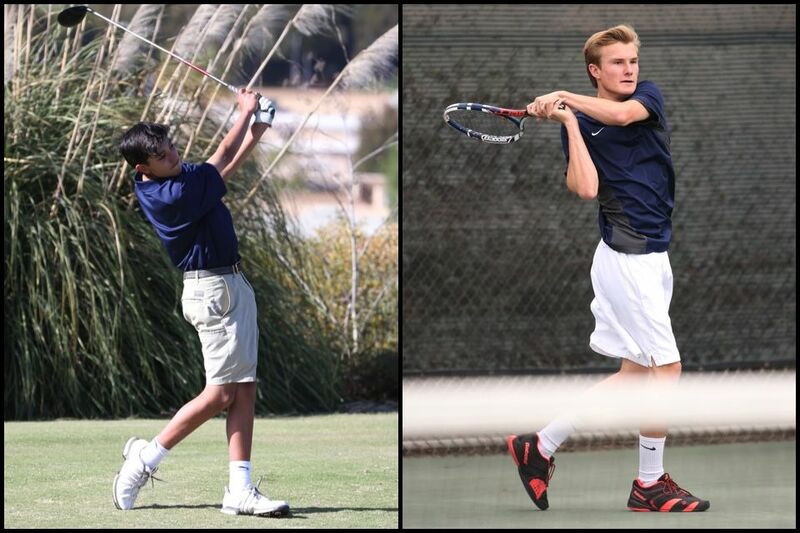 The Tartans defeated Rancho Mirage High School 6-0 in the championship match. 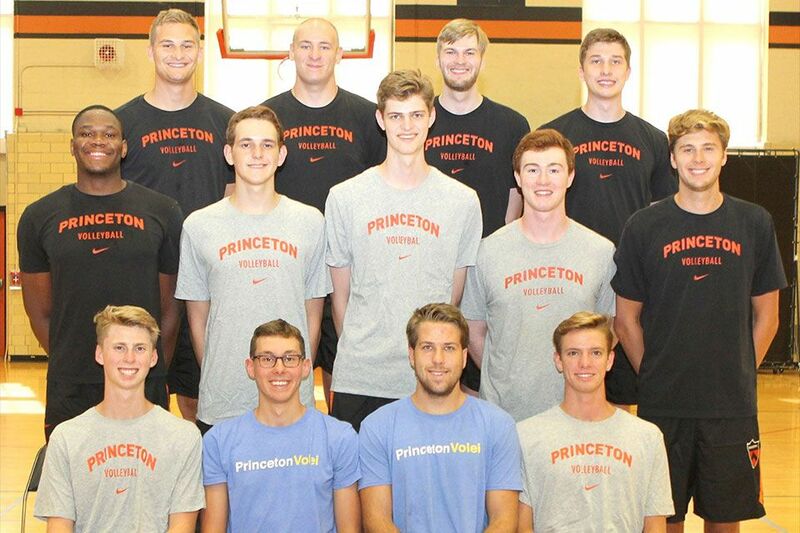 The Princeton Tigers men's volleyball team will practice in Pasternack Field House over Christmas break. 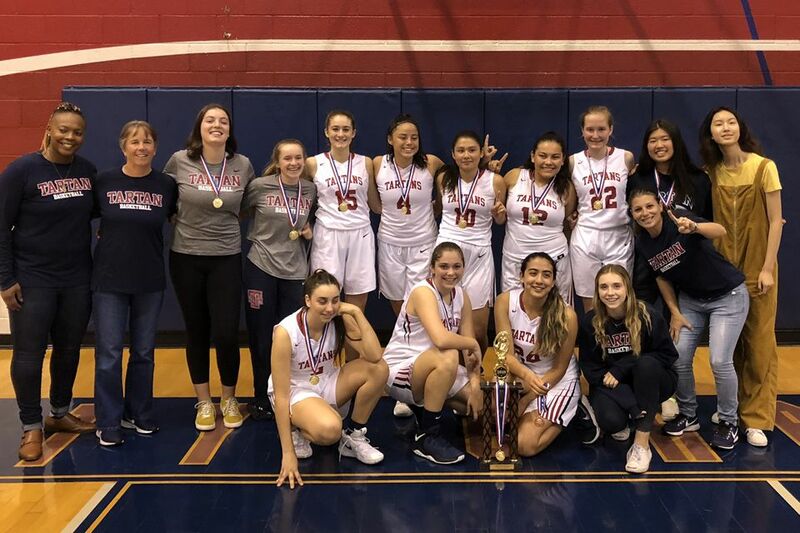 The Tartans relied on a team effort to defeat San Juan Hills High School 64-46 in the final. 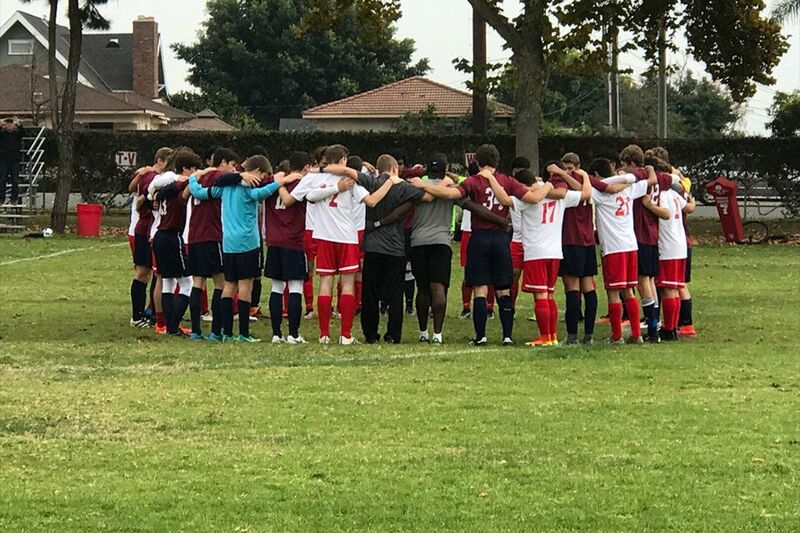 The St. Margaret's and Whittier Christian soccer teams paused to remember Ethan Hawks, who passed away after an accident last month. 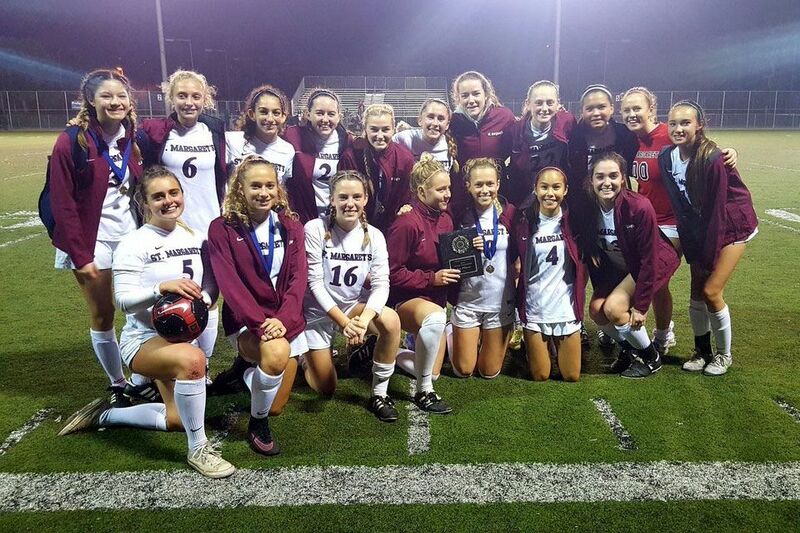 The Tartans enjoyed a 22-3 goal differential en route to the Linfield Christian Tournament Championship. 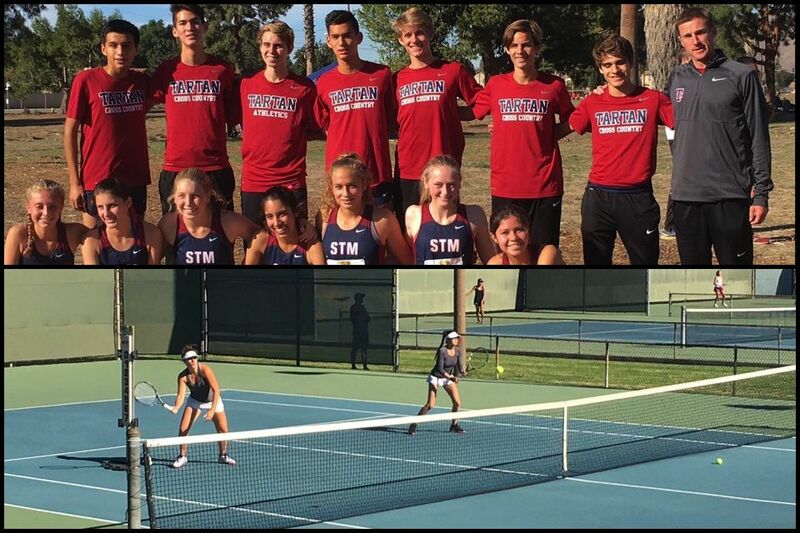 The Tartan Cross Country and Girls Tennis teams finished their fall campaigns with impressive results. 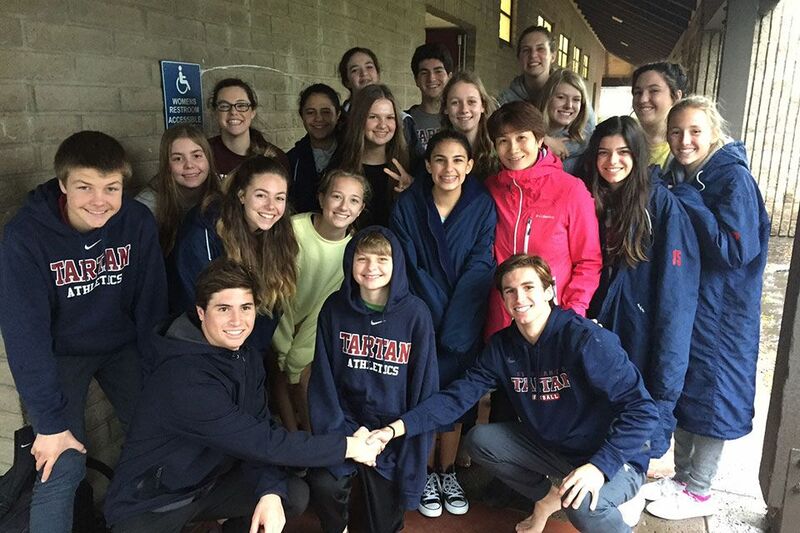 The Tartan winter programs are featured in The Capistrano Dispatch this week. 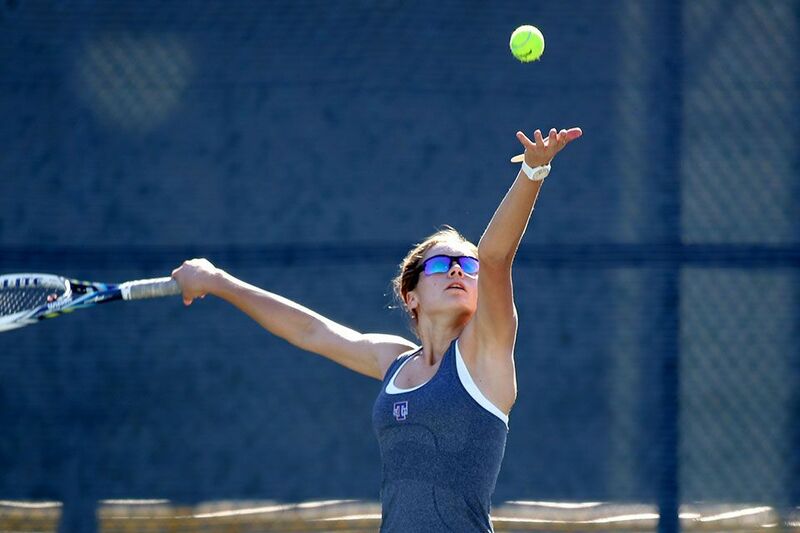 Despite enduring a rain delay, the girls had an impressive showing in the opening round of the CIF-SS Individual Tennis Tournament. 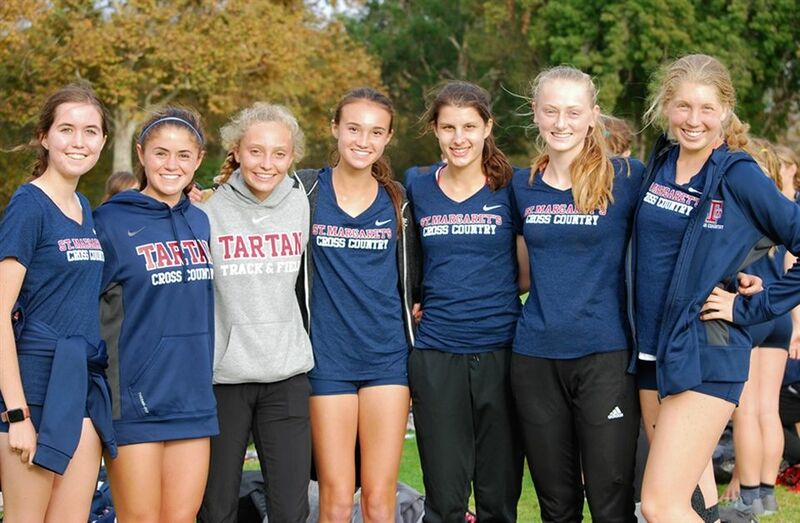 The Tartans will compete at the State Championships on November 26 in Fresno. 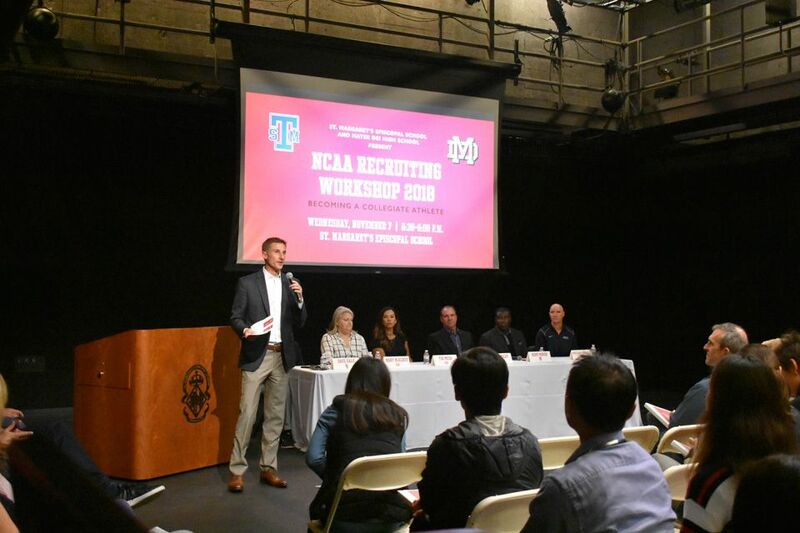 St. Margaret's Director of Athletics Patrick Bendzick discussed the benefits of collegiate athletics in a NCAA recruiting workshop. 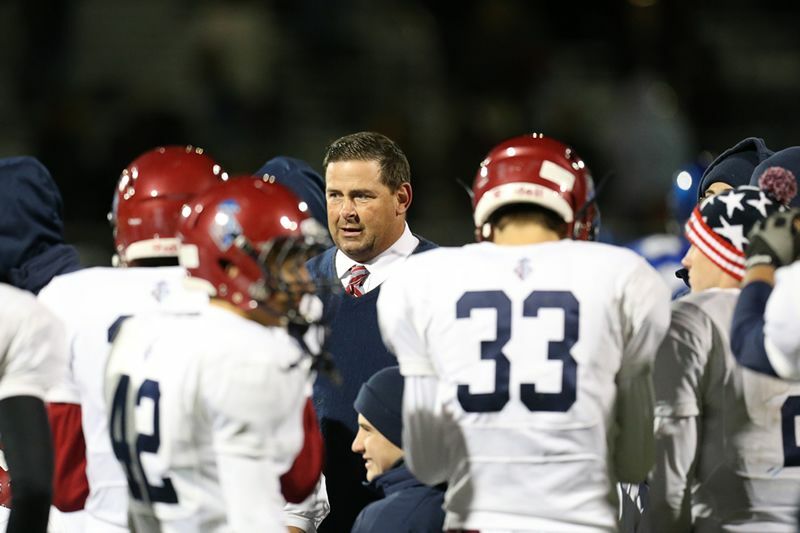 St. Margaret's football battled to the end in CIF-SS playoff loss. 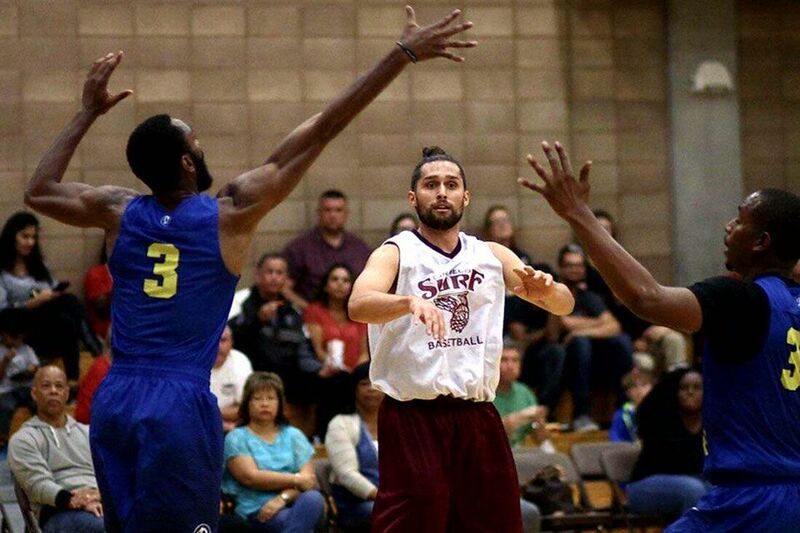 Mitch Marmelstein, Class of 2011, plays for the San Diego Surf of the American Basketball Association. 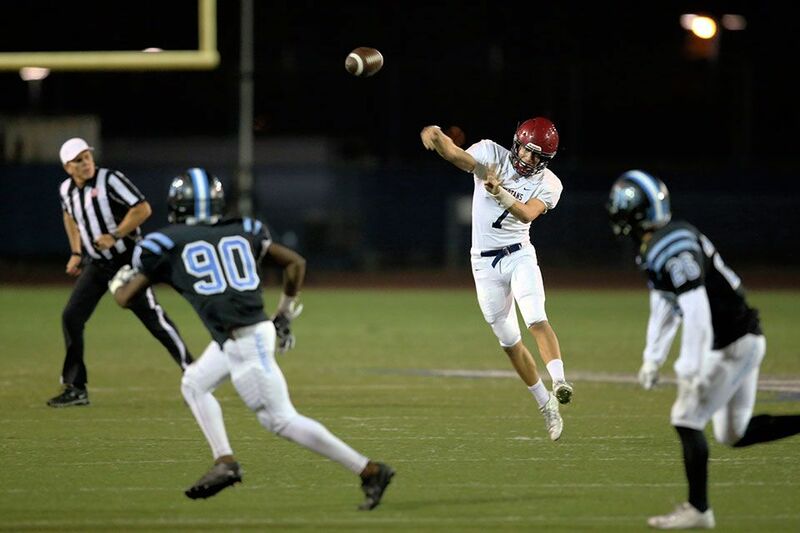 The Tartans kicked their way to a second consecutive CIF-SS Final Appearance. 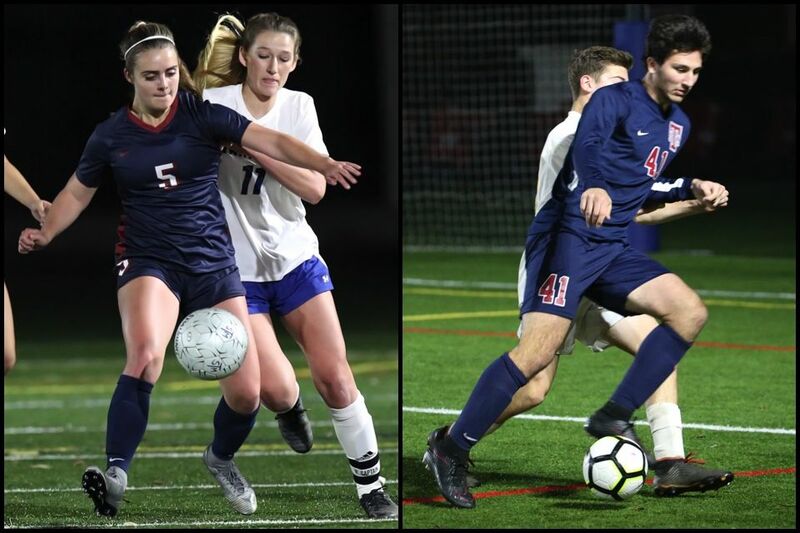 Trinity College soccer athletes Alexa Barbaresi, Class of 2014, and Grace Chalmers, Class of 2016 have qualified for the NCAA Division III Championship Tournament. 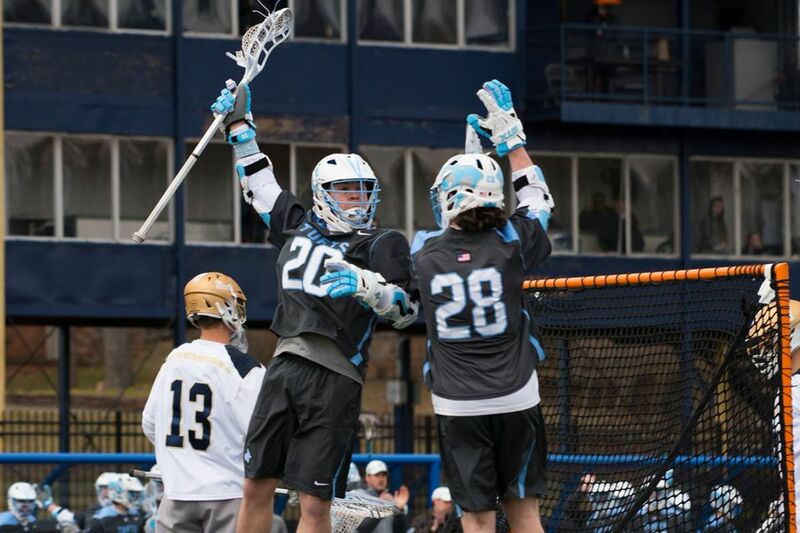 Davis will compete in men’s lacrosse for the NCAA Div. 1 University of Richmond Spiders. The Tartans relied on their top performers to outlast a talented Jackrabbit squad 86-73. 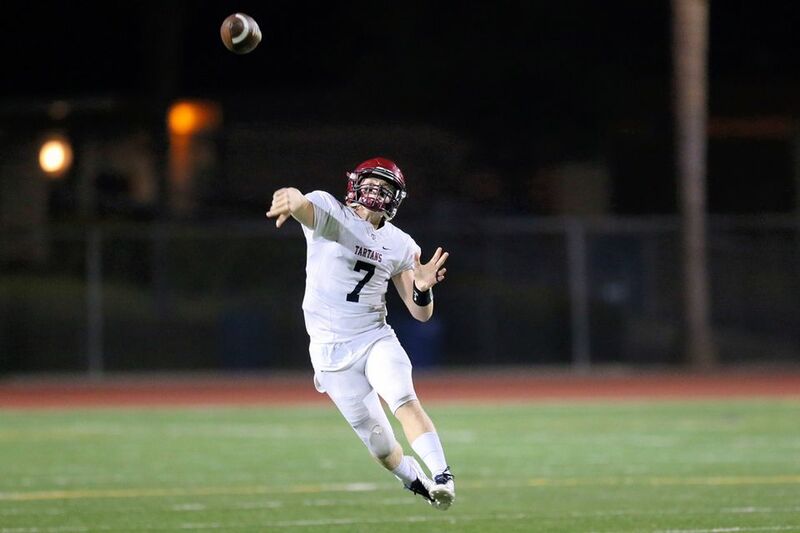 Led by backup quarterback James Mott, the Tartans rolled over Crean Lutheran 49-7. 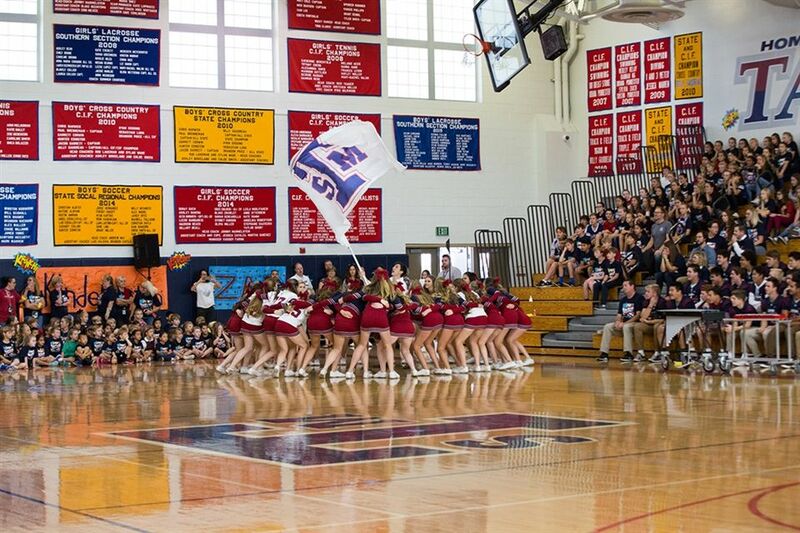 A high-energy and eventful homecoming pep rally on Friday fired up the student body for Spirit Week. 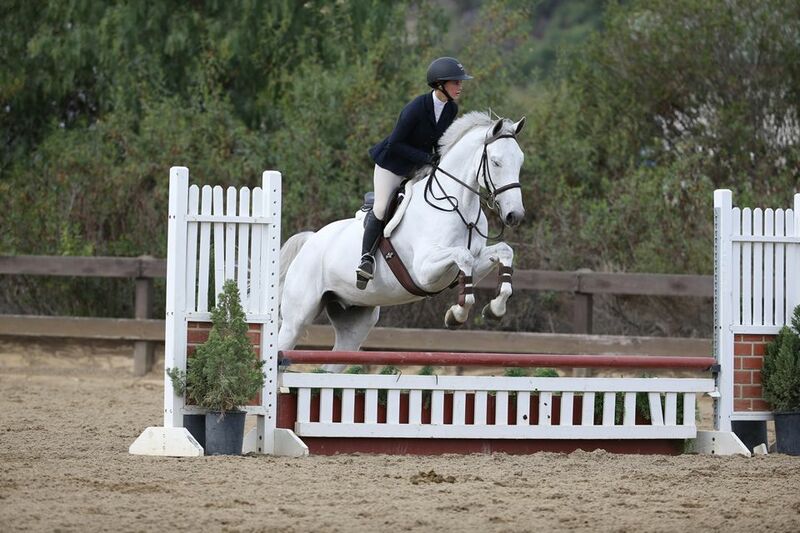 St. Margaret's Equestrian team represented themselves very well this past weekend. 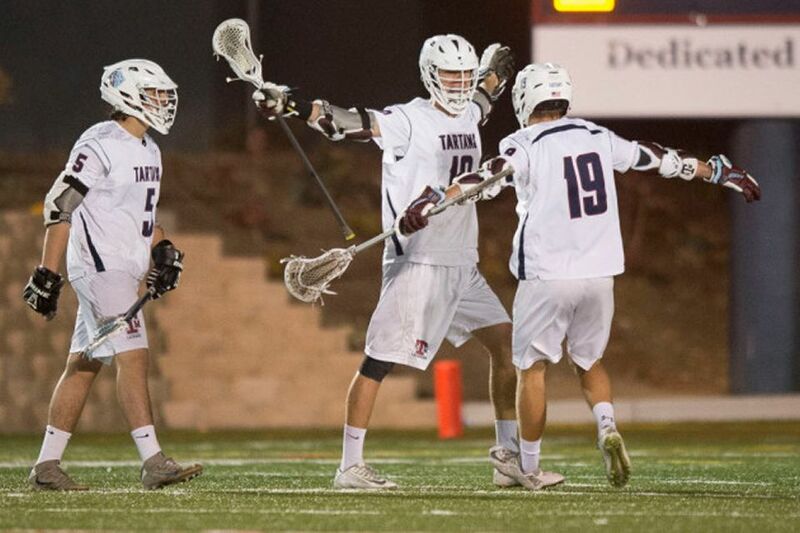 The Tartans defeated Palm Springs High 12-6 in First Round team play. 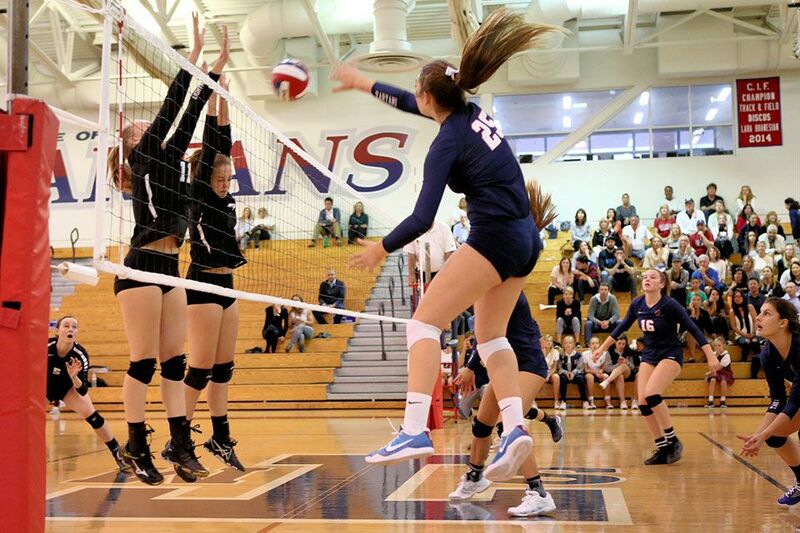 The Tartans defeated Calvary Chapel Santa Ana in three sets to move on to the second round of the CIF-SS playoffs. 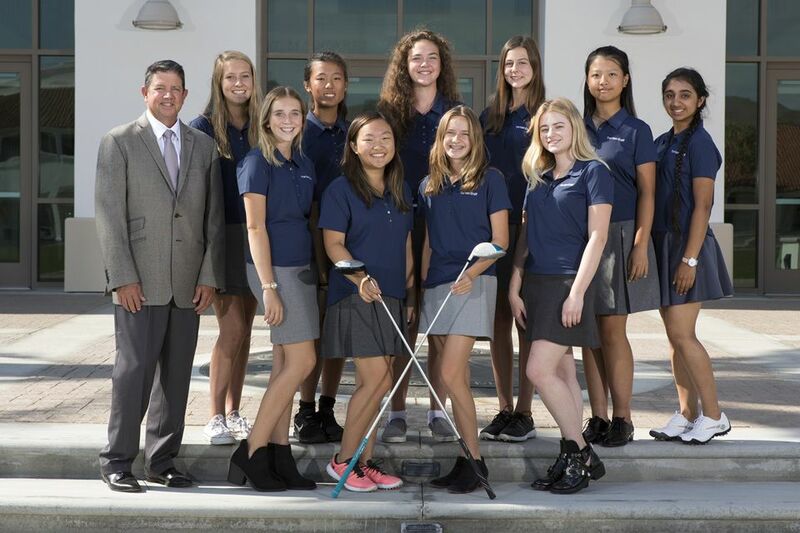 The spirited group of St. Margaret's students known as "The Kitchen" recently sat down with Capistrano Dispatch reporter Steve Breazeale. 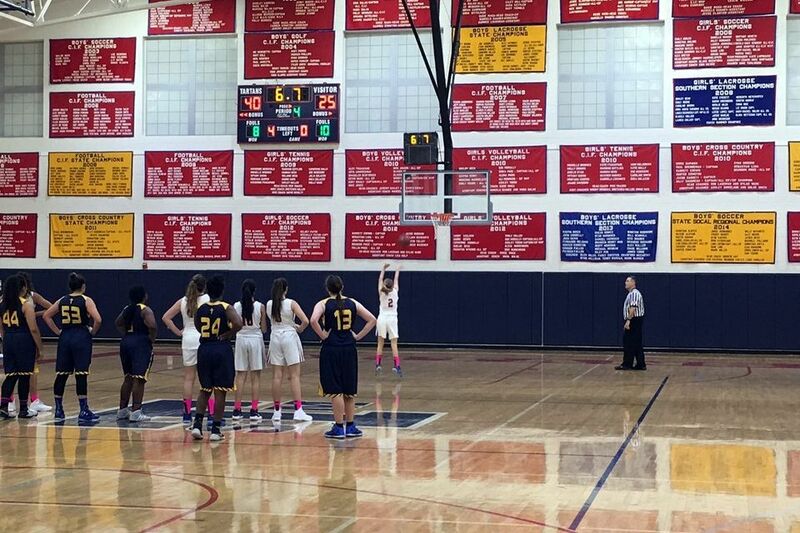 The Warriors defeated St. Margaret's 50-49 for the first time since 2004. 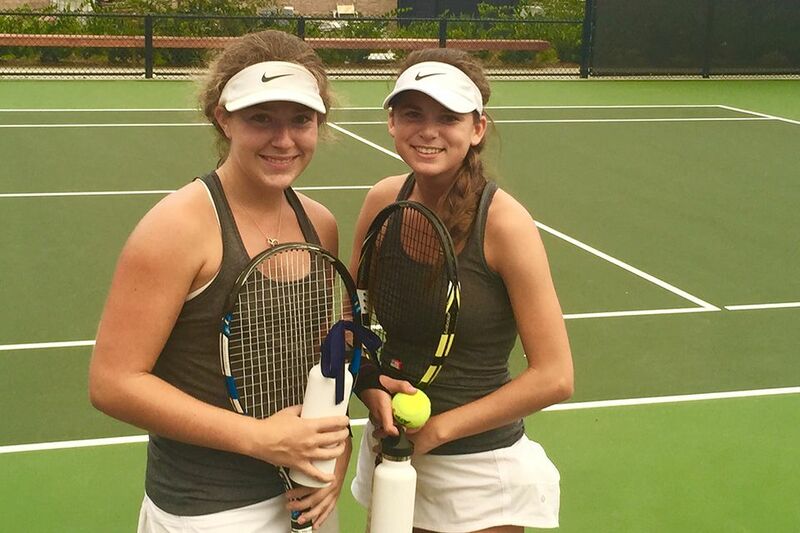 The senior doubles team took the No. 1 spot to advance to the next round. 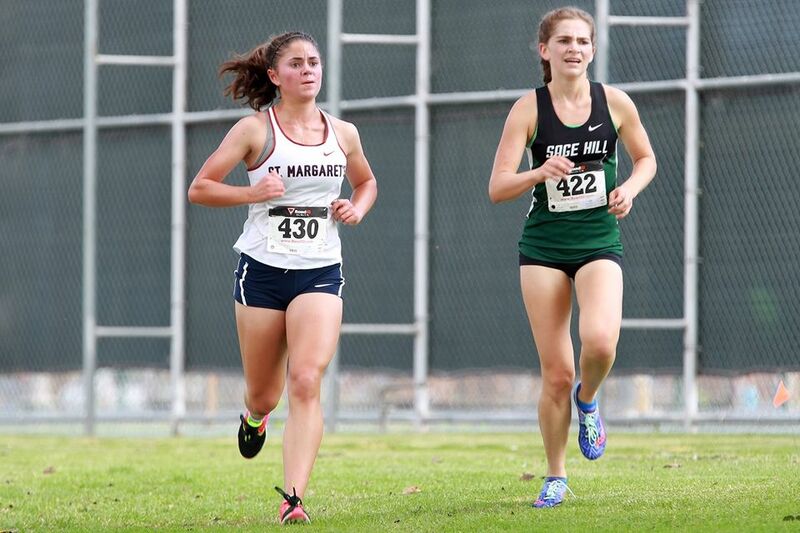 Gitter's winning time of 15:33 helped the Tartans Advance to the CIF-SS Prelims. 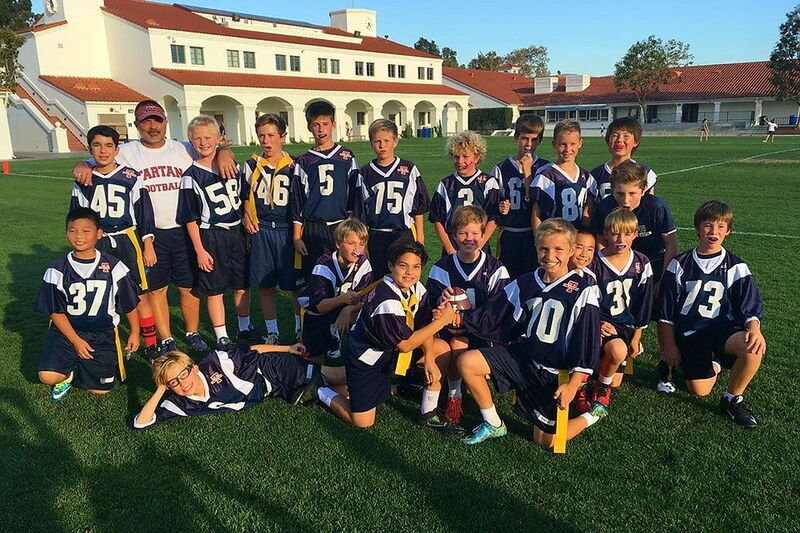 It’s been a busy, fun and exciting fall sports season for our middle school teams. 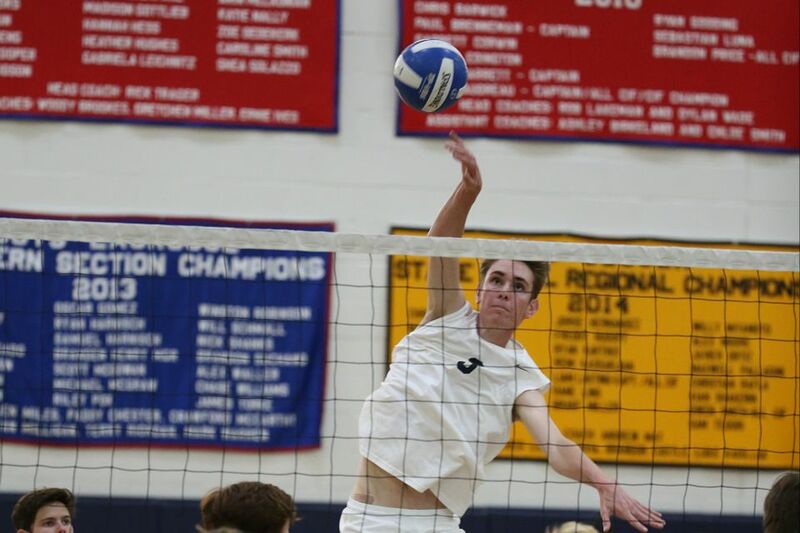 The Tartans defeated Oxford Academy 25-8, 25-12 and 25-15 in their final regular season game. 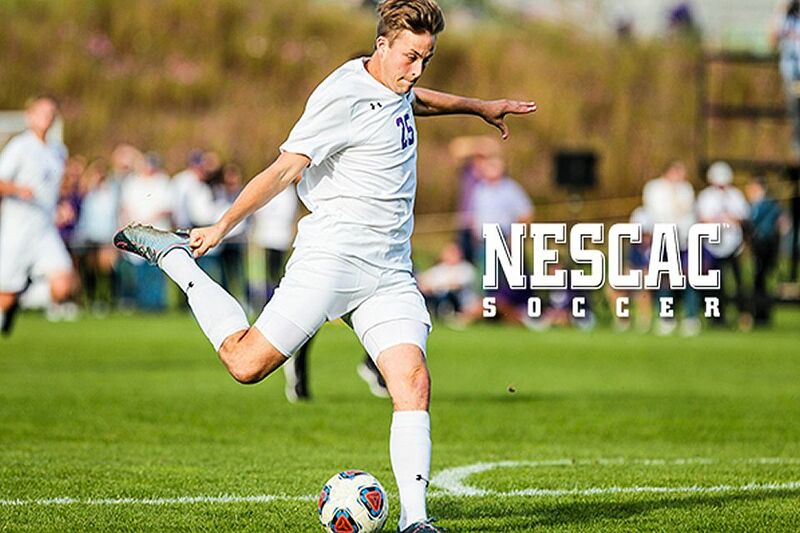 Caruana will play defense for the NCAA Div. III Tigers. 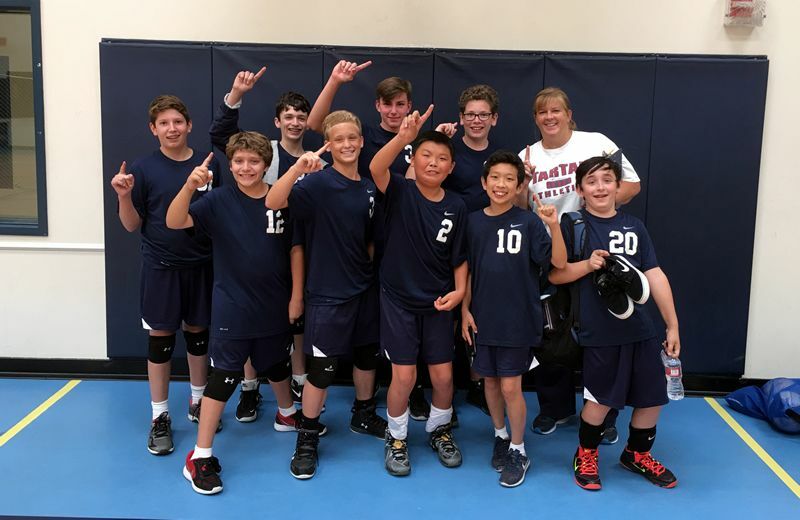 Tartan middle school volleyball team takes home third place. 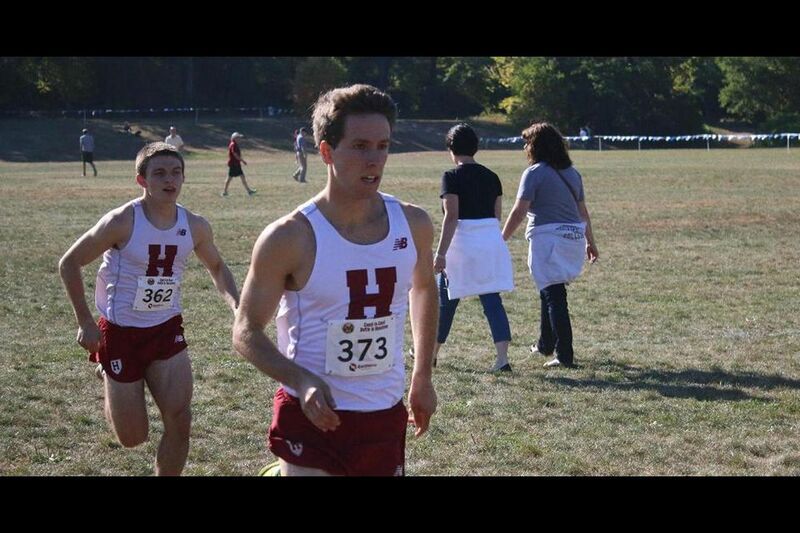 Brandon Price, Class of 2013, and Collin Price, Class of 2015, led the Crimson at the Pre-National Invitational and the Princeton Invitational. 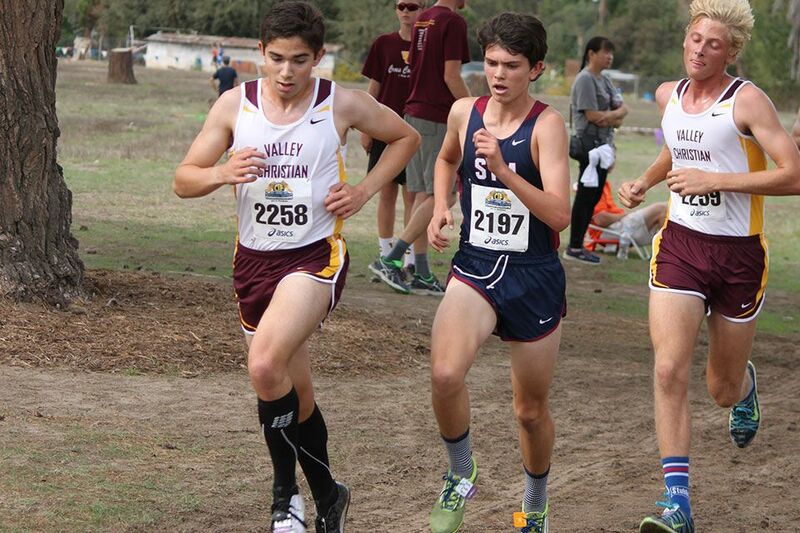 Top-10 finishes place Tartans amongst county's best runners. 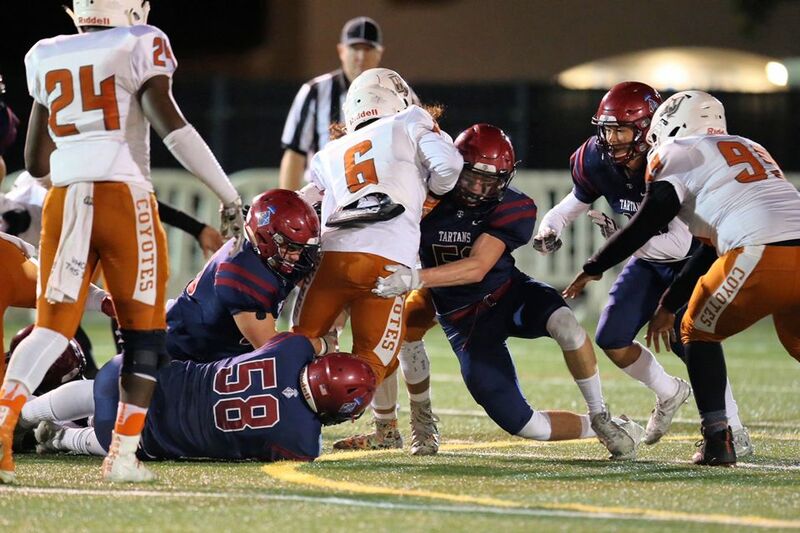 St. Margaret's defense was unmatched in the lopsided road win. 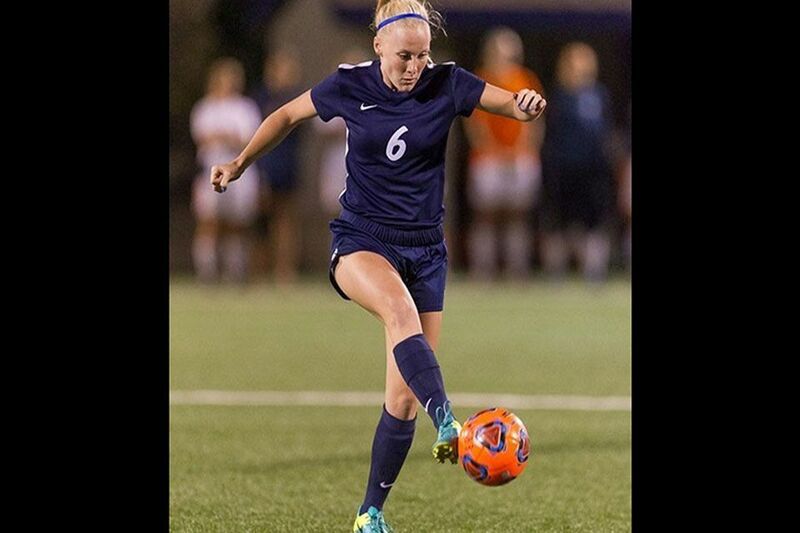 The Wheaton Thunder defeated Elmhurst College 2-0 behind Gencarella's two goals. 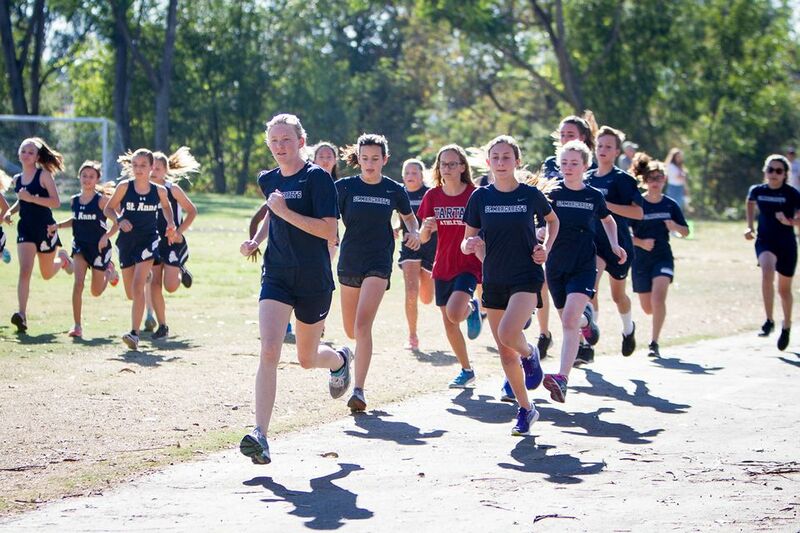 The middle school cross country team has had an exciting year so far. 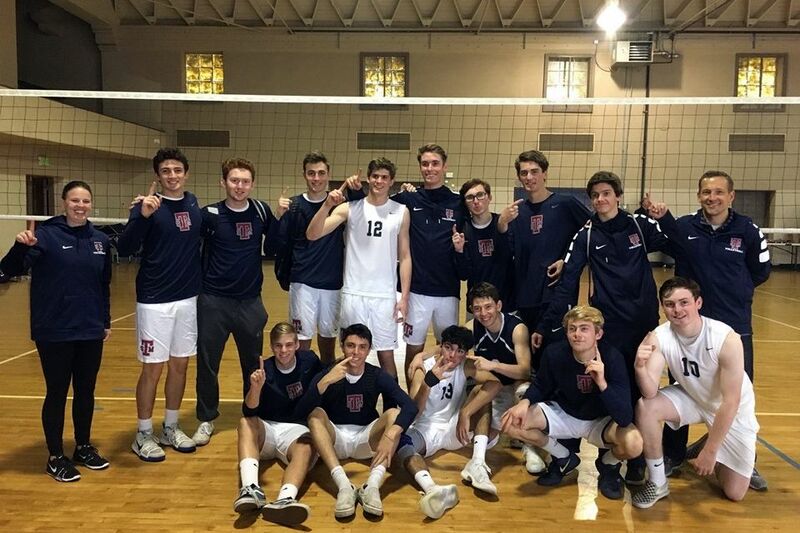 St. Margaret's added another Academy League win, beating Whitney 25-12, 25-16, 25-11. 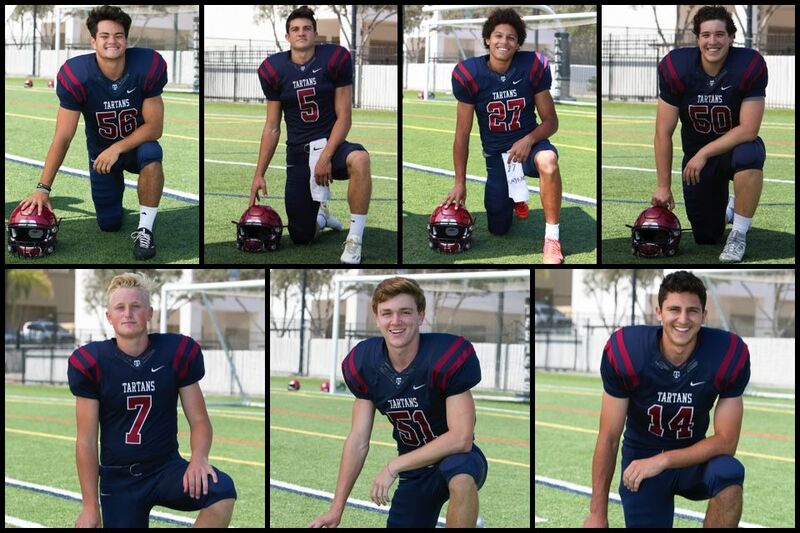 St. Margaret's had 554 total yards en route to the victory against Sweetwater High School of San Diego. 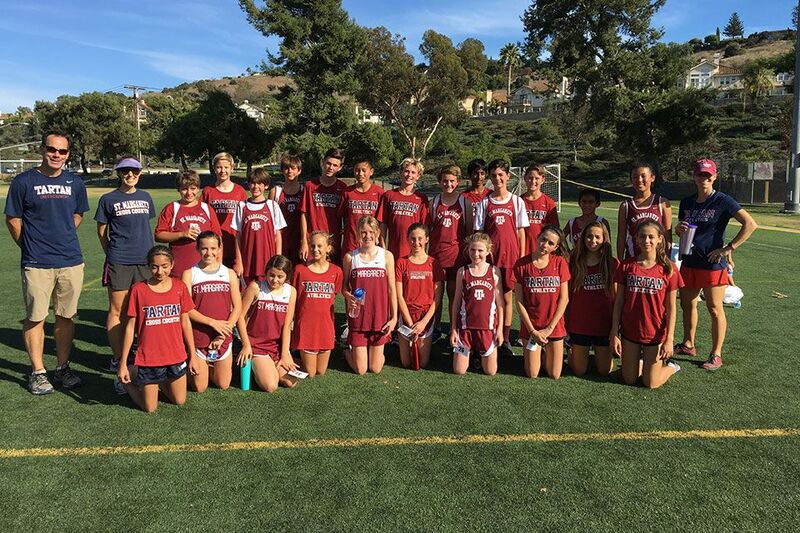 The Tartans have reached the mid-way point of the Academy League season with the cross country, golf and tennis programs enjoying recent success. 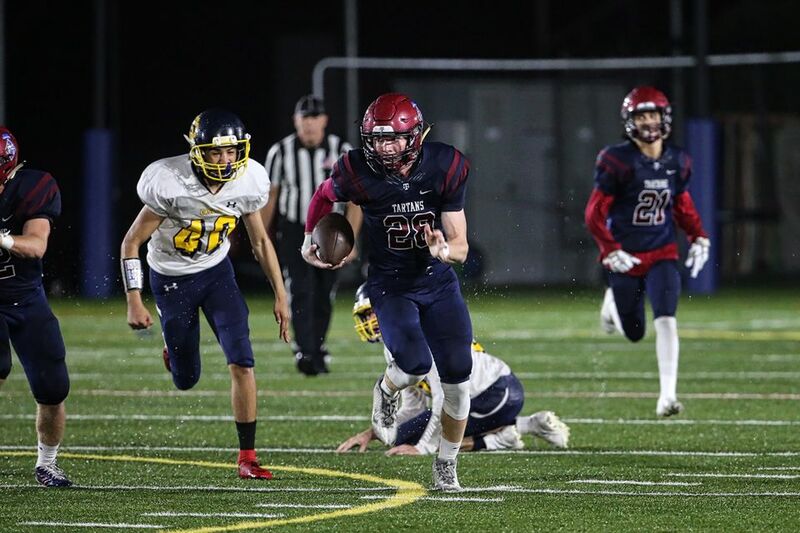 St. Margaret's scored 44 points in the second half to overcome visiting Whittier Christian 70-41 on Tartan Field Friday night. 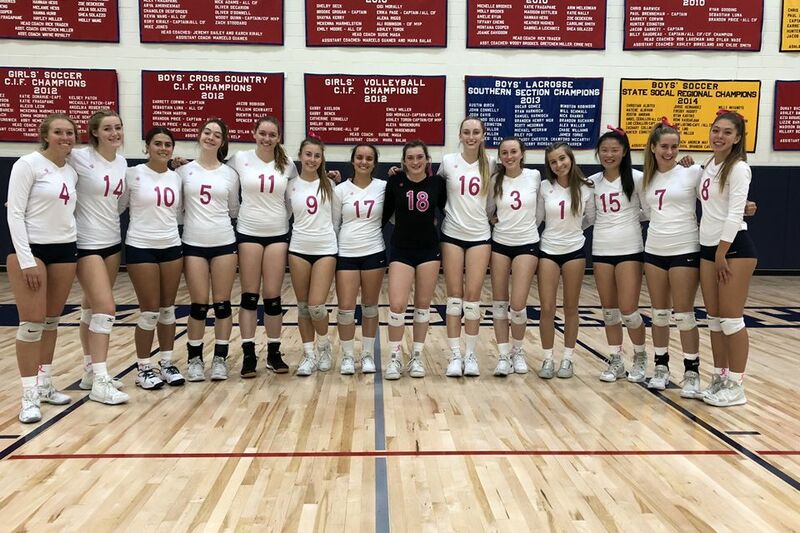 St. Margaret's Volleyball defeated Oxford 25-9, 25-15 and 25-6 on Friday evening in an Academy League showdown. 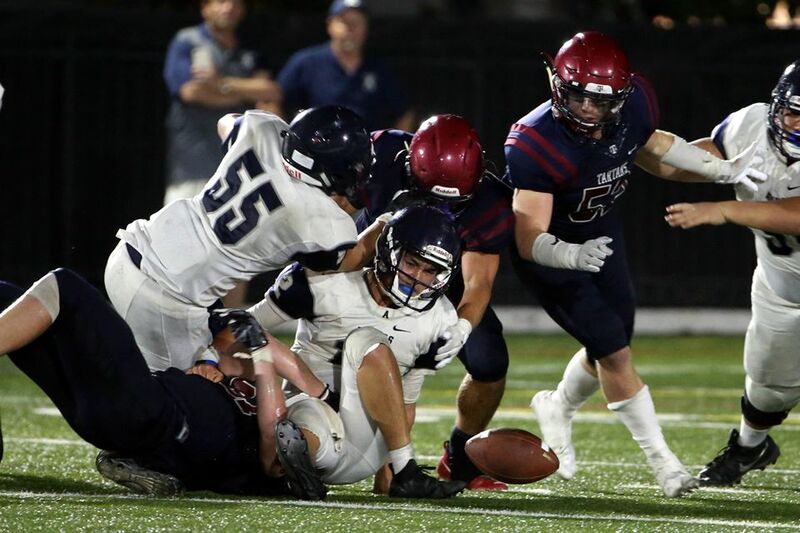 St. Margaret's regained its stride after a 24-48 loss to The Bishop's School last weekend by blanking the Laguna Beach Breakers 38-0 Friday night. 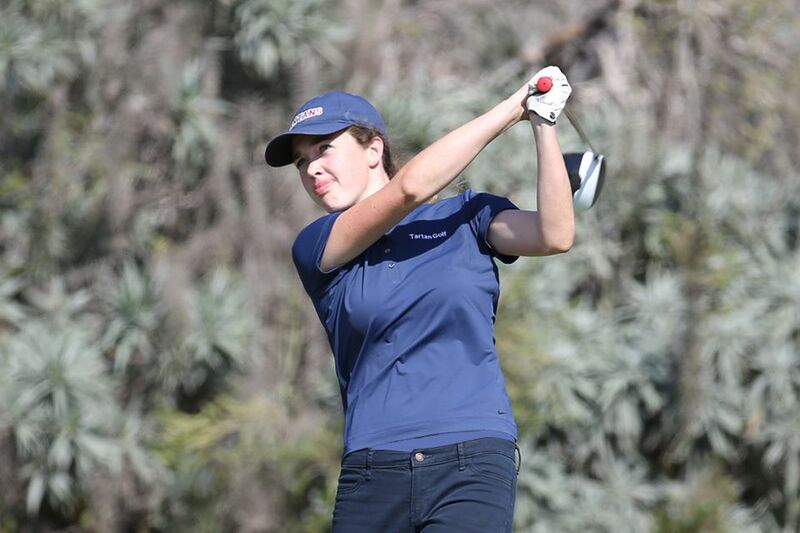 Senior golfer Nicole Brynjolfsson has emerged as a force to reckon with in the classroom and on the links. 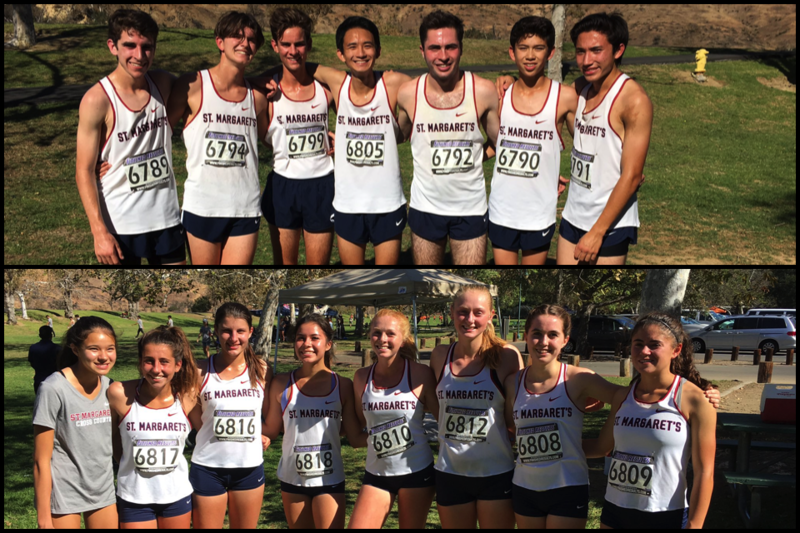 The Tartans opened the Academy League cross country season in impressive fashion Tuesday at Mason Park with a 12-point win over second place Crean Lutheran. 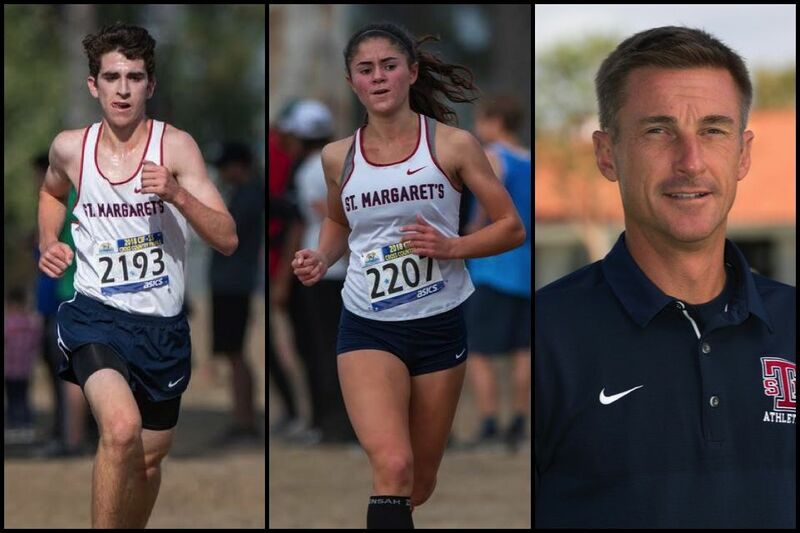 Coaches Cassie Frost, Oscar Reyes, Scott Wallis and Staciana Winfield all bring with them impressive resumes and enthusiasm for athletics at St. Margaret's. 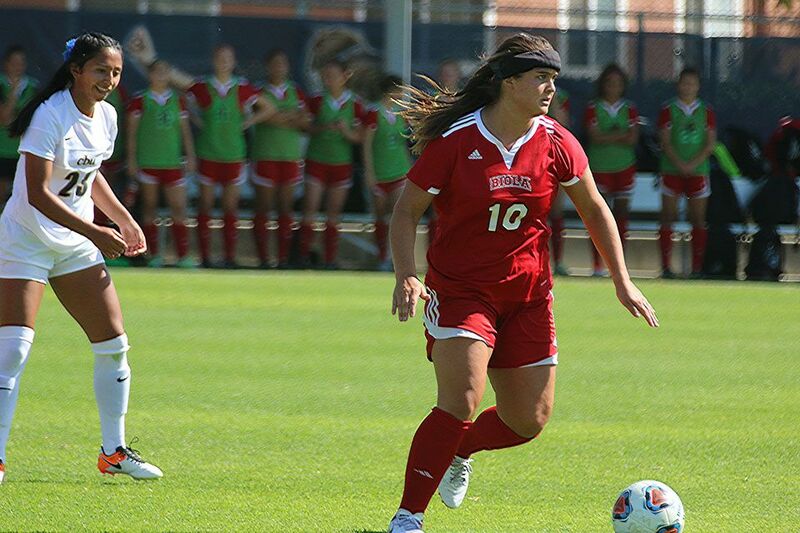 Marmelstein has two goals on the season for Biola. 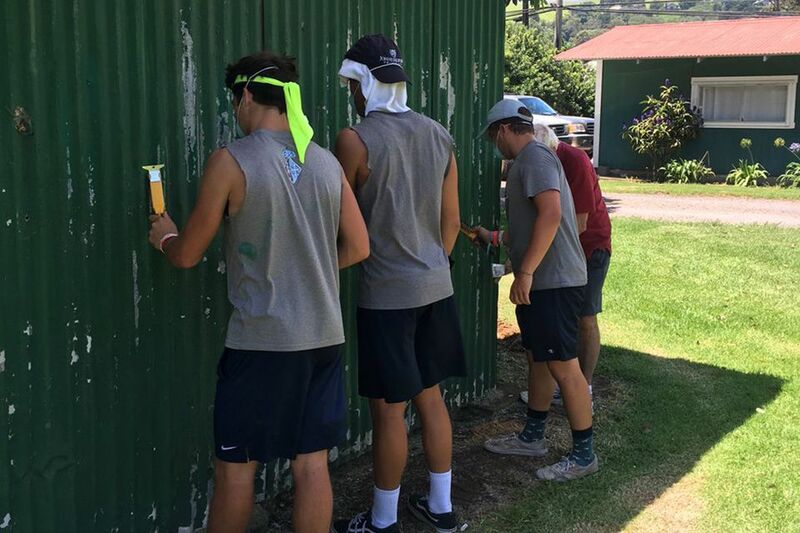 Away from the football field, the team reached out to the local community on the Big Island and dedicated an ample amount of time to service. 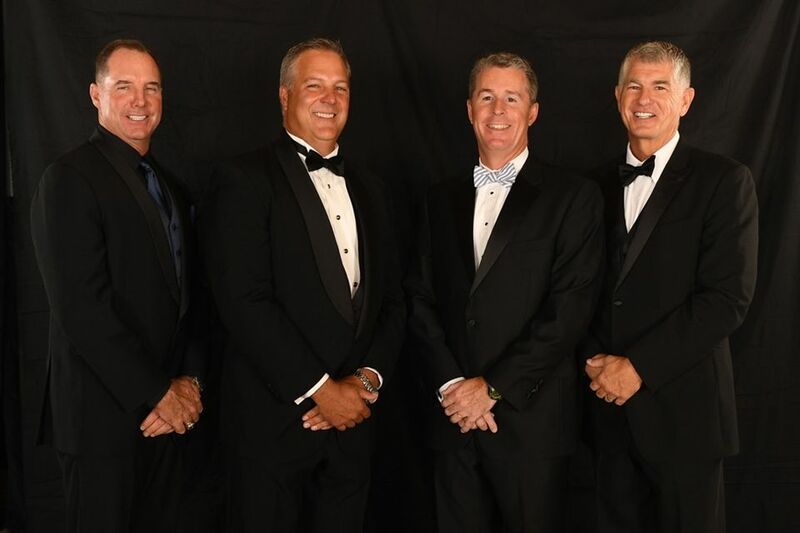 Miles, along with eight other inductees were formally welcomed during the Hall of Fame Induction Ceremony at the Grand Lodge in Hunt Valley, Maryland this past weekend. 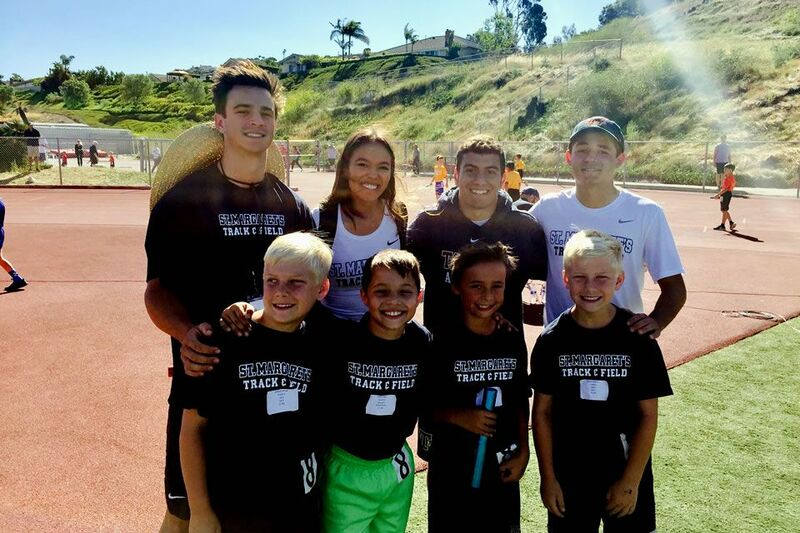 The two fall programs are profiled in The Capistrano Dispatch's Fall Sports Preview, available on newsstands now. 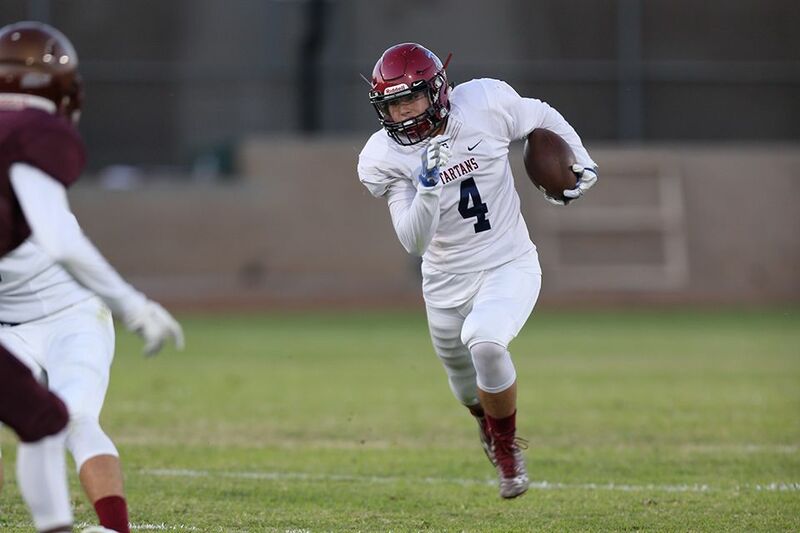 St. Margaret's erased Valley Christian's 11-point lead in the fourth quarter to pick up a second-week road victory. 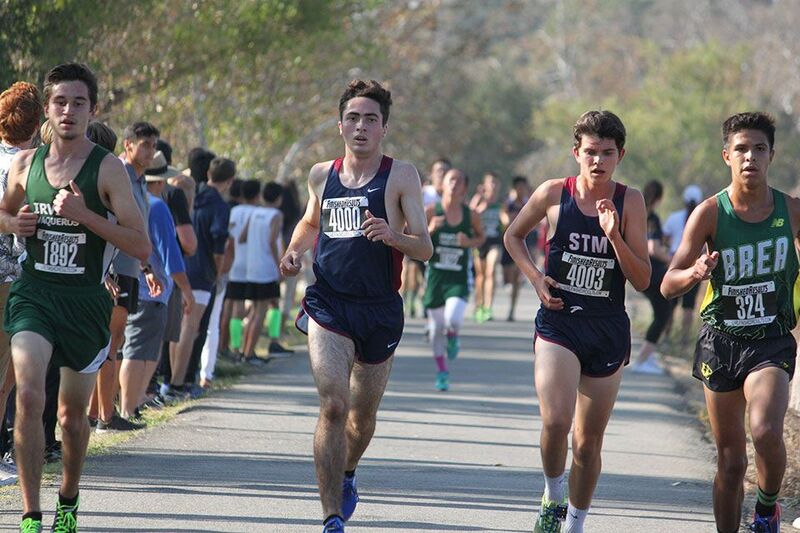 After several successful years of being hosted in Chino, the Cool Breeze Invitational was moved to the Brookside Golf Course at the Rose Bowl in Pasadena. It was the first time in history that a race was run at night on the historic venue. 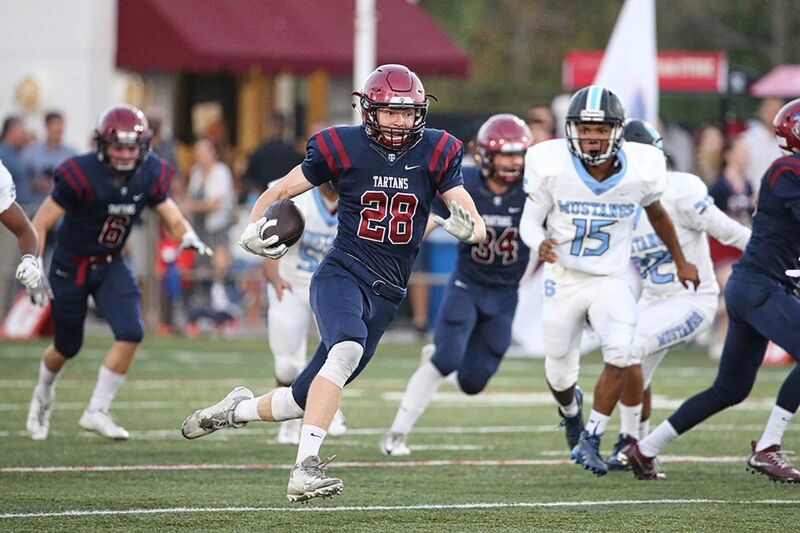 Senior receiver Auston Lock had three touchdown catches as the Tartans cruised to a 48-0 win over visiting Calvary Chapel Santa Ana. 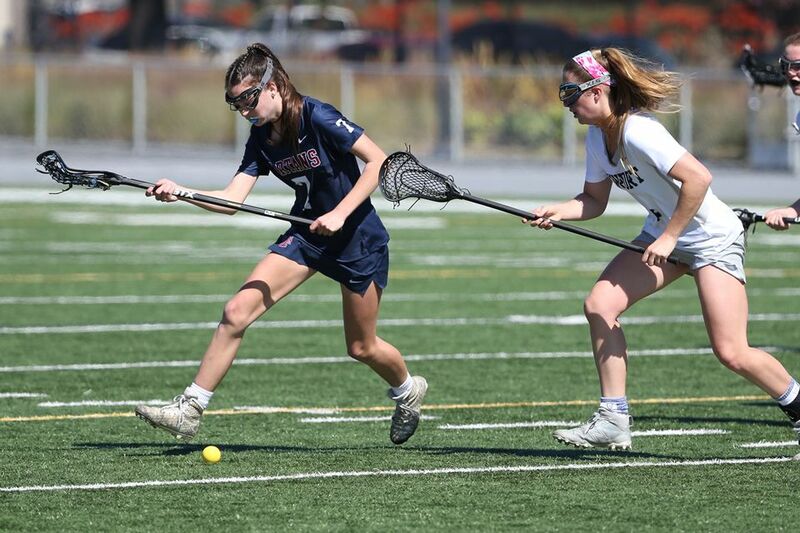 Reilly, a defensive player for the Boston Storm and girls lacrosse head coach at St. Margaret's, joins 30 other All-Stars on the United Women's Lacrosse League's inagural roster. 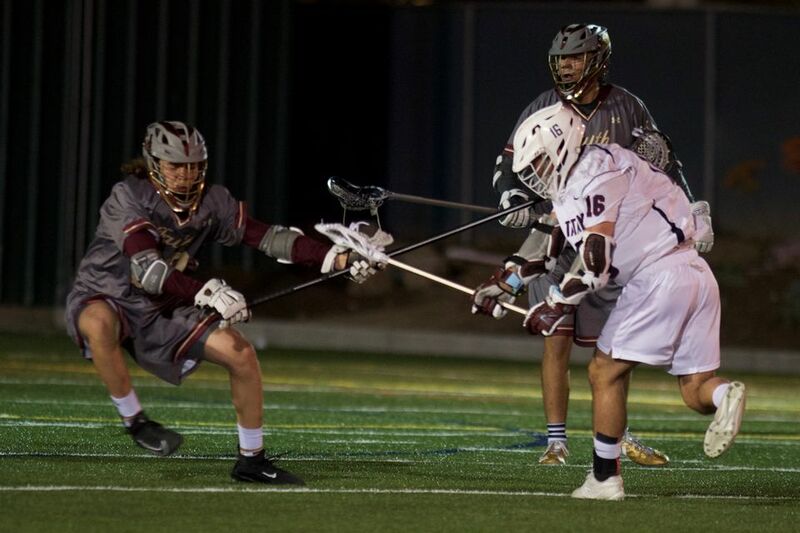 Samuel Harnisch, Class of 2016, will join his brother Ryan, Class of 2015 on the University of Denver men's lacrosse team. 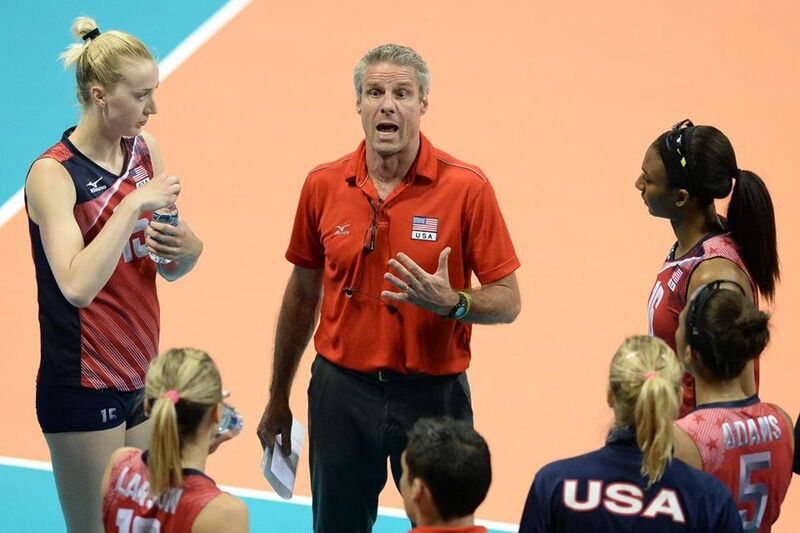 The former St. Margaret's boys volleyball coach led the U.S. women's national team that recently won a bronze medal at the 2016 Rio Olympics. 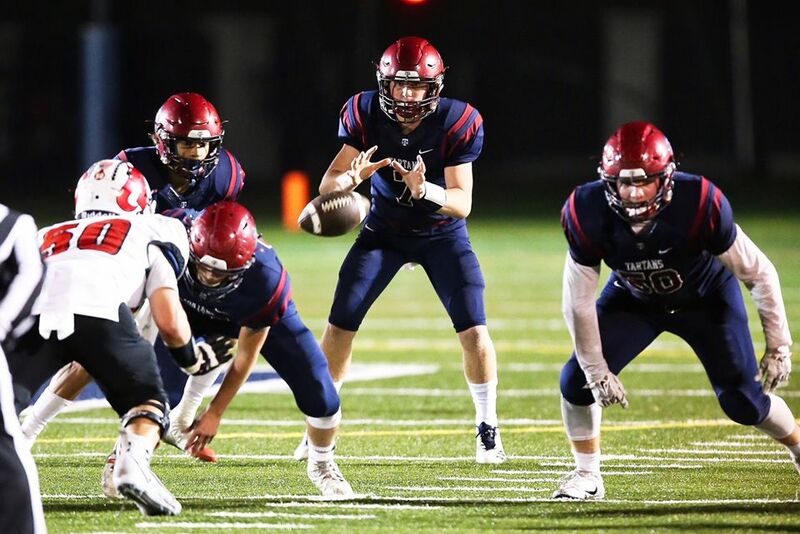 Be sure to check out Steve Breazeale's preview of St. Margaret's football in The Capistrano Dispatch, which previewed the team and the CIF reclassification. 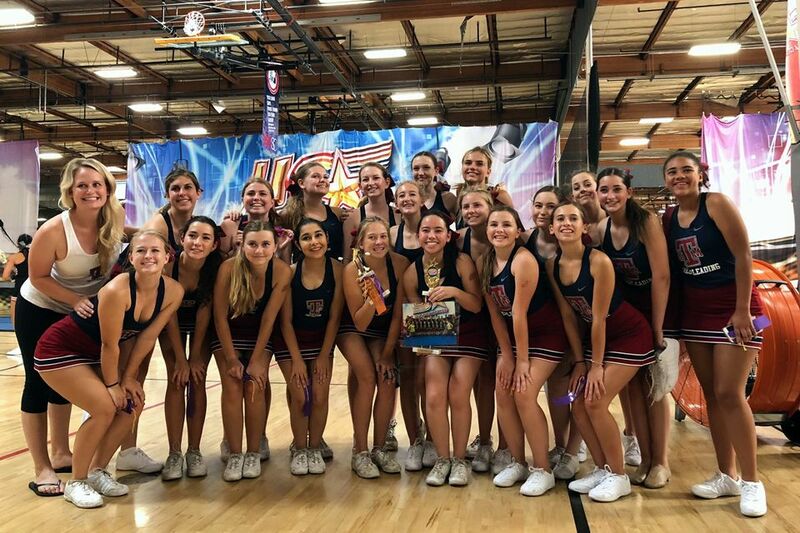 The varsity and junior varsity programs picked up plenty of recognition at the US Spiritleaders Overnight Cheer Camp. 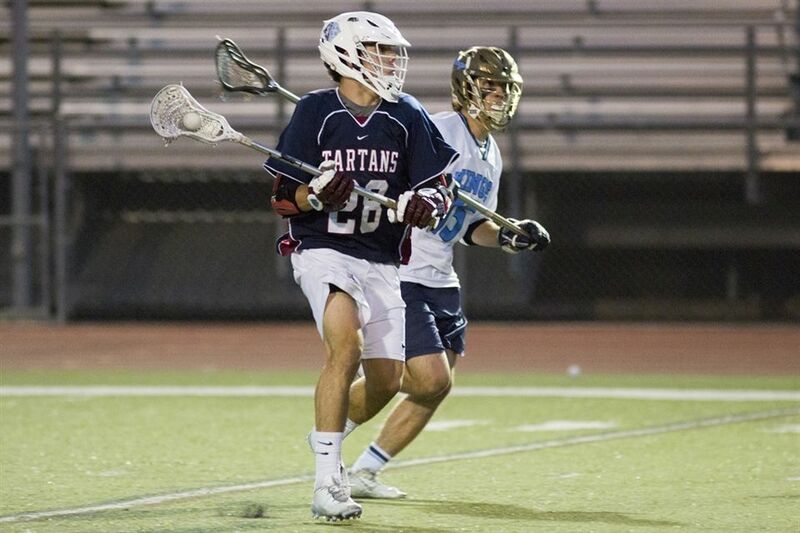 Midfielder Jeremy Davis has committed to play Division I lacrosse at the University of Richmond, Virginia. 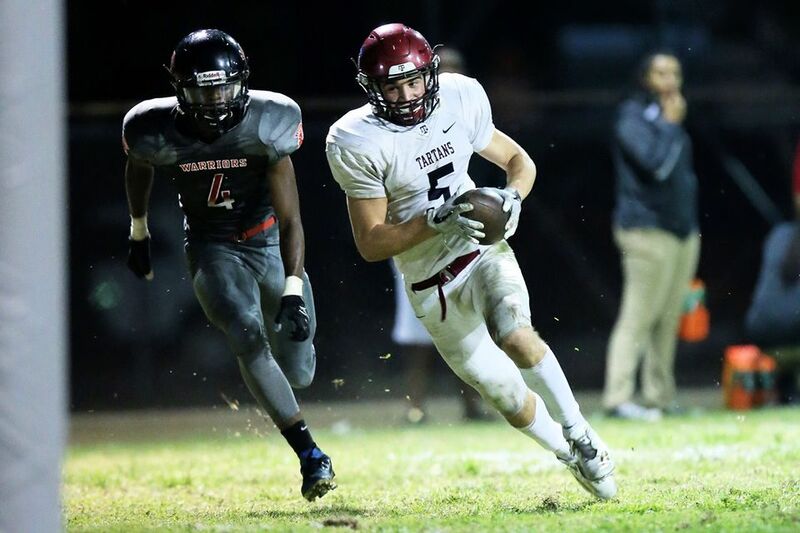 Davis was a mainstay on the Tartan's offense during the 2016 season and looks to lead the team back to the Orange County Championships in 2017. 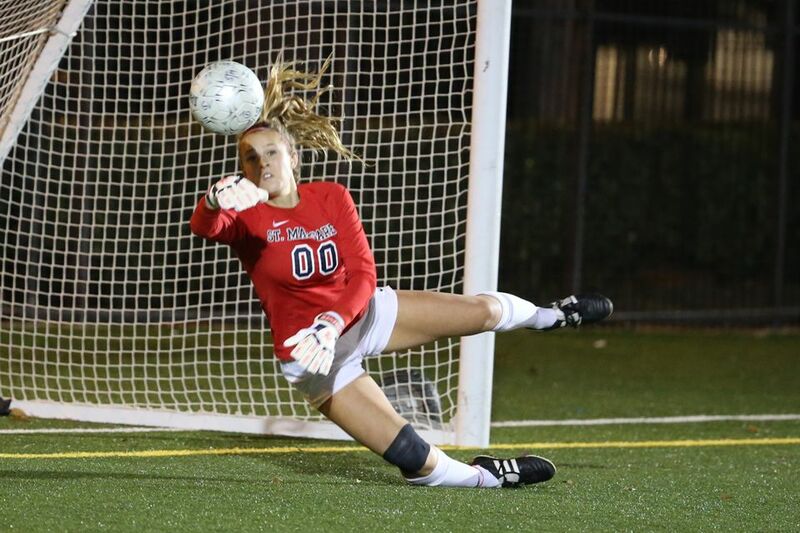 The University of Richmond Spiders compete in the Southern Conference and reached the NCAA Division I National Tournament in 2014. 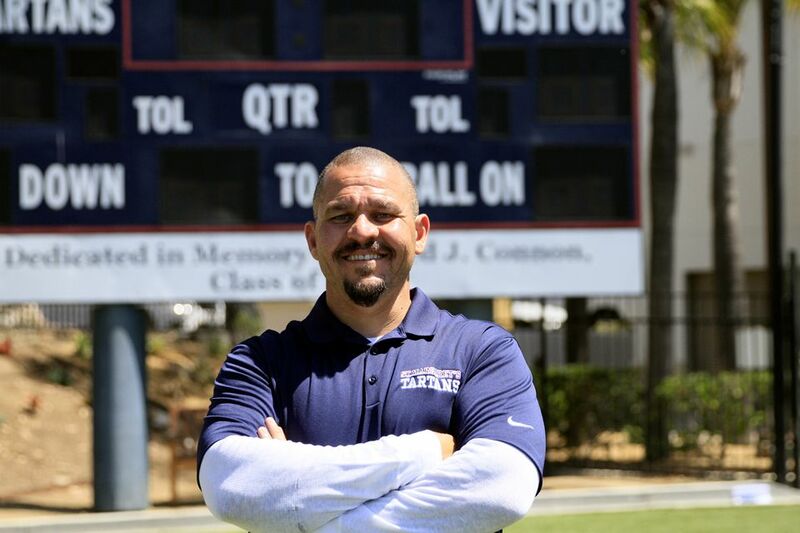 As the Tartans gear up for the 2016 campaign, OCVarsity.com reporter Michael Huntley took some time to catch up with Head Coach Stephen Barbee, discussing returning players, the season outlook and a big change in the playoff picture. 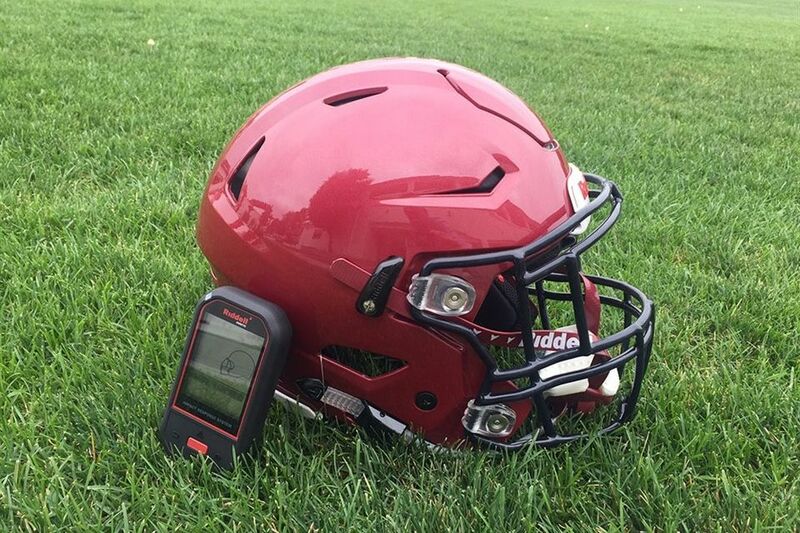 Concussions in youth football is an issue demanding the attention of players, parents, coaches and administrators. Technology is working to provide new solutions to the need for improved diagnostics to these types of injuries. St. Margaret’s is staying at the forefront of that technology. 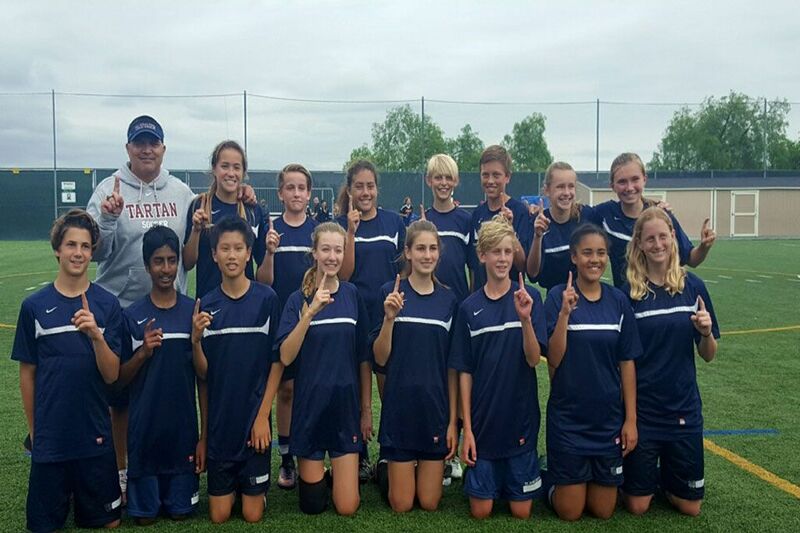 The grade 6 and 7/8 Middle School Mountain Soccer teams had an outstanding spring season! 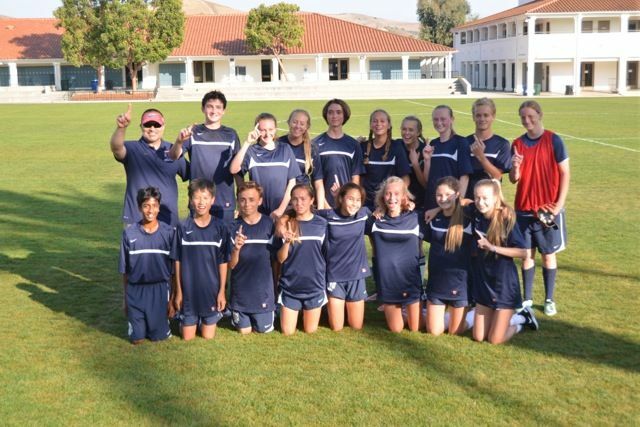 For the second consecutive season the grade 6 team played amazing soccer and finished the season with an undefeated record of 7-0, scoring 34 goals and only allowing two the entire season! 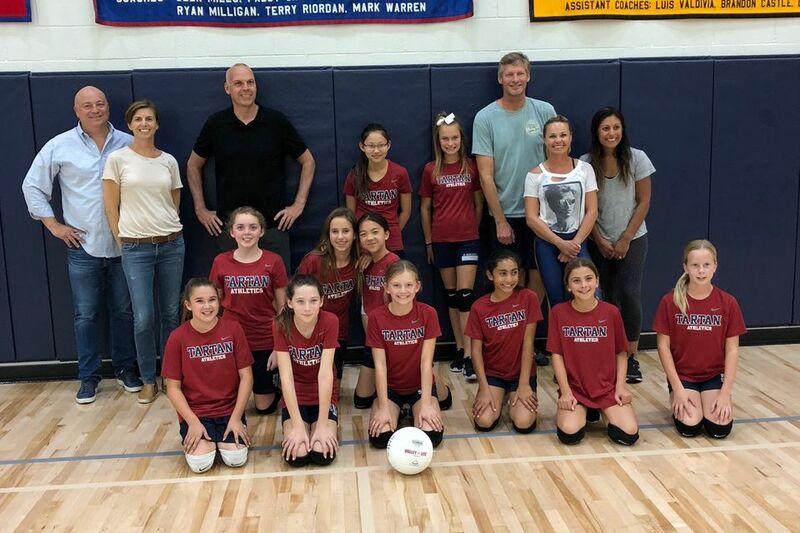 Both the Mountain “A” and Mountain “B” Middle School volleyball teams completed their league seasons last week with league championship titles.